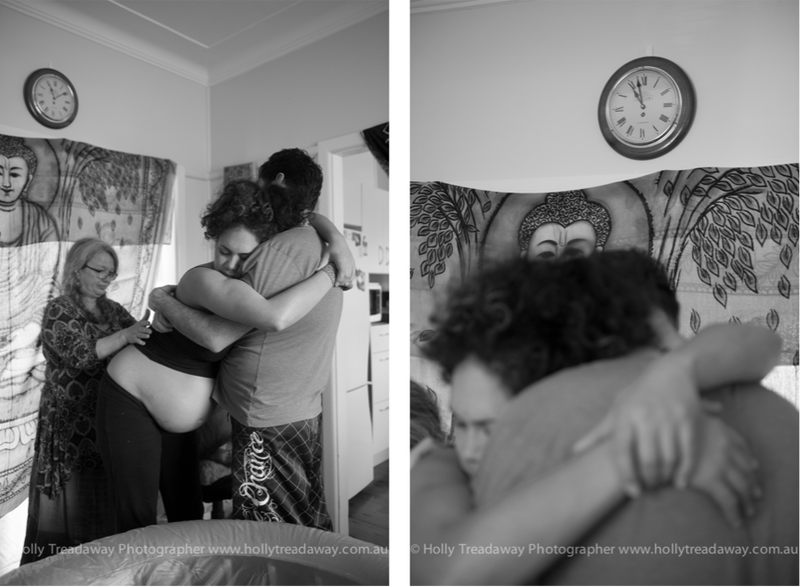 I’ve photographed some pretty amazing sights and circumstances in the past ten years, but nothing could prepare me for how inspiring, exciting, motivating and adrenaline pumping the birth of another human being could be. 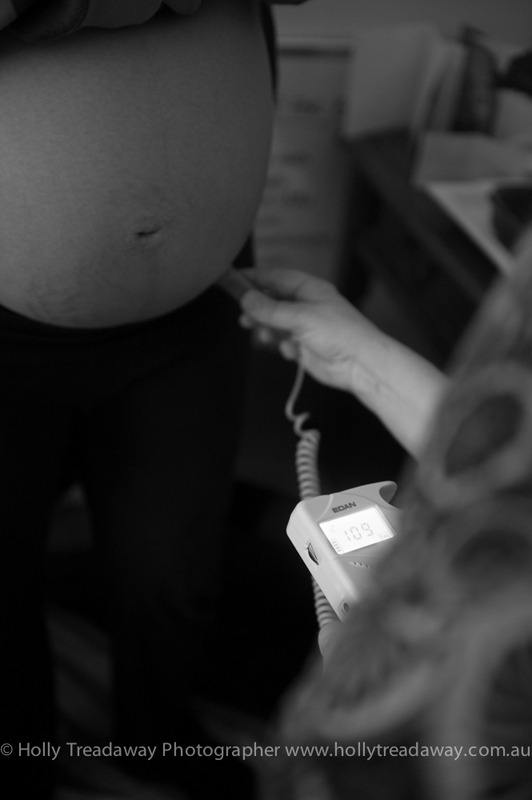 On July 23rd 2013, a good friend Naomi rang to confirm that she had begun having contractions and was experiencing pre-labour. 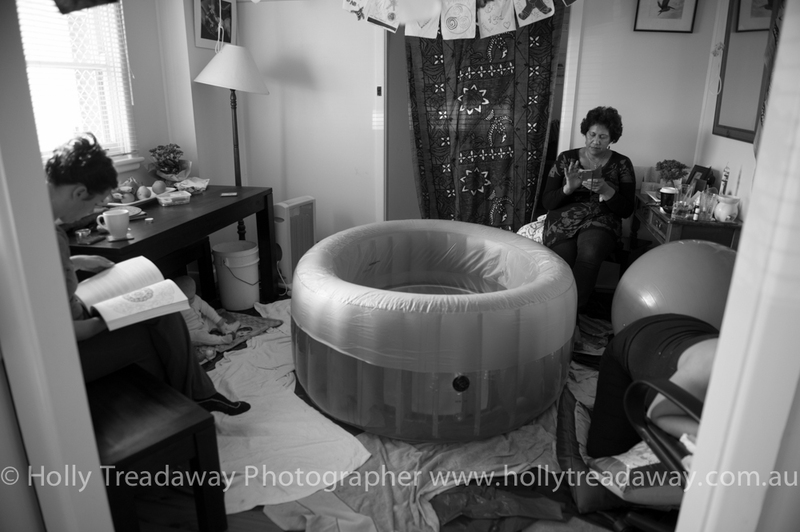 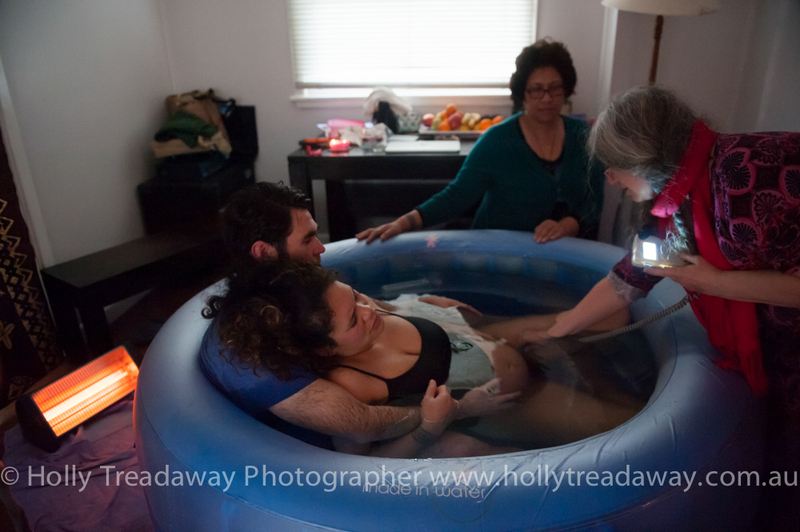 I had offered to to photograph her birth months earlier. 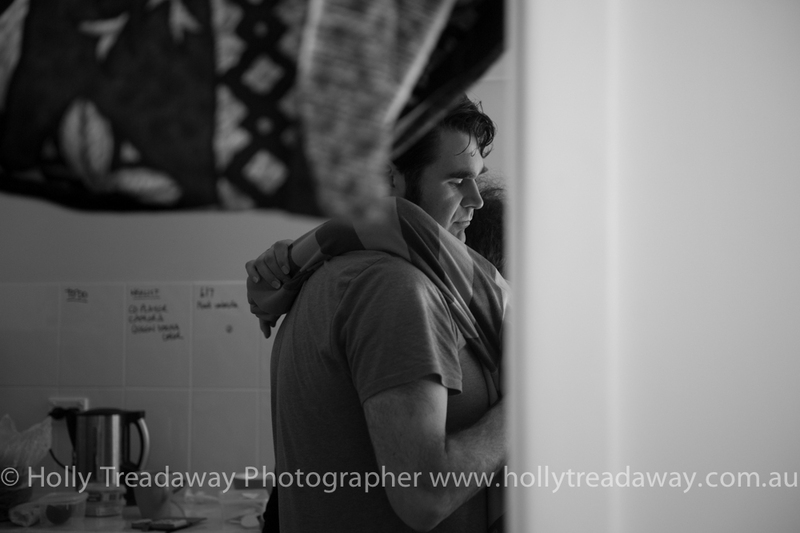 When I asked if I could, I expected a definite ‘no’ but was pleasantly surprised and overjoyed to hear an appreciative ‘yes please’. 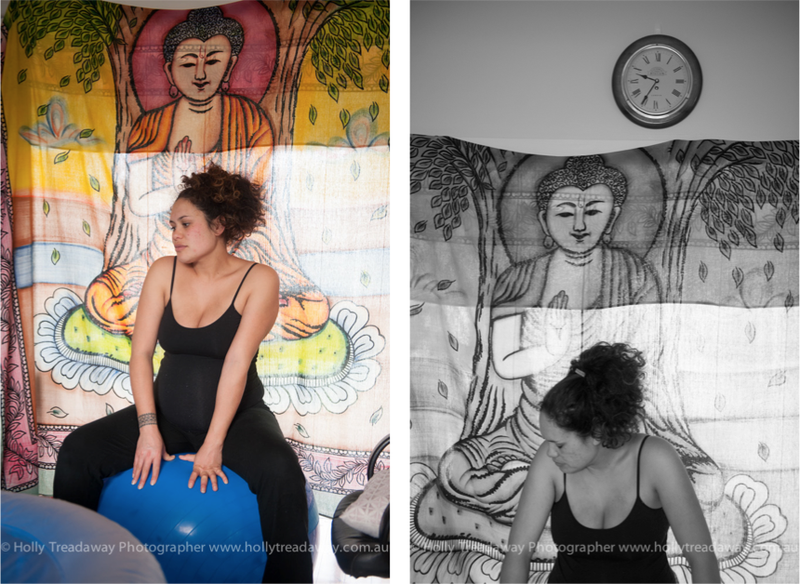 So the months rolled by and Naomi’s belly grew beautifully round and leading up to her due date I began thinking of how I would logistically tackle this assignment. 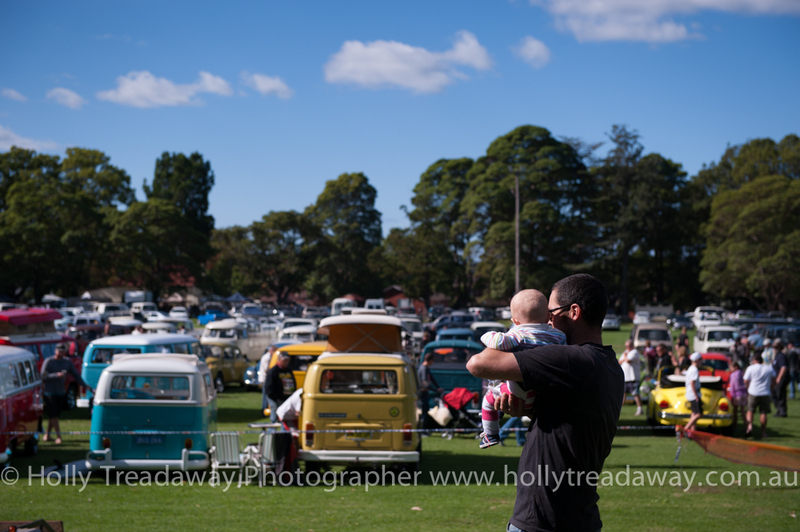 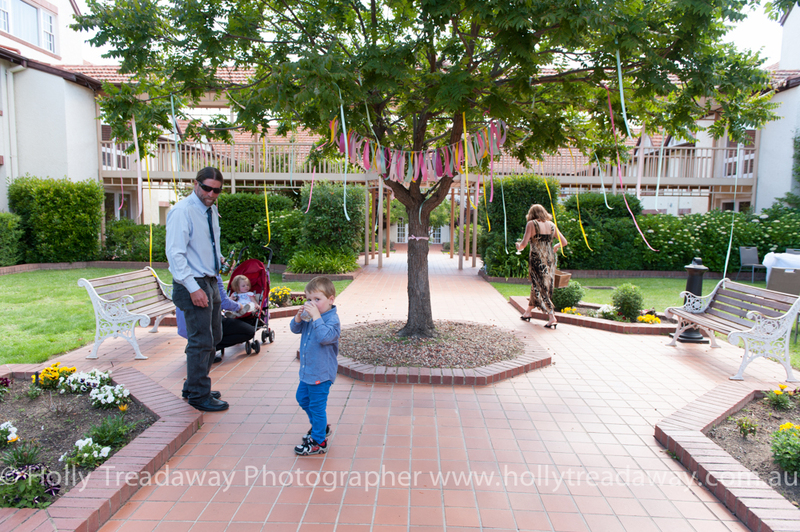 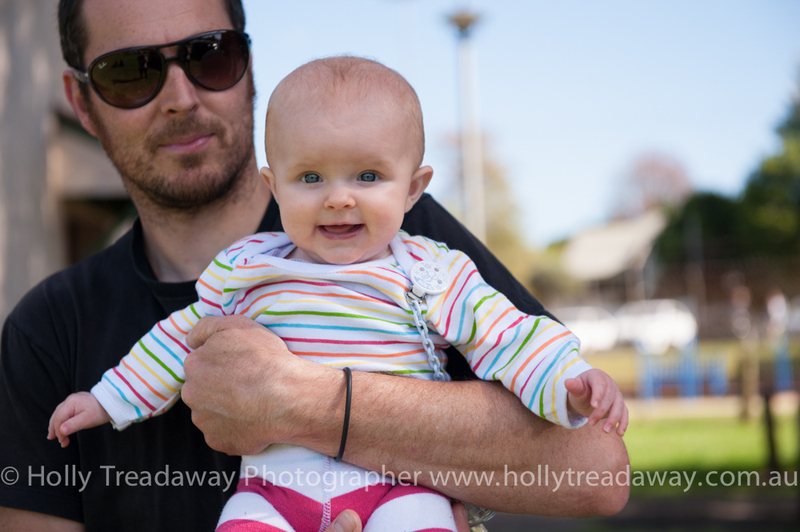 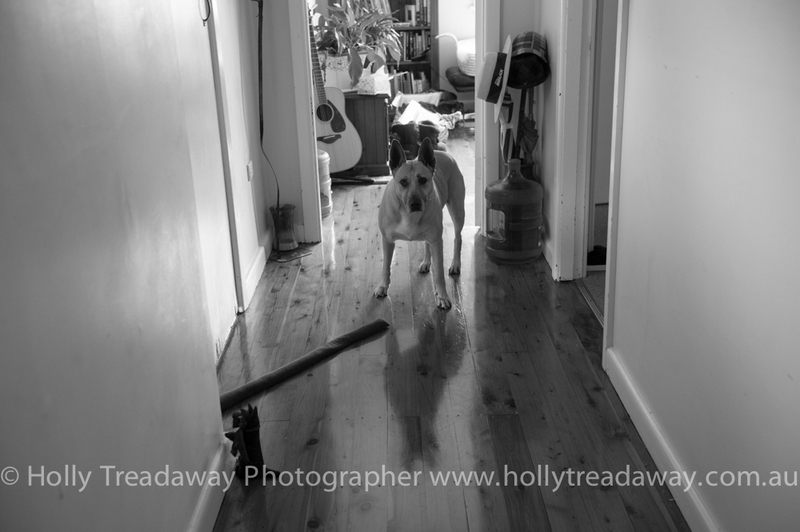 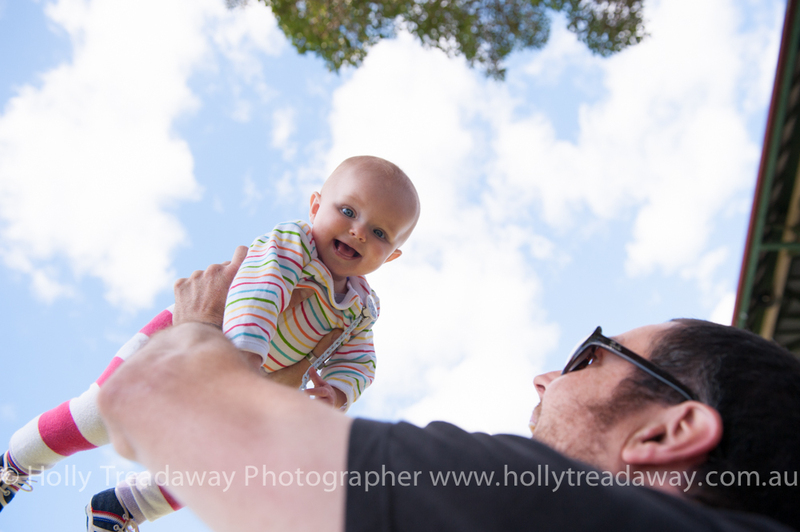 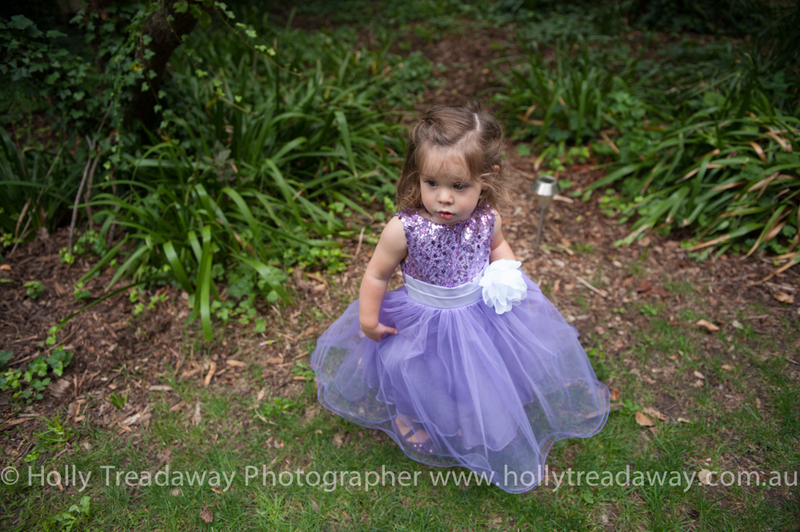 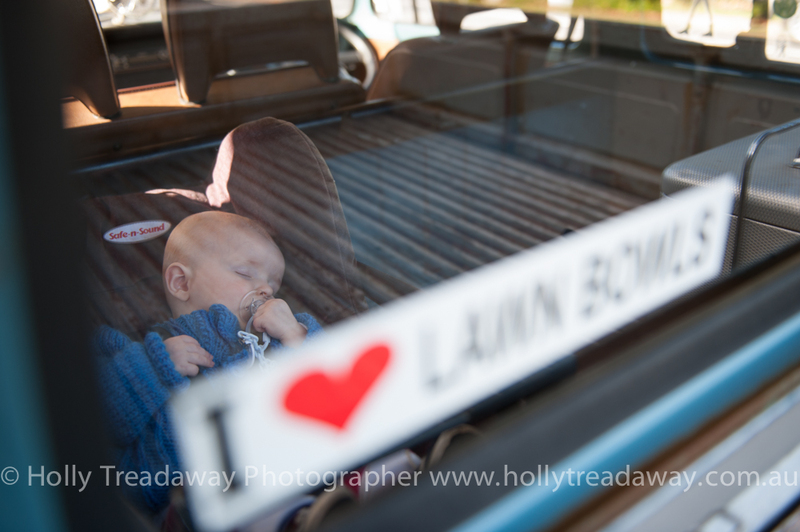 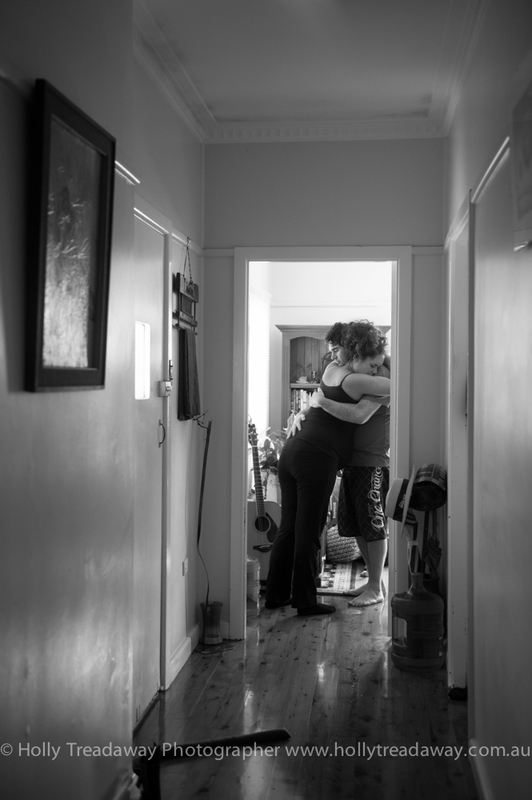 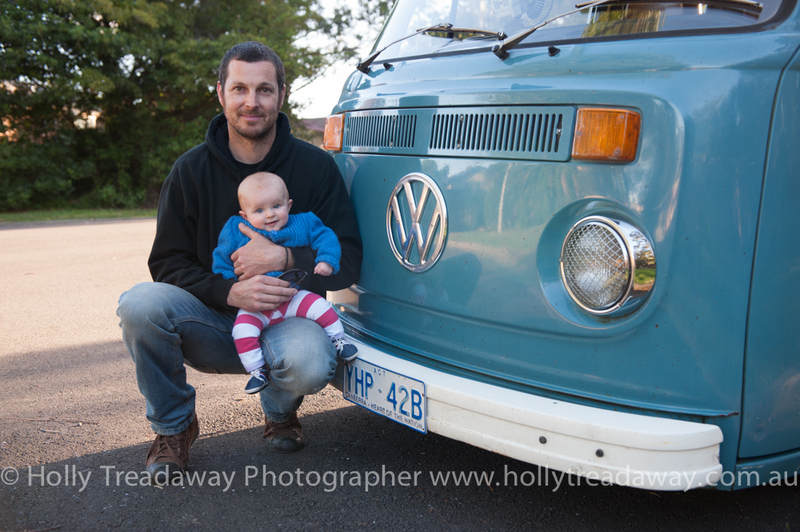 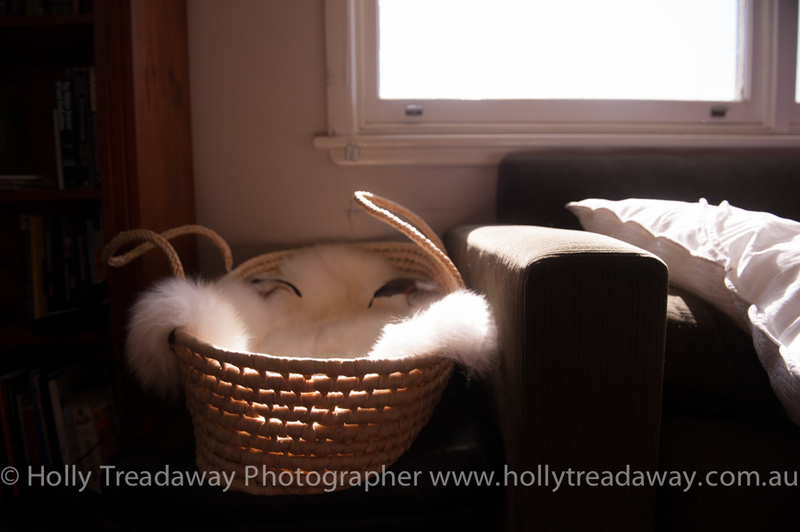 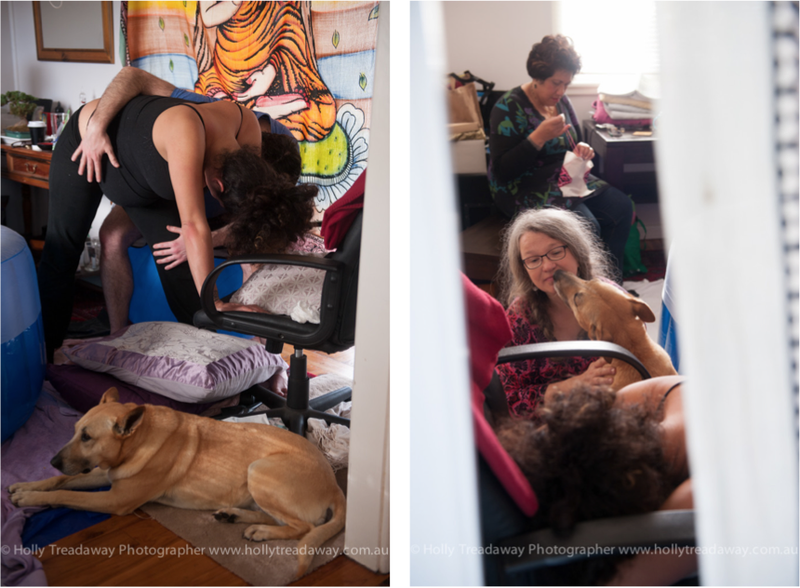 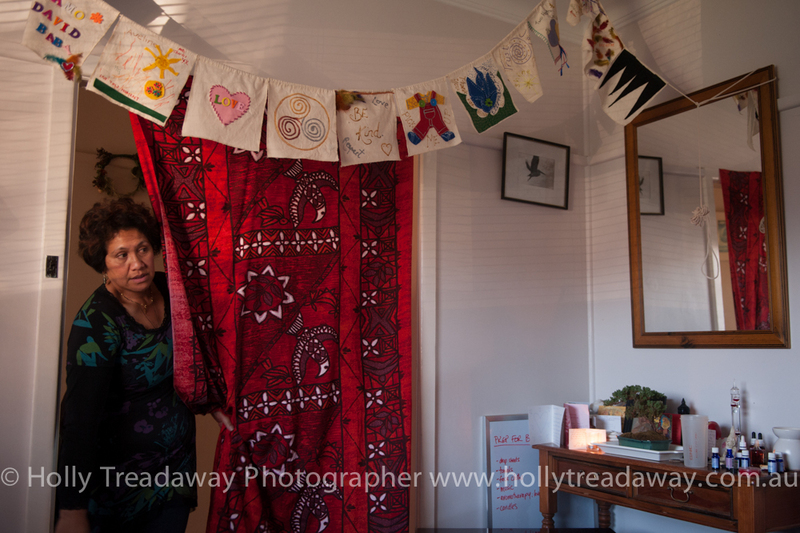 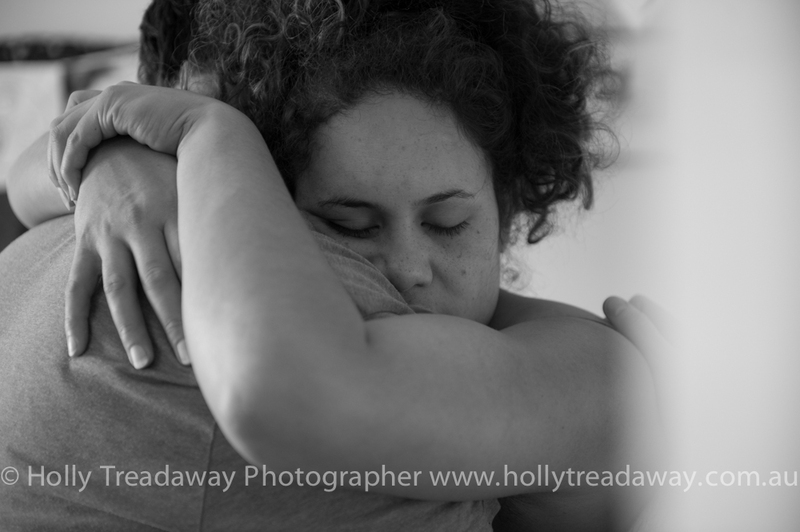 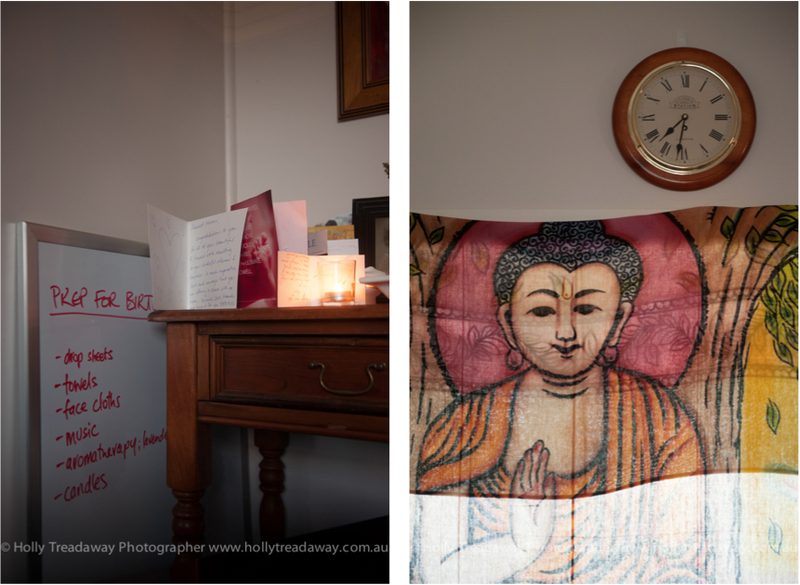 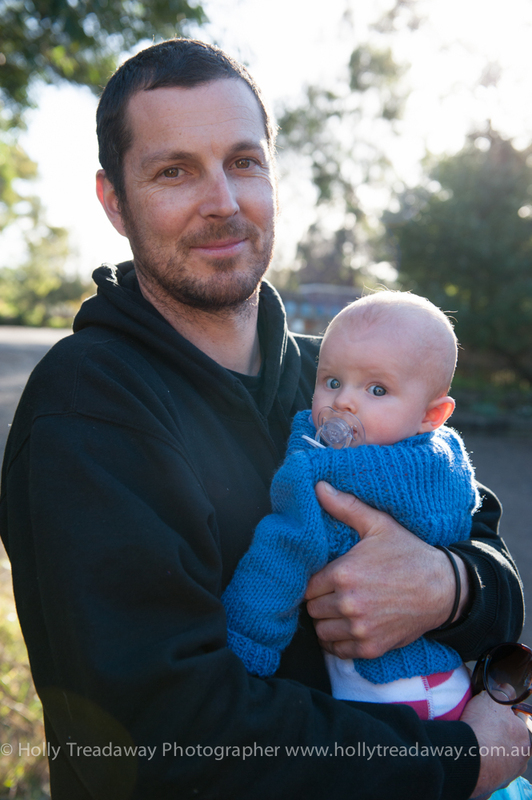 I had an 8 month old of my own at the time, and since offering to photograph it I had moved to Canberra, a good 3.5 hours drive from Wollongong where Naomi was residing. 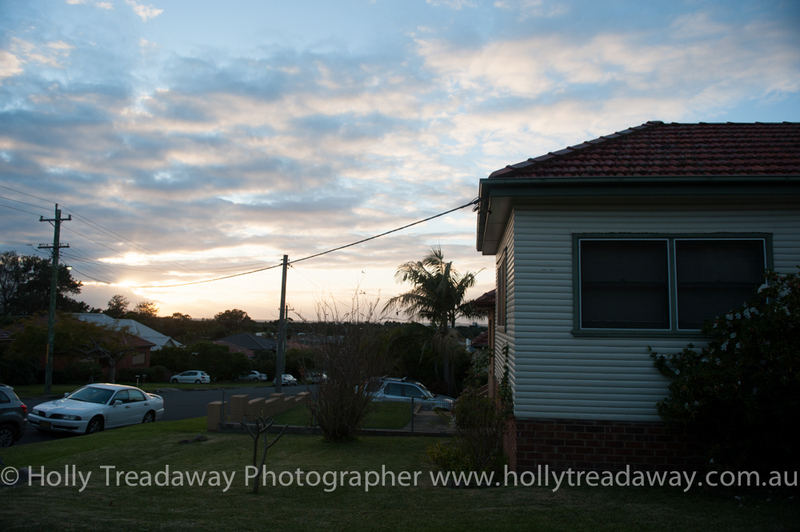 Once pre-labour had begun it was all I could think about, I had to get to Wollongong. 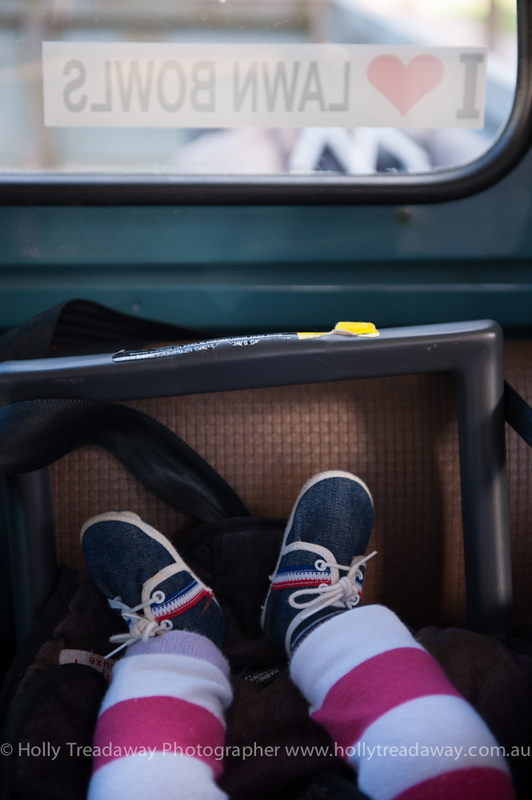 I packed bags for both my daughter and I, not knowing when we would be leaving but figured it was best to be ready. 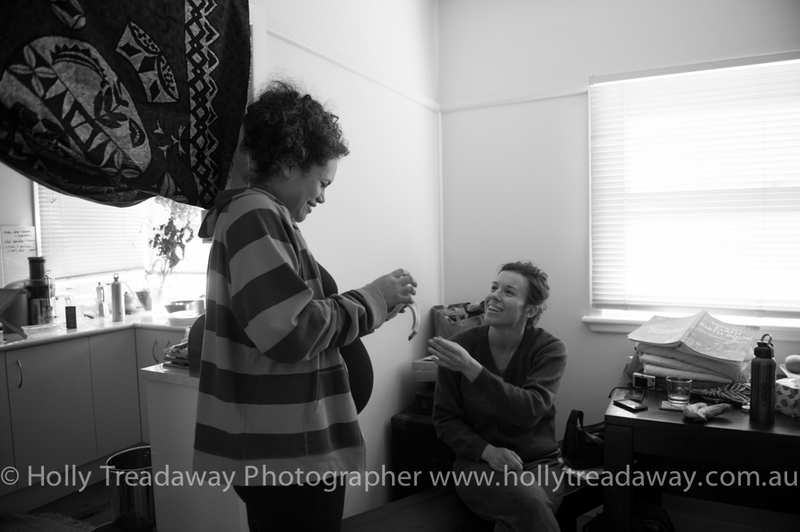 Naomi assured me that her pre-labour status could continue for days, so we said goodnight and I went to sleep full of excitement and anticipation for when I might get a call. 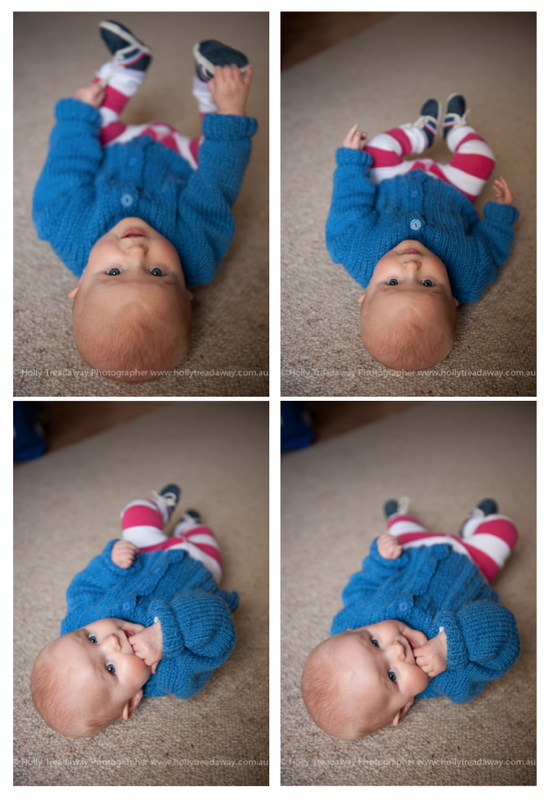 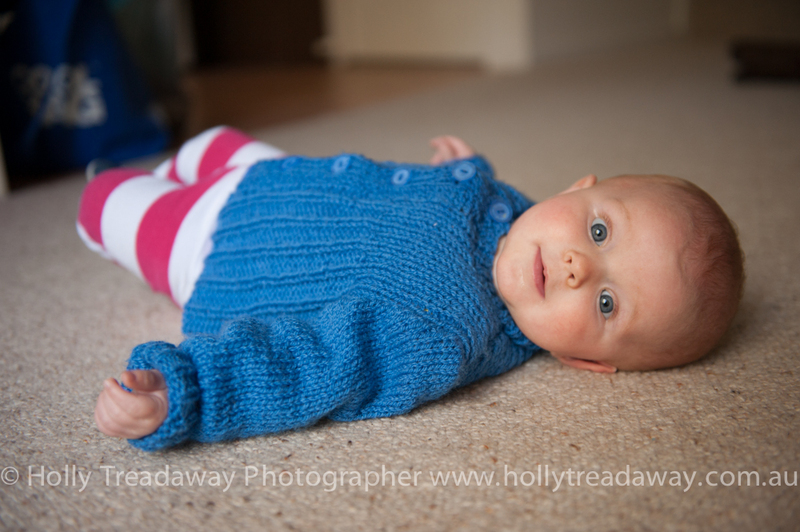 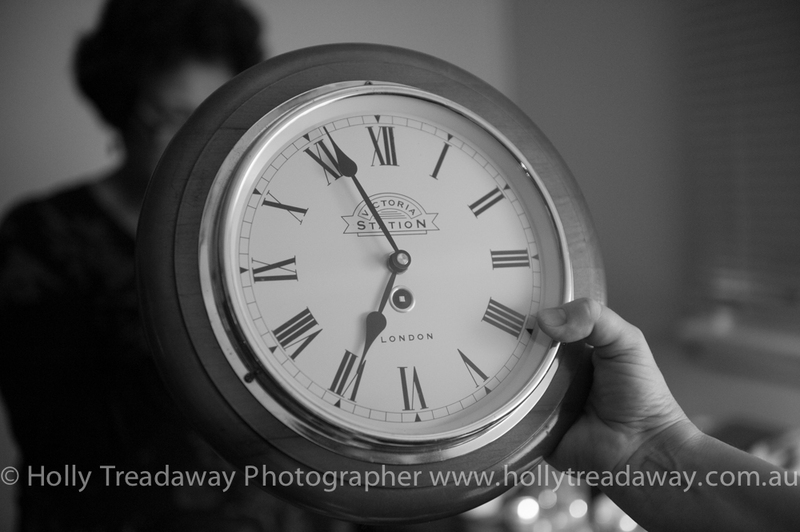 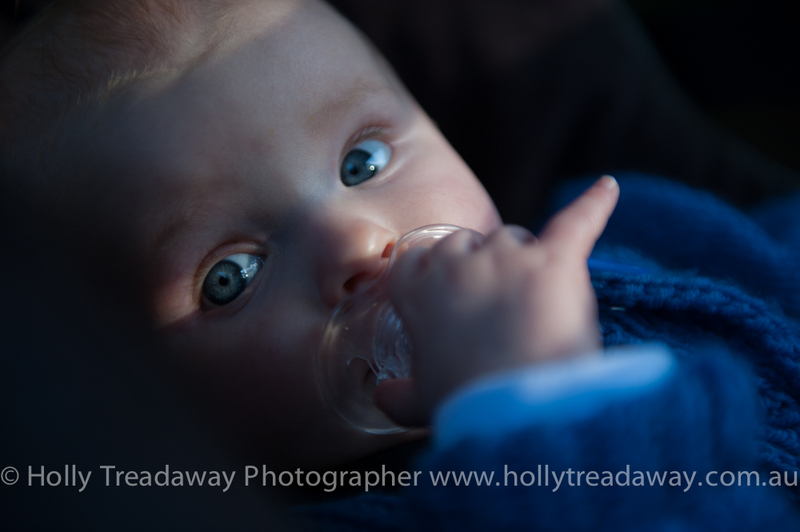 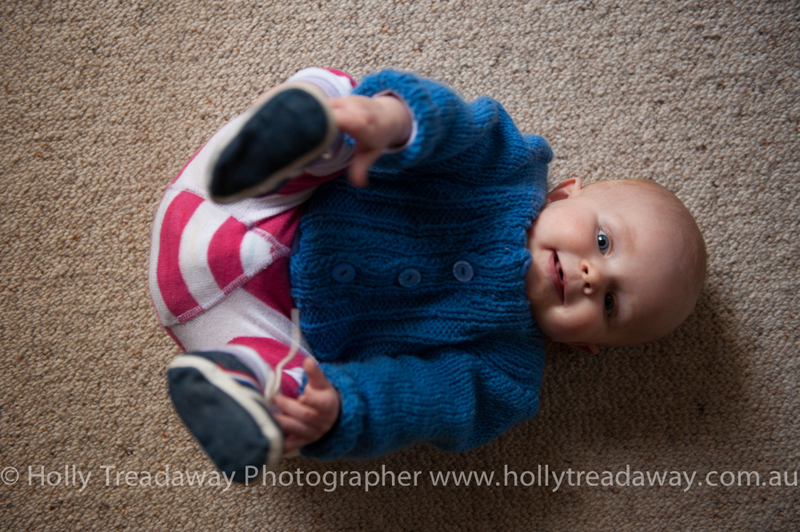 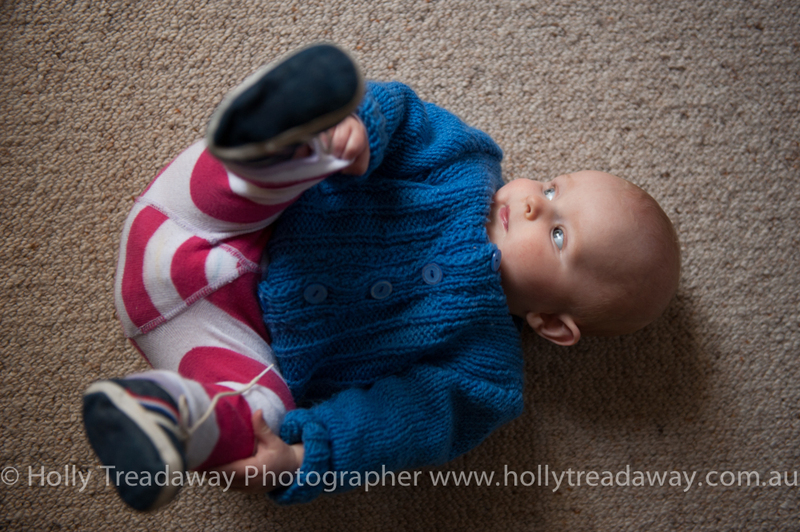 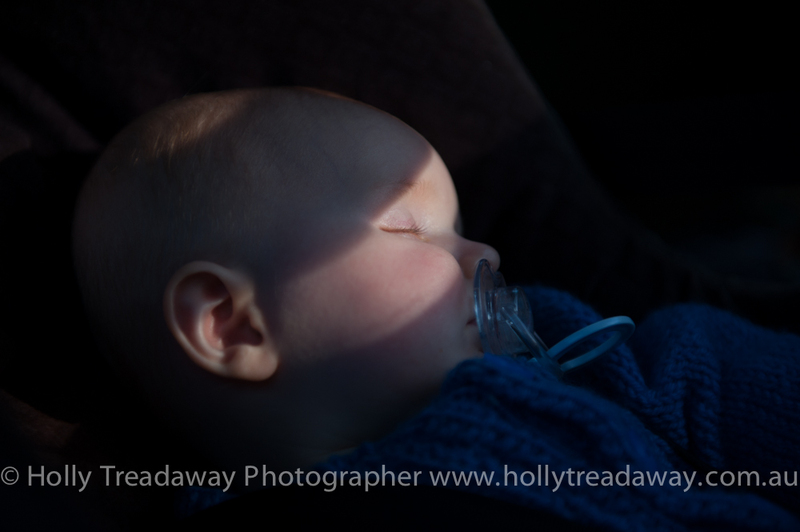 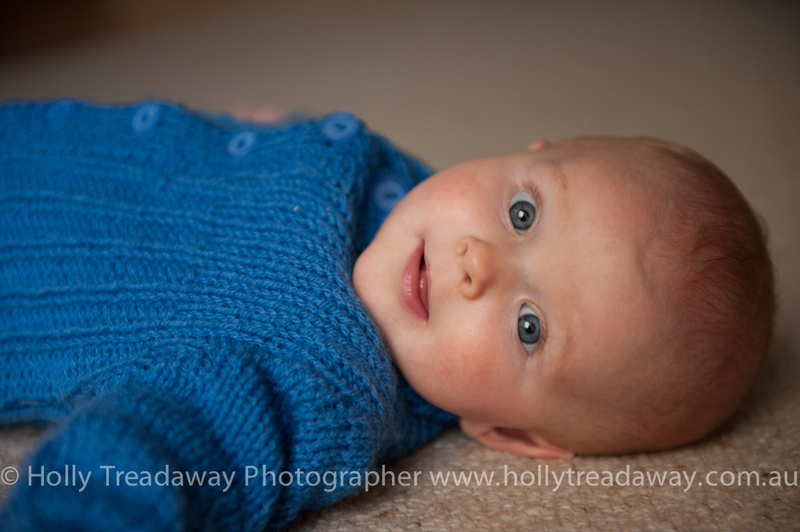 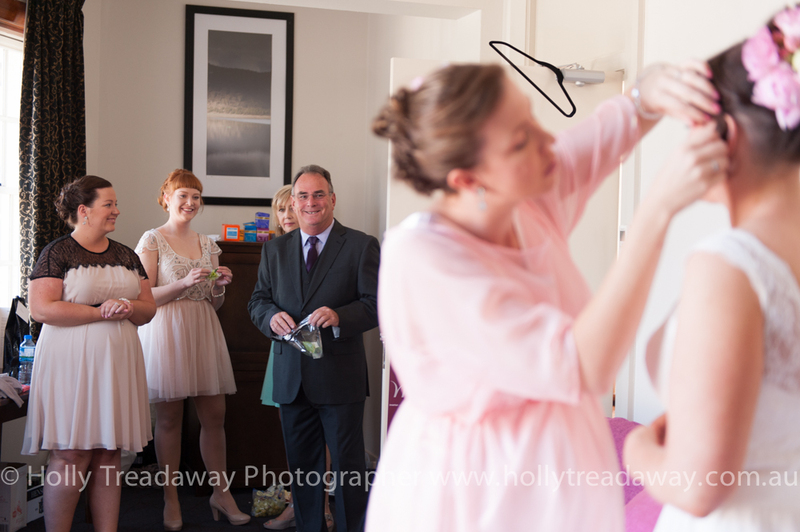 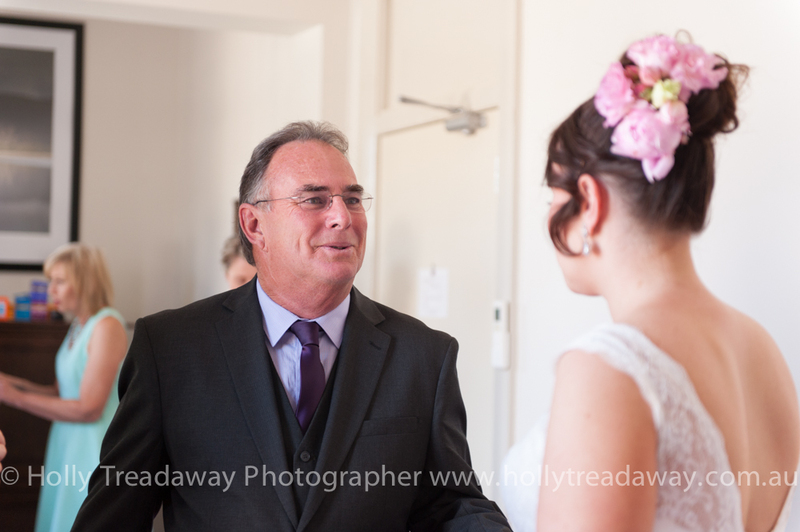 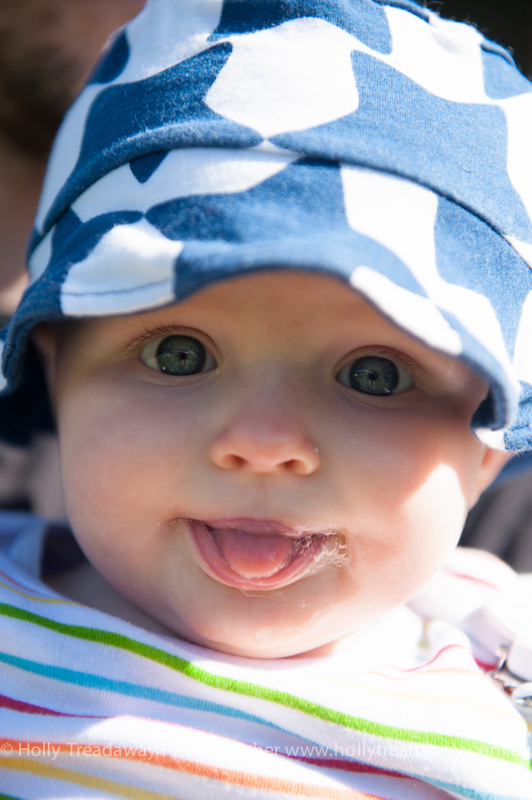 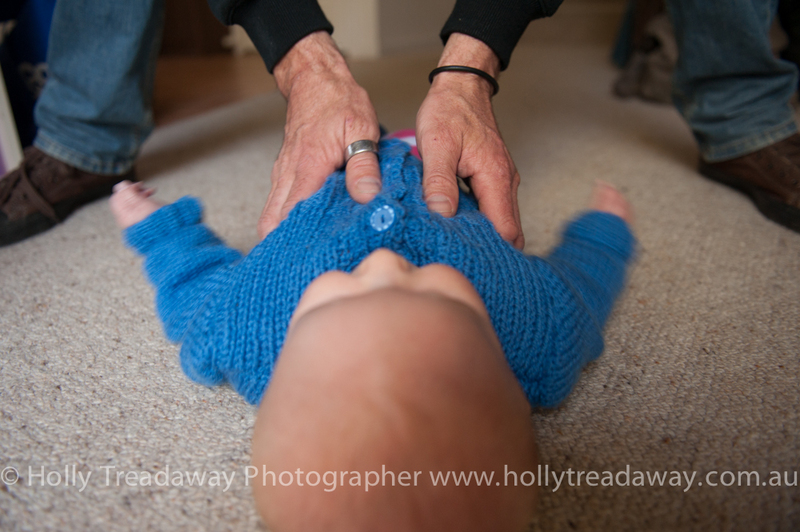 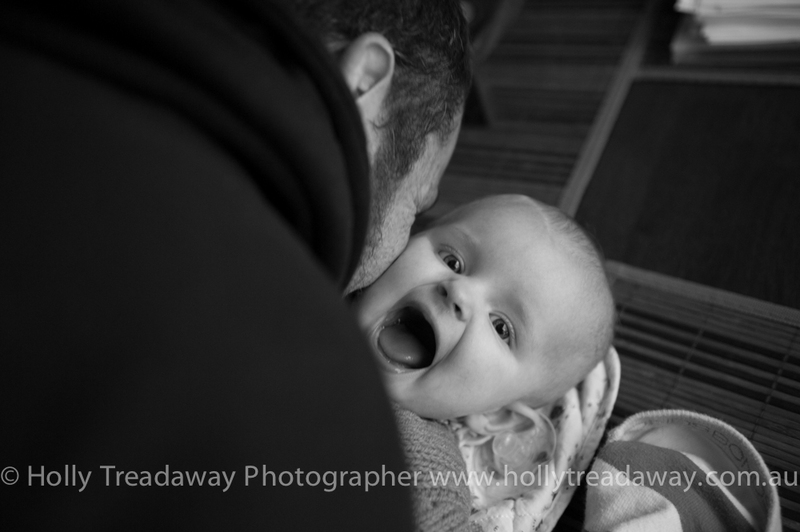 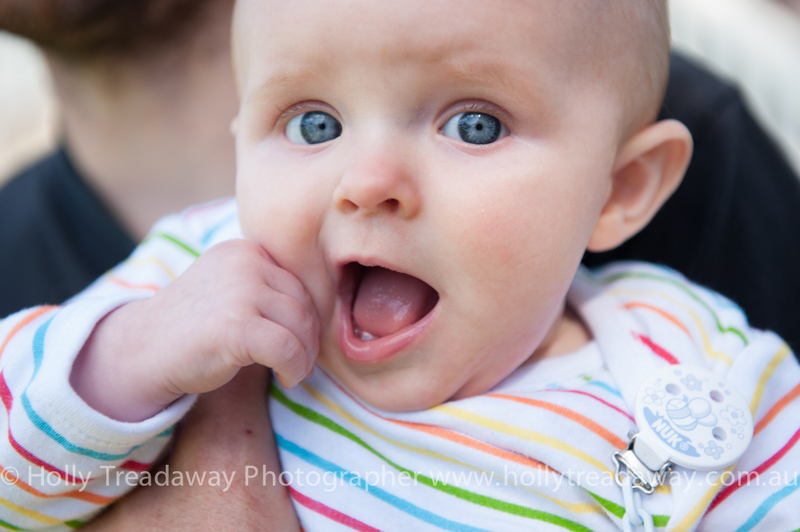 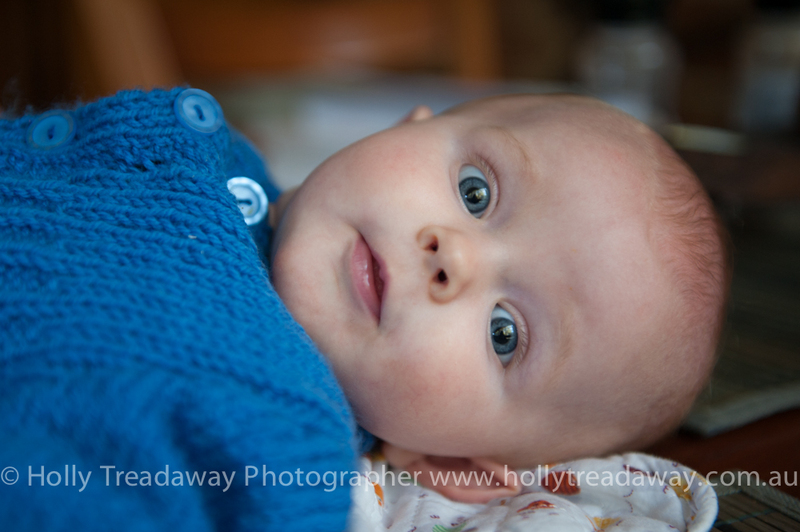 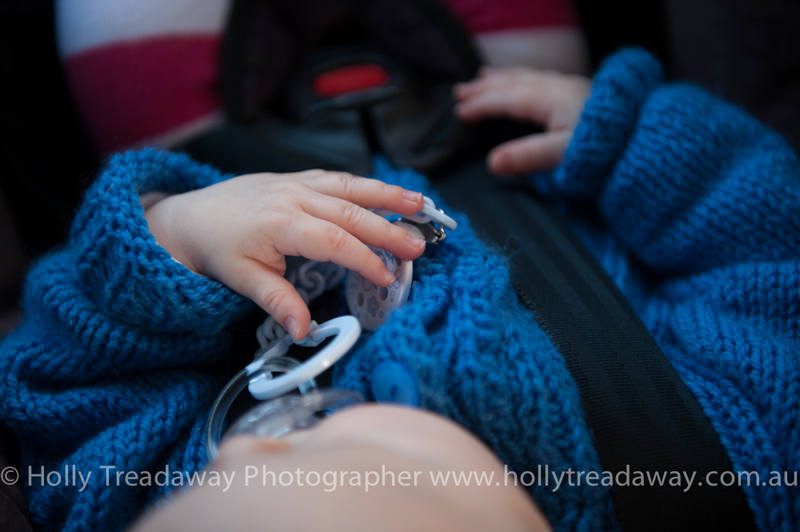 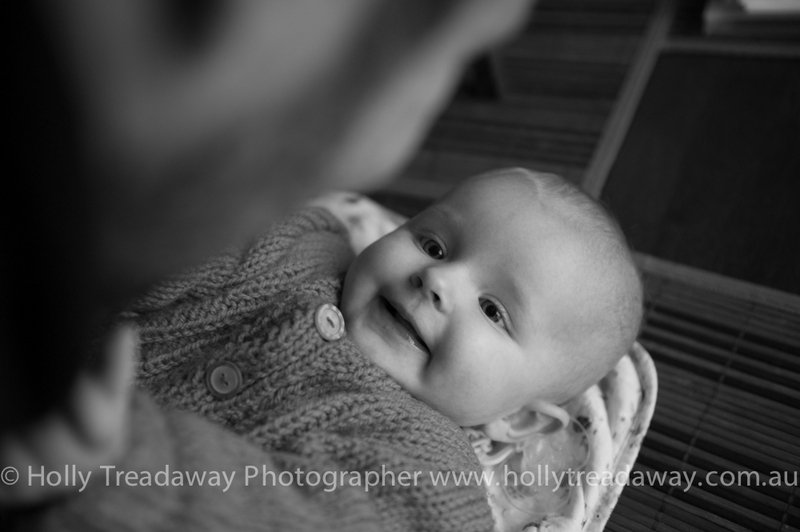 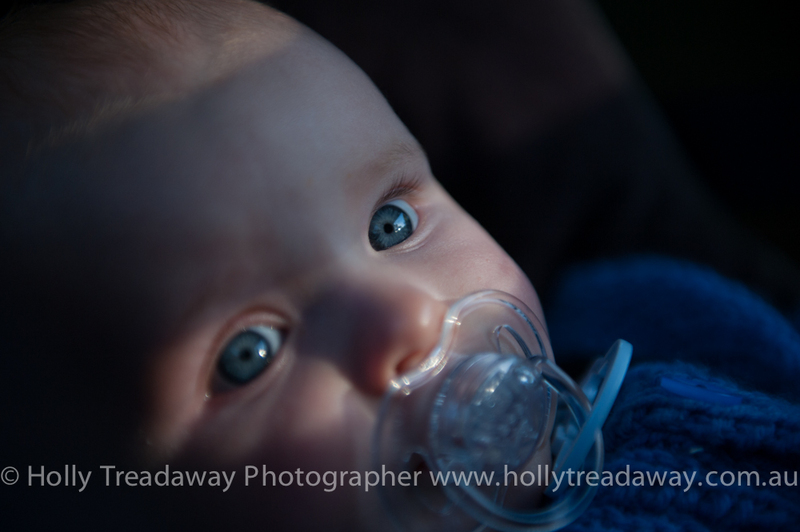 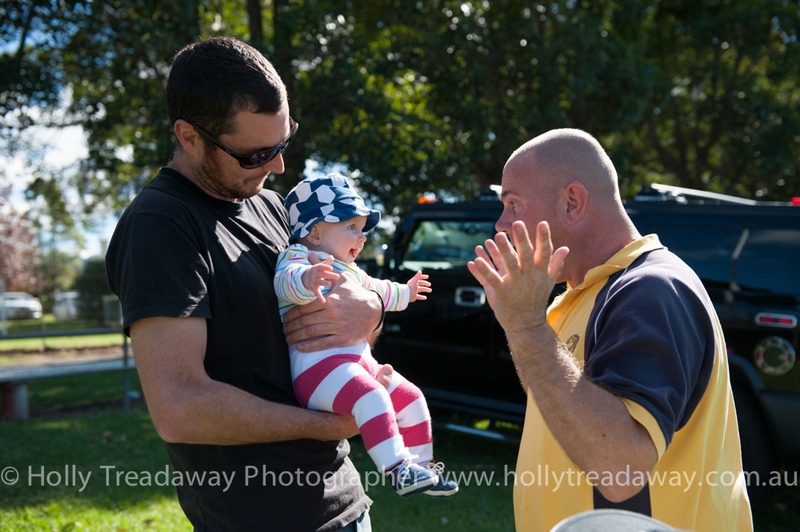 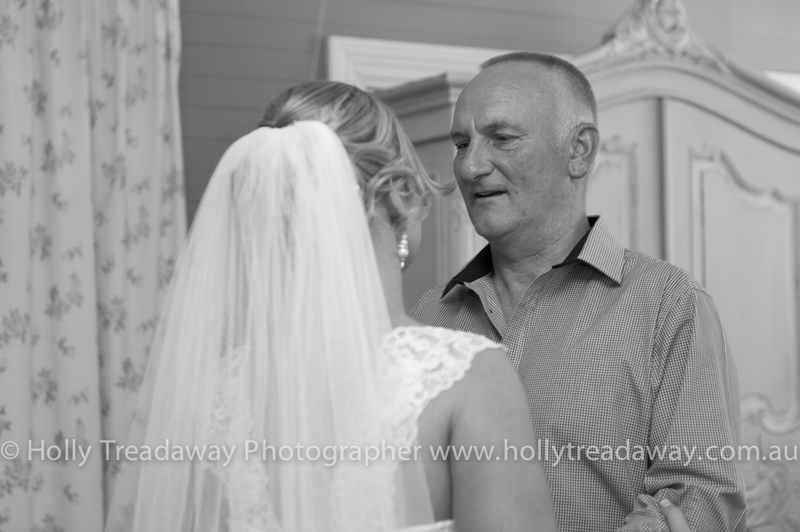 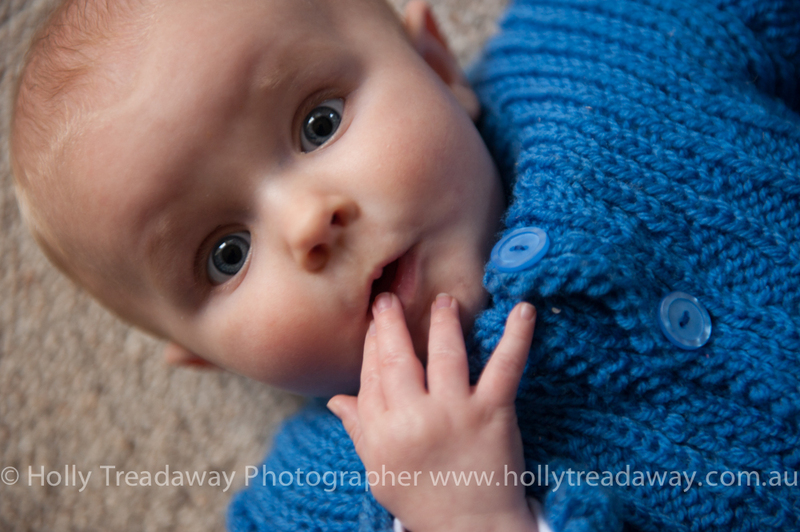 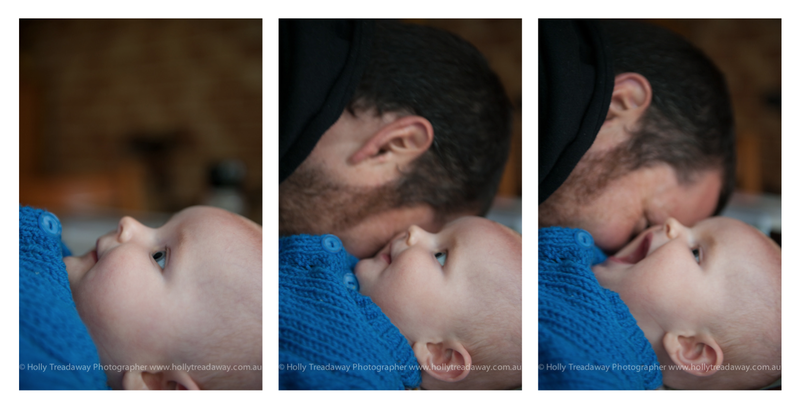 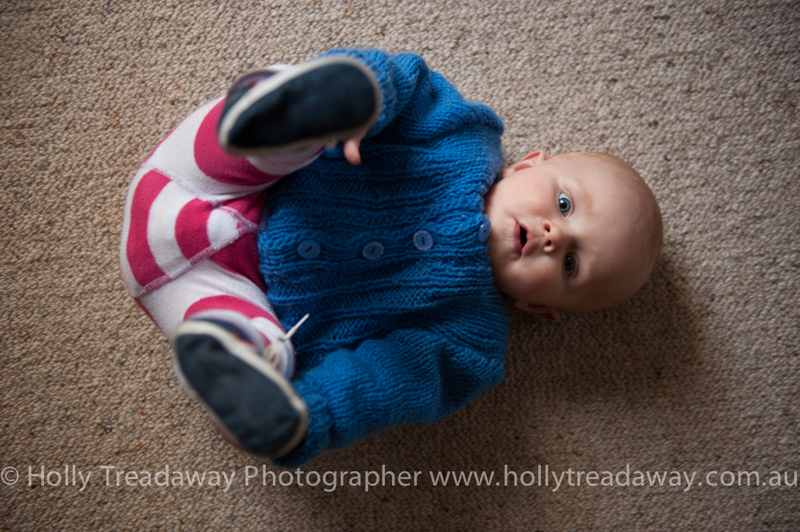 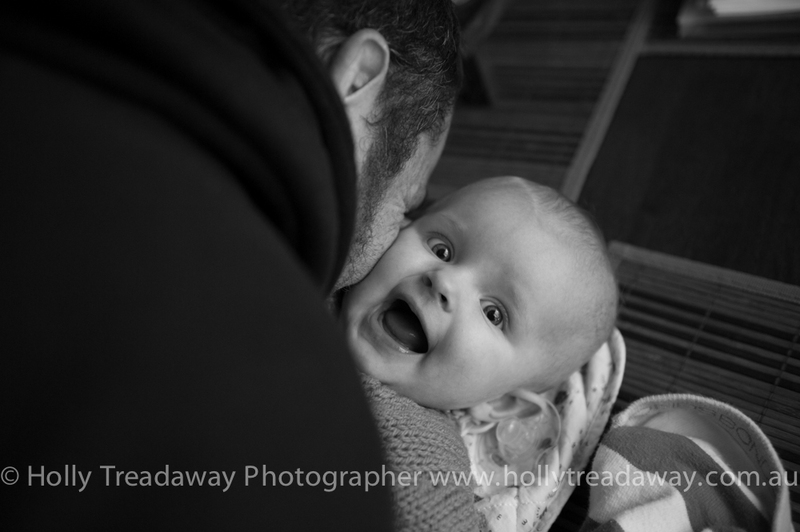 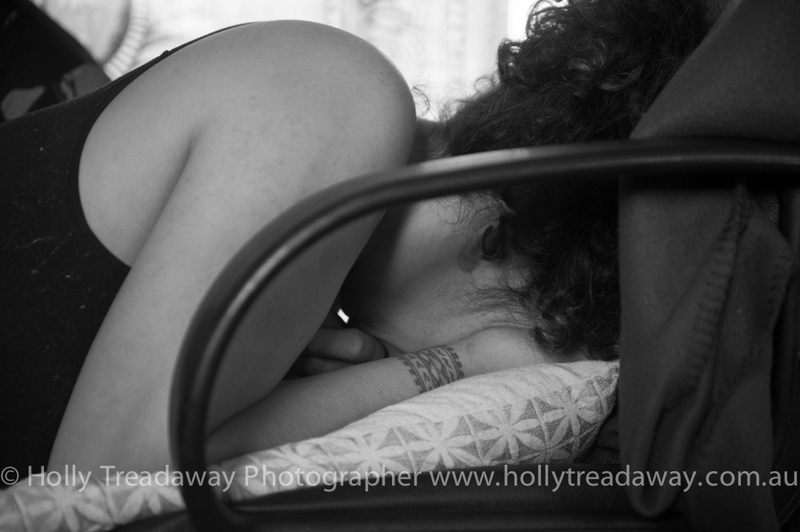 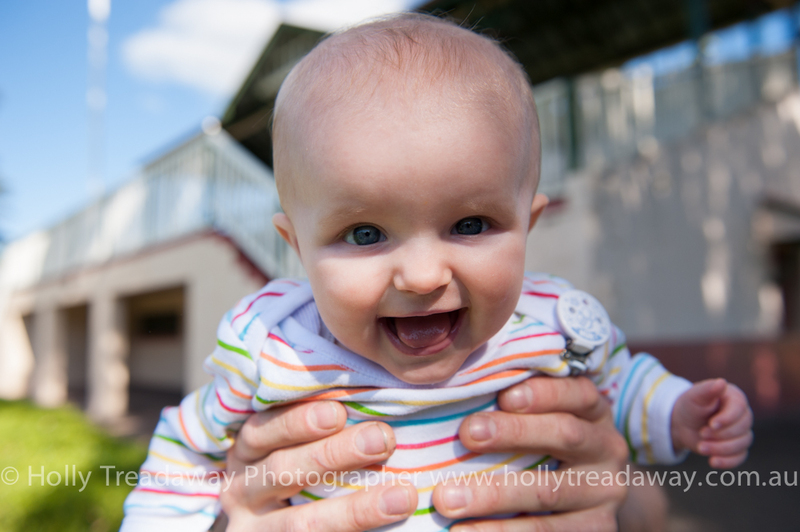 I didn’t get to sleep for very long…..
My own daughter Poppy woke just after 12pm which was unusual for her. 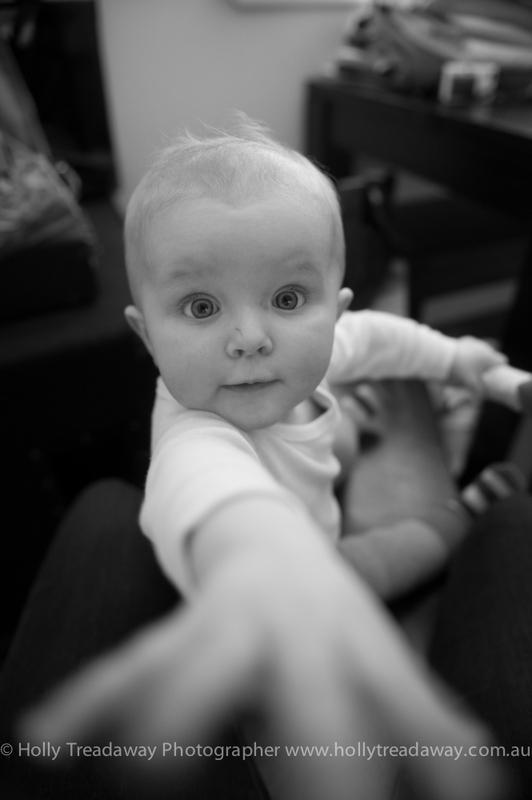 After seeing to her I went to the bathroom then crawled back into bed. 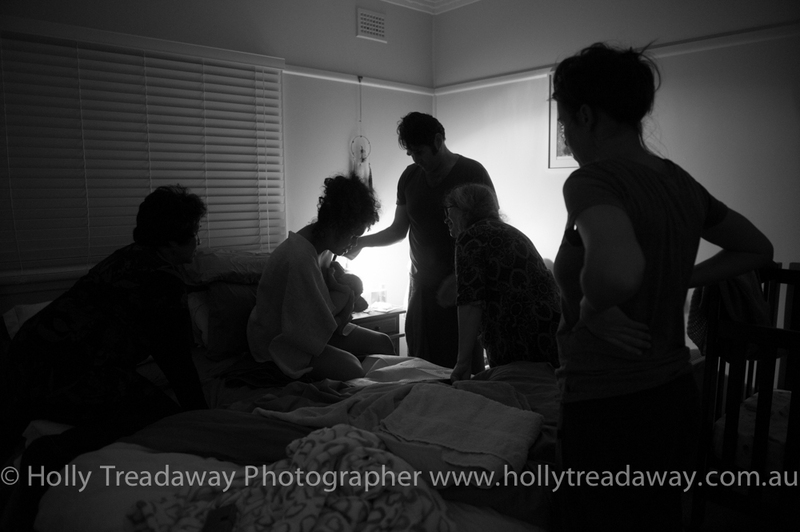 I remember absentmindedly looking at my phone to check the time and seeing a message that almost made me jump from my bed with excitement as Naomi’s contractions were “well under five mins apart” and then another message saying “please come x Nomi”. 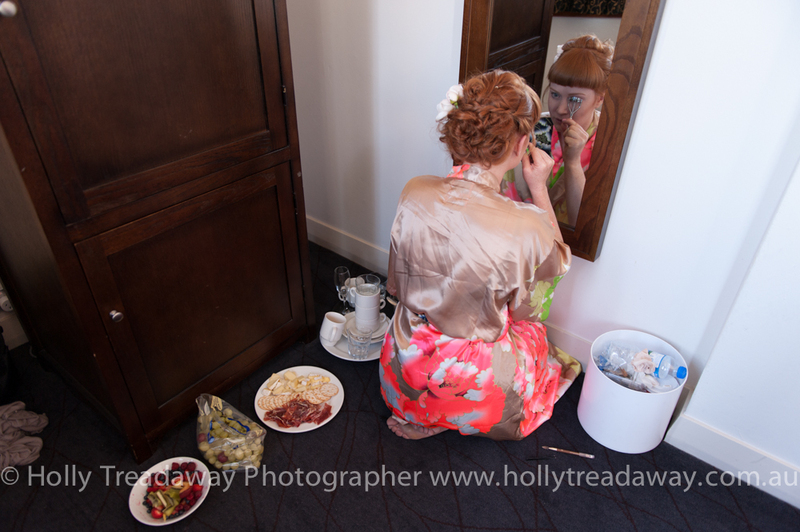 Knowing how quickly things could progress I freaked out about being so far away, so I quickly jumped in the shower, grabbed a bite to eat, packed the car, grabbed Poppy and hit the road. 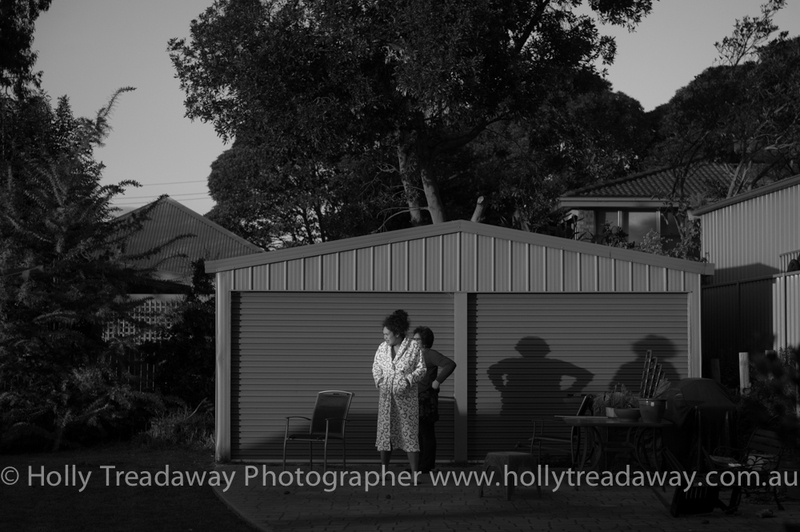 It was around 2am when I began the long chilly drive through large blankets of fog and invisible roads, winding through the Southern Highlands and down the Macquarie Pass. 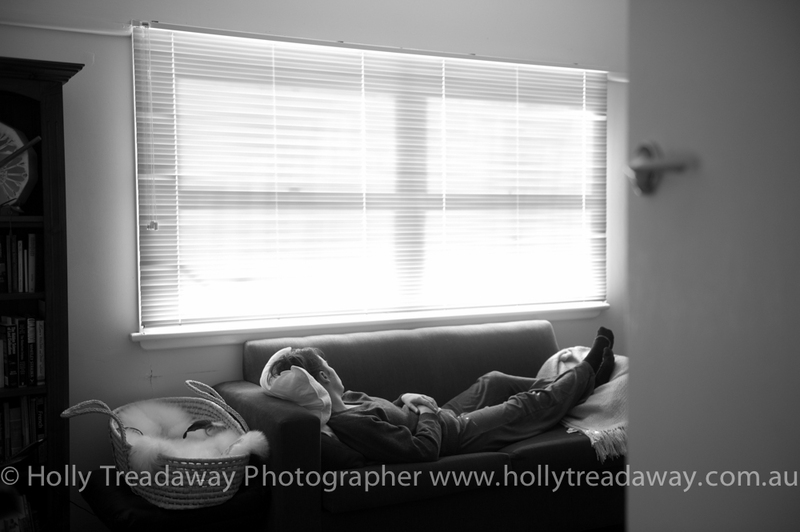 I arrived in Wollongong at 5am, thankfully everyone was resting, so after a quick cup of tea, Poppy and I lay down to catch up on some lost sleep before the big day that lay ahead. 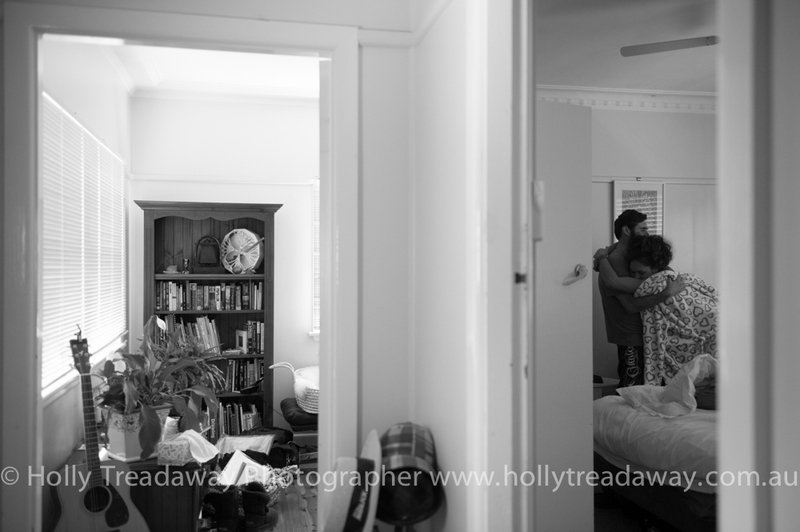 Around 7am the household stirred. 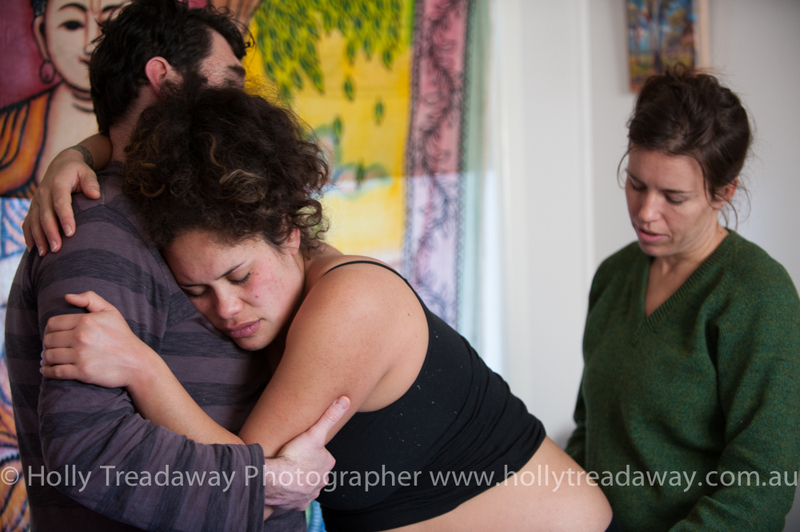 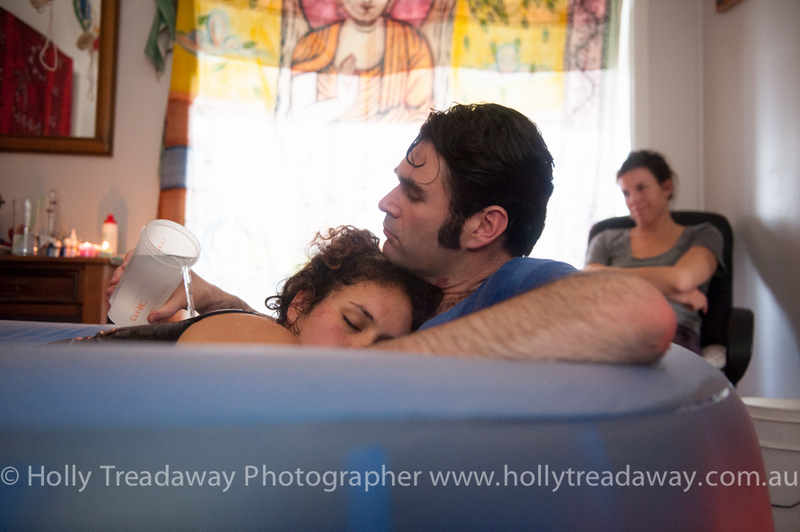 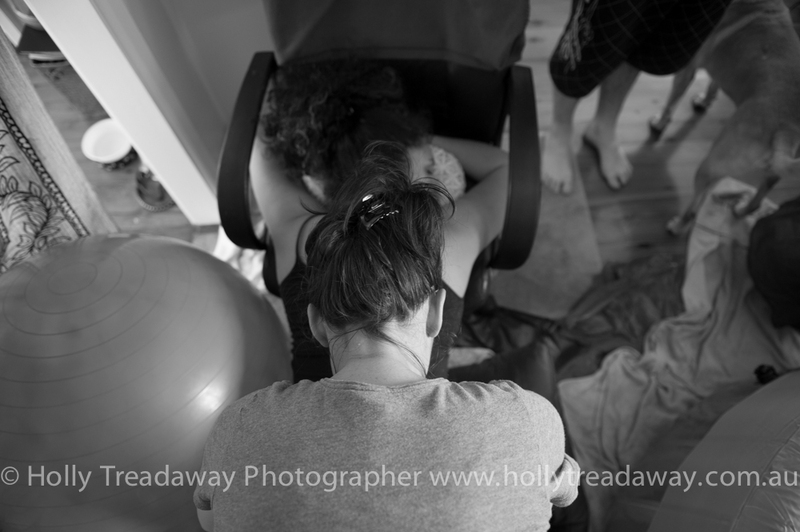 Naomi had her mother and best friend Emma present as support for her home birth, along with her partner Dave and midwife. 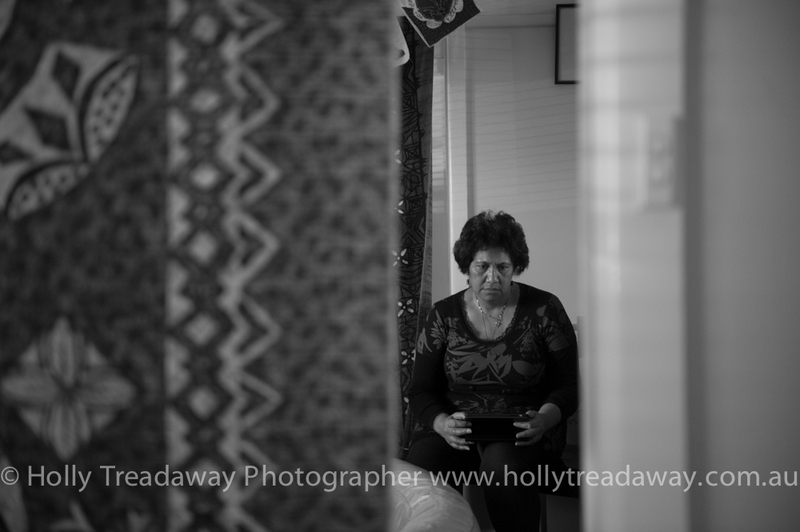 I felt very privileged to be sharing in such a personal time and place, amongst such close bonds. 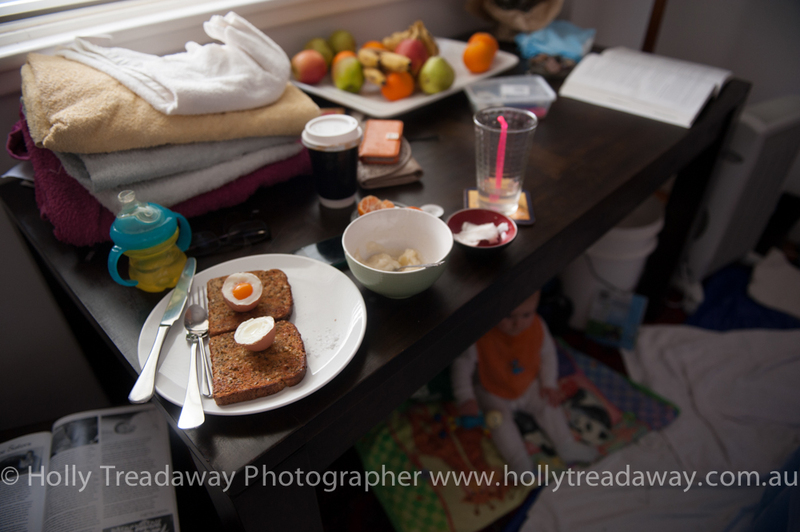 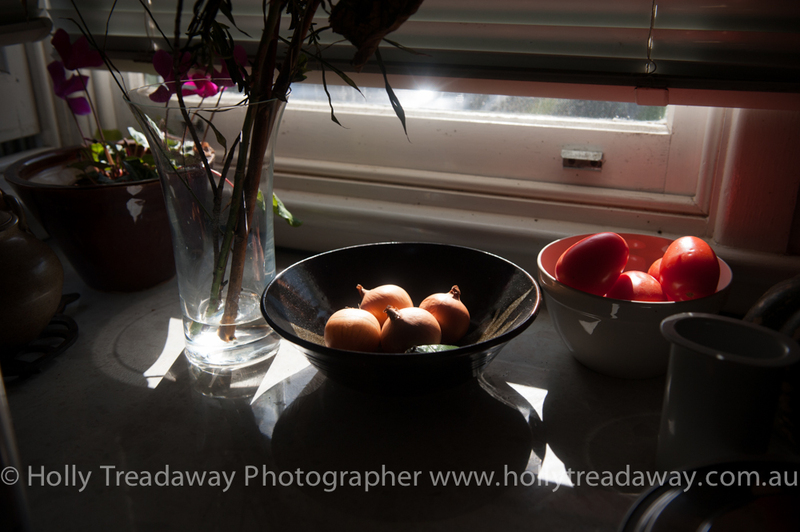 The sun rose and the day meandered along with many contractions, cups of tea, more contractions, boiled eggs on toast, another contraction, coffee, lunch, good conversation, followed by more contractions and an afternoon nap. 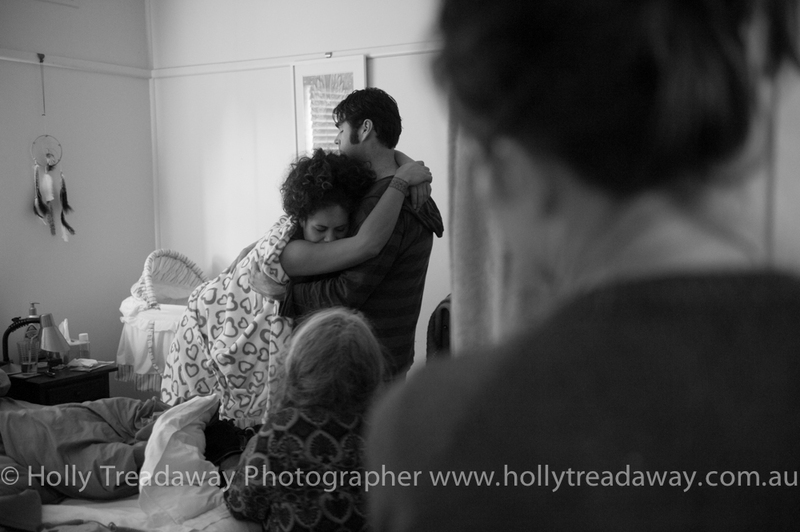 Naomi’s support team were laid back yet present, by her side and holding her hand at the drop of a hat. 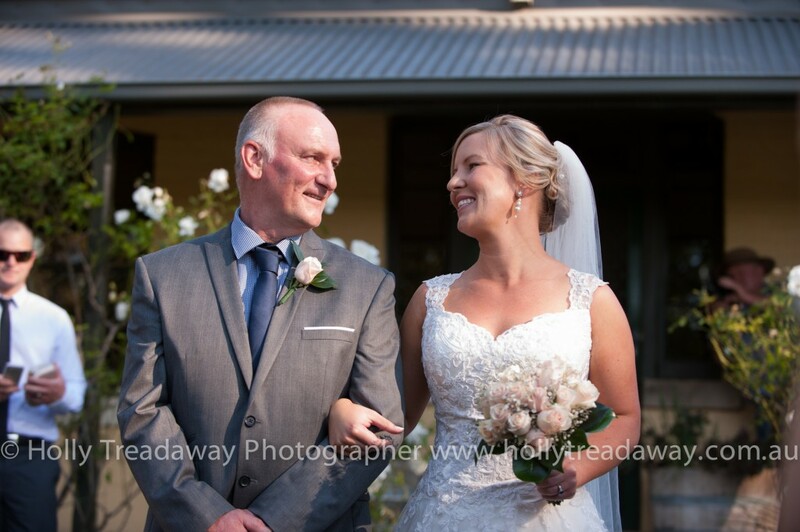 The ambience of the day was one I’ll never forget; love, gratitude, understanding, support, openness, laughter, cheerful banter, excitement, anticipation and patience. 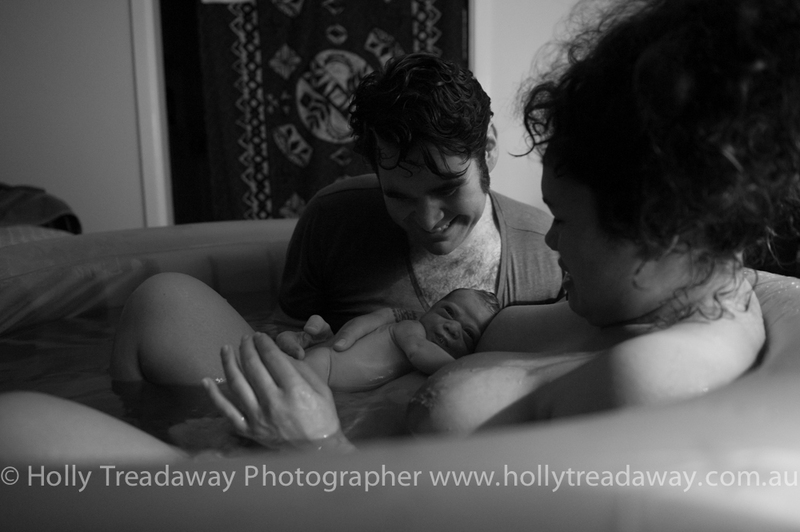 I couldn’t have imagined a more perfect environment for a new being to enter the world ~ so much to live for! 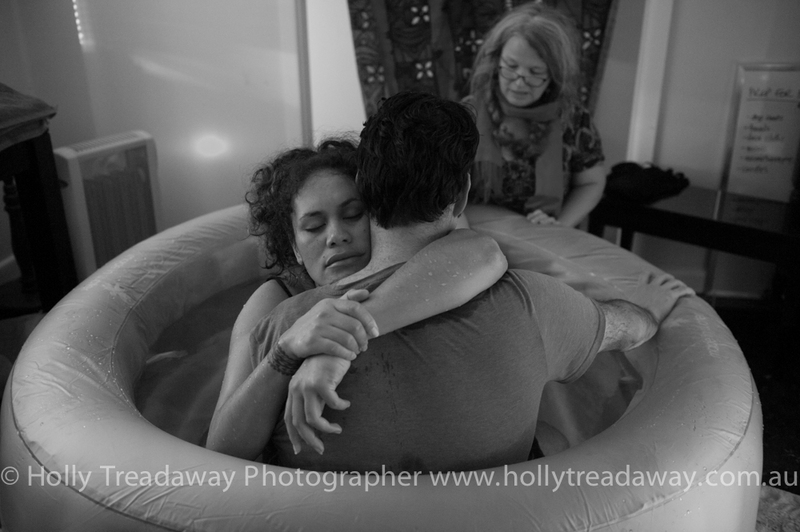 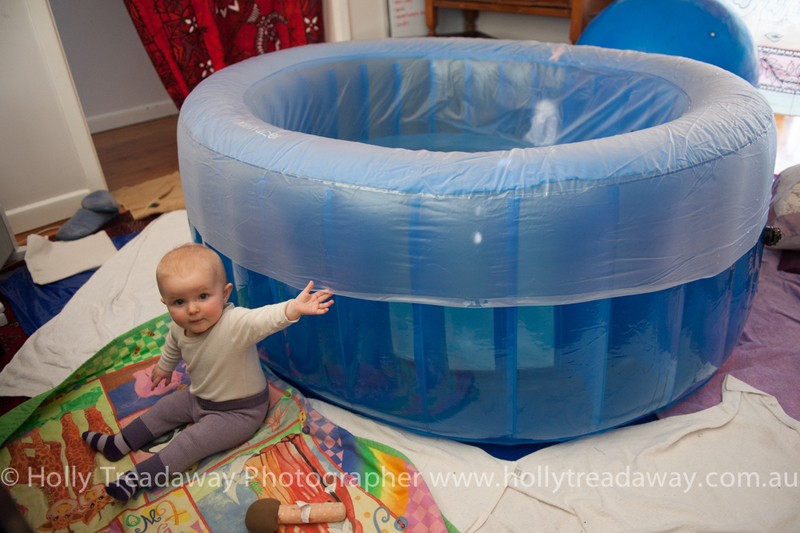 Despite my wishes for a daylight delivery (purely for photographic reasons), Naomi and Dave’s beautiful daughter literally swam from her mother’s womb, through water into the arms of her parents on July 24th at 6.54pm. 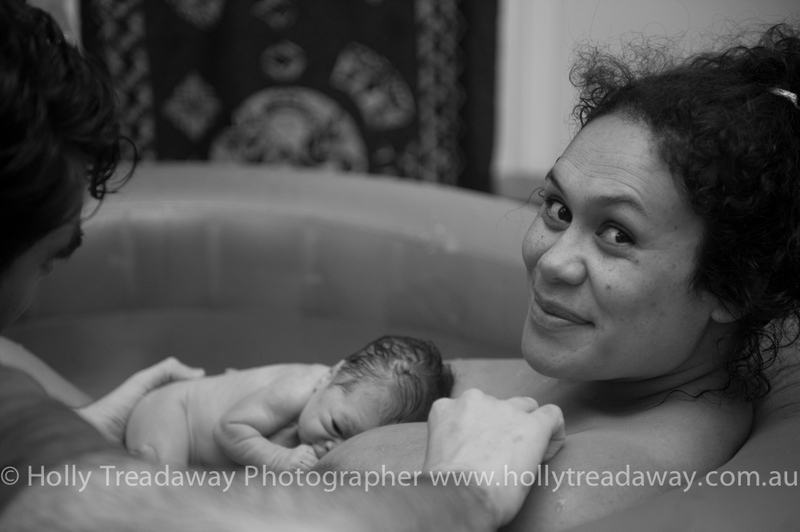 Naomi and Dave lovingly and thoughtfully created her name, meaning ‘born under the light of the Aquarian full moon, emerging peacefully from the water and into our arms, our gift of love’ ~ Vaimåsina Mea’alofa Winifred Murphy. 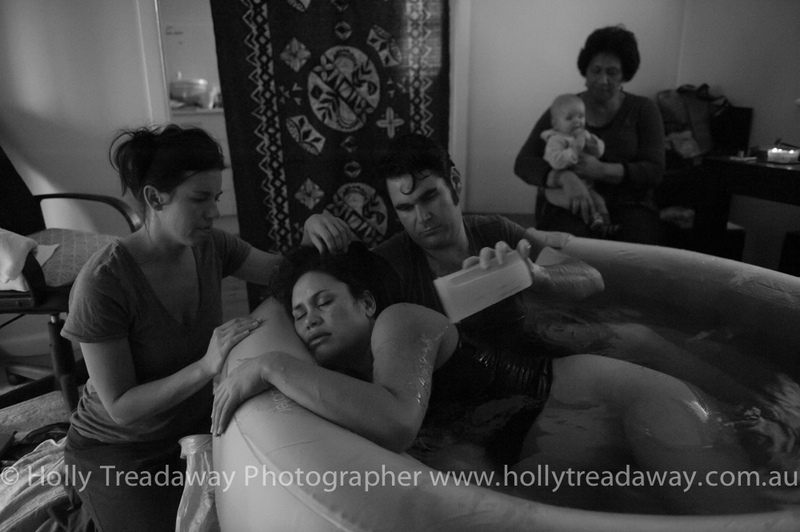 Vaimåsina’s birth was the most amazing and exhilarating experience I have documented with my camera and witnessed first hand. 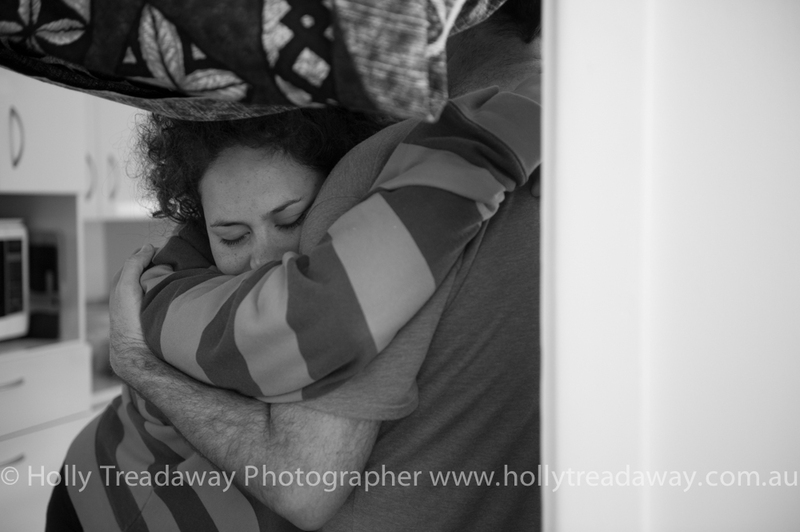 Words cannot describe the day as well as my photos, so I leave you to view the love and arrival of a new life in your own time. 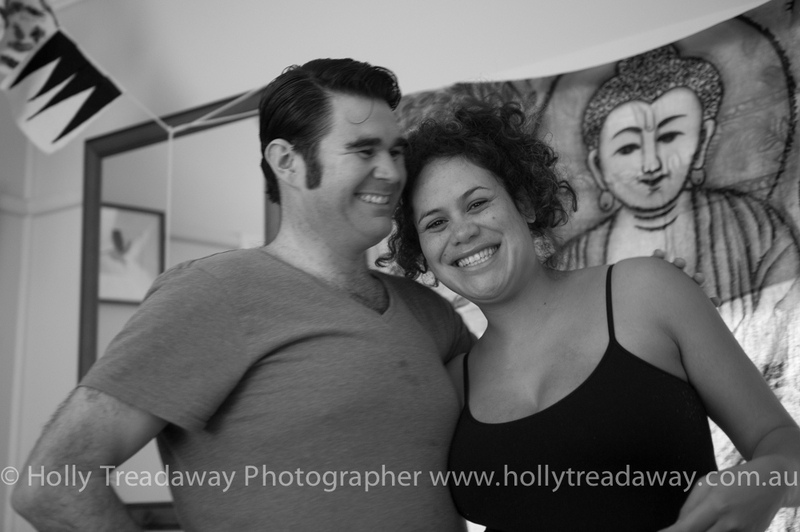 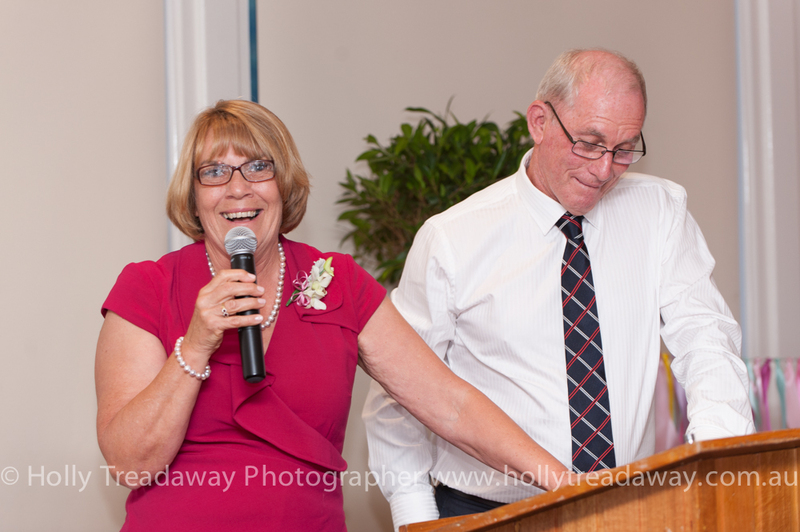 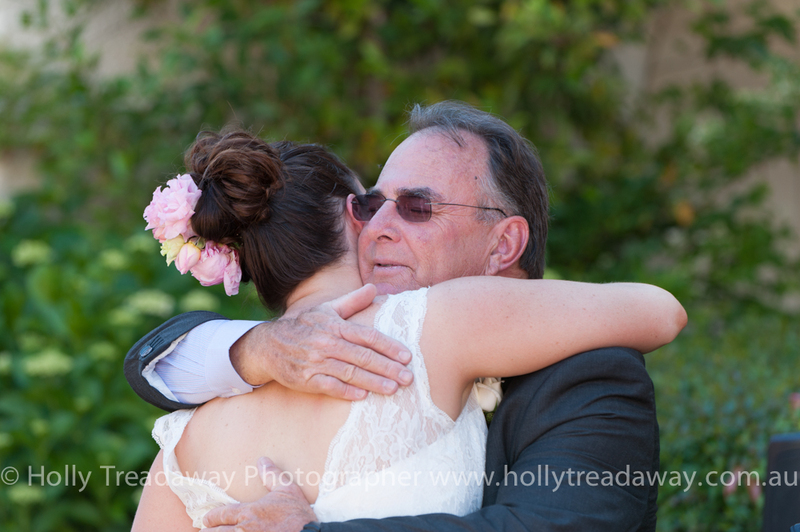 Thank you to Naomi and Dave for your openness, trust, acceptance and faith. 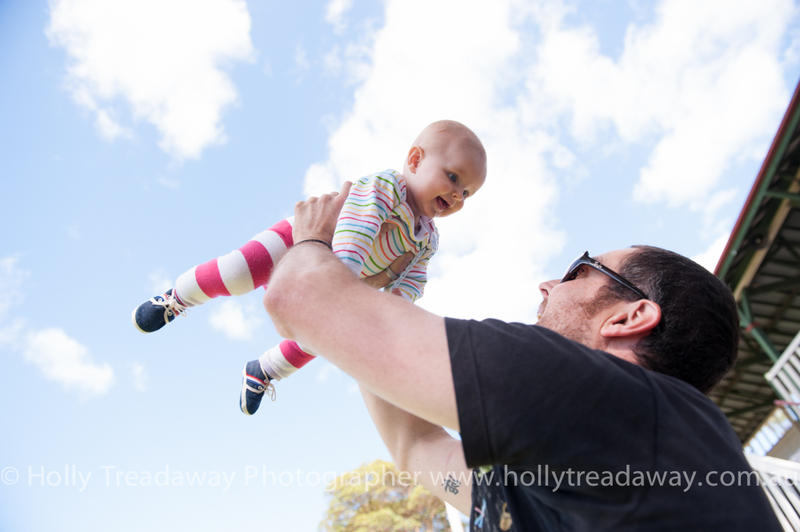 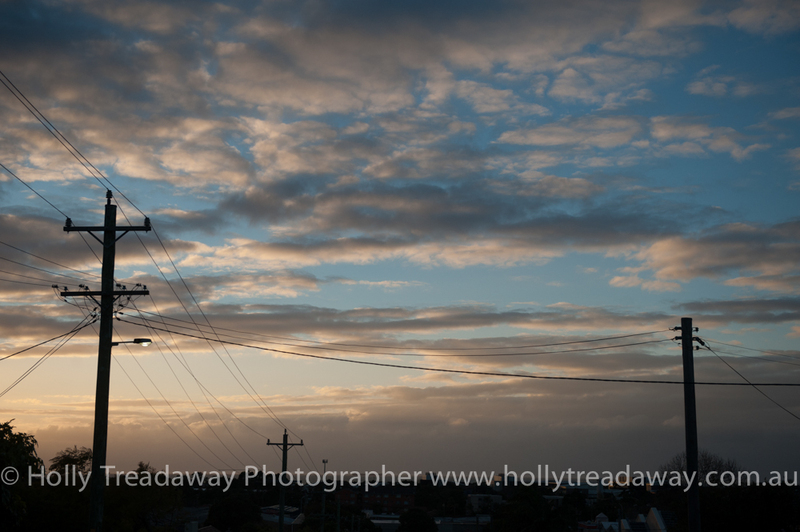 It was a bit of a balancing act with Poppy and my camera, but it was, and still is, such a beautifully memorable 24 hours for me. 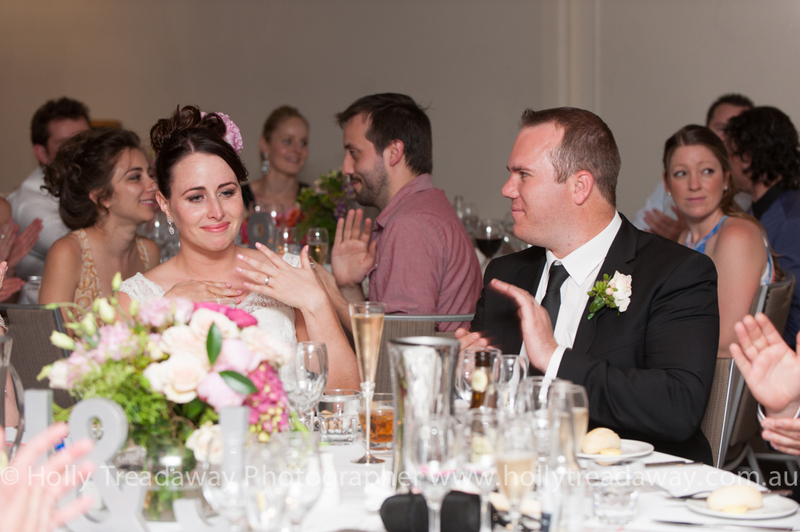 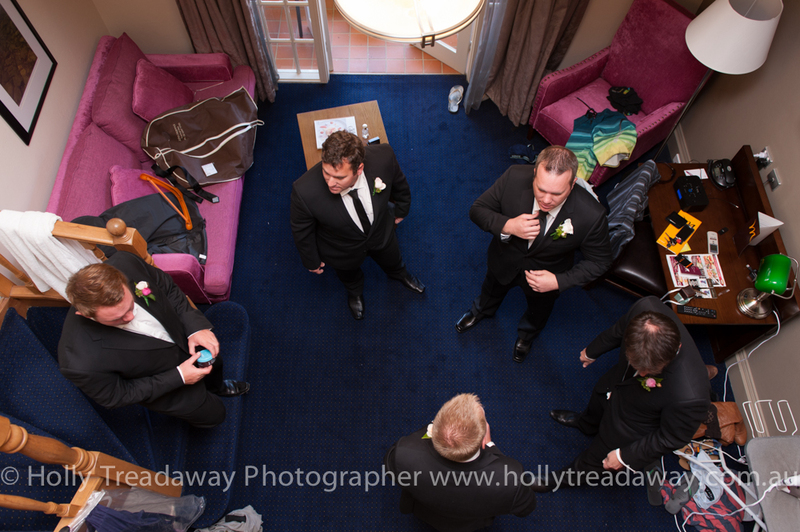 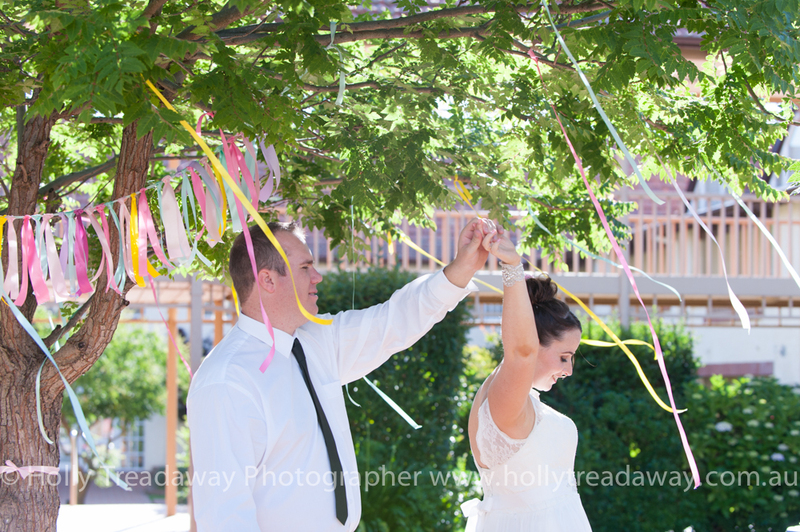 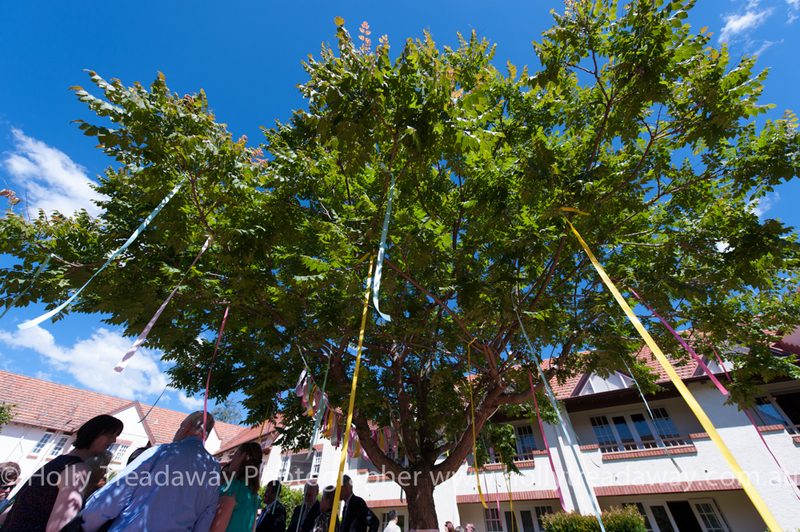 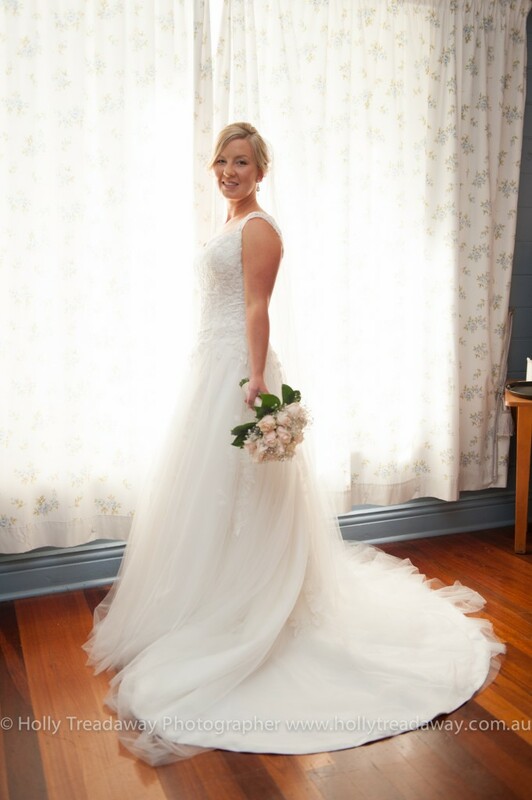 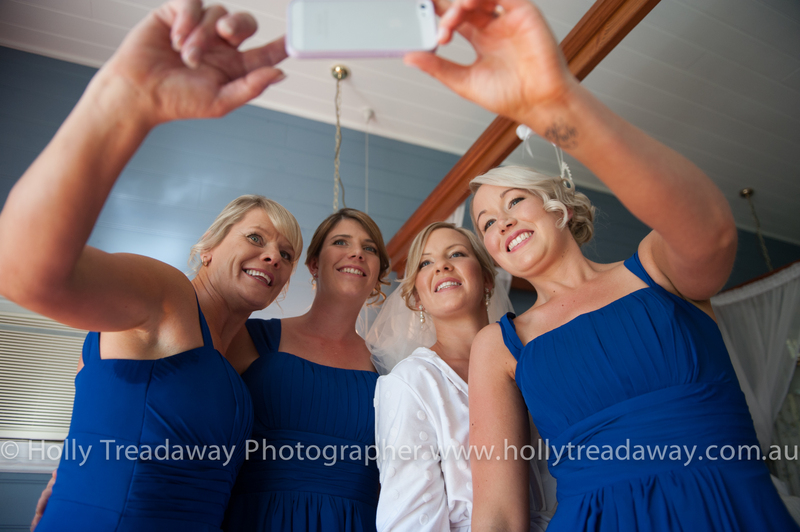 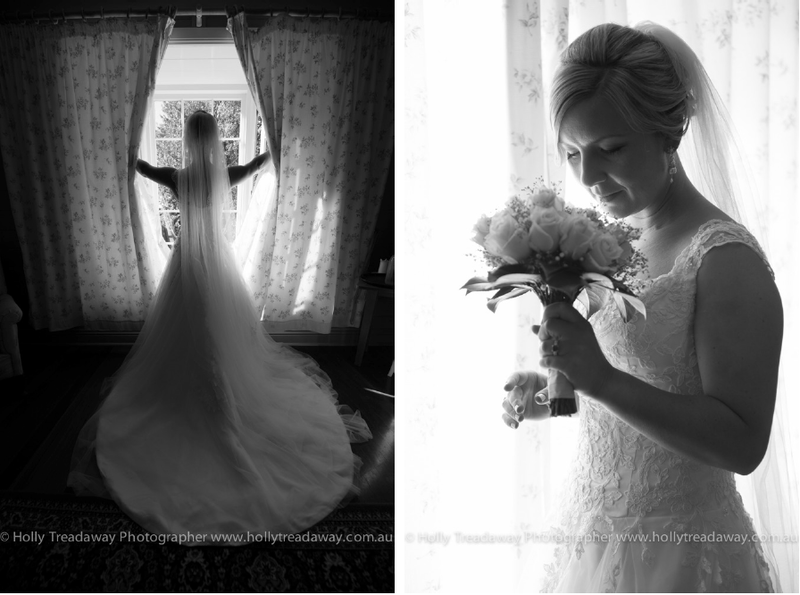 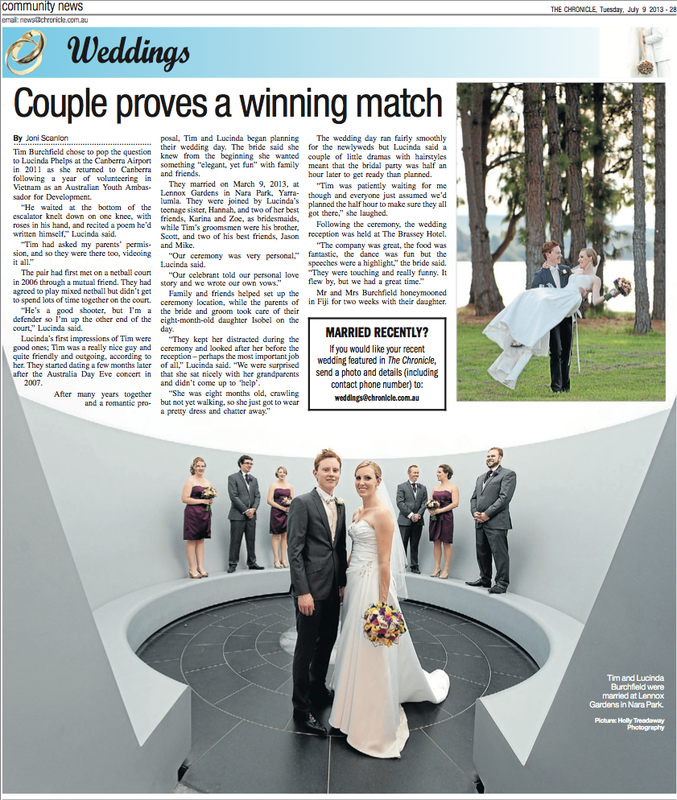 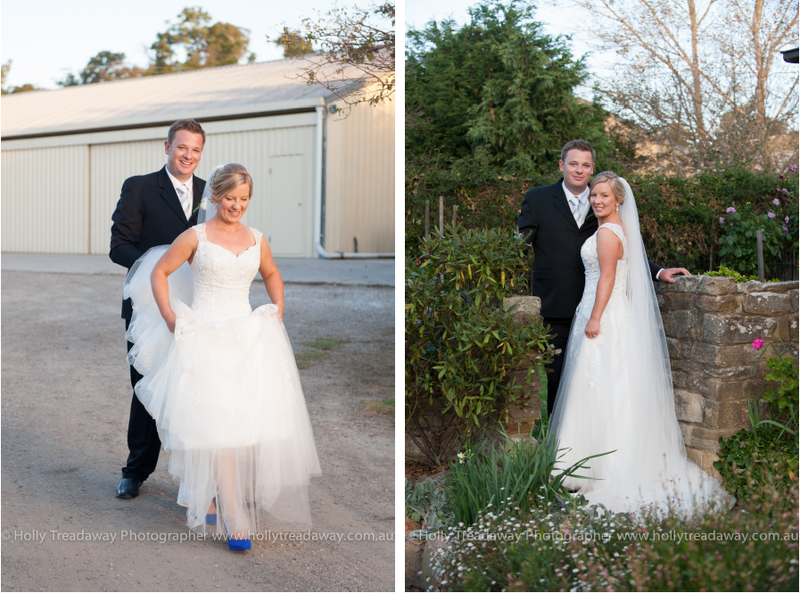 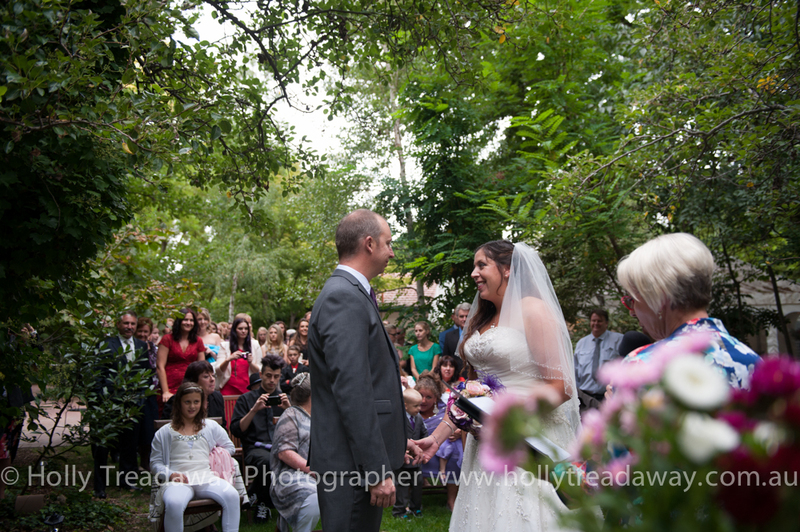 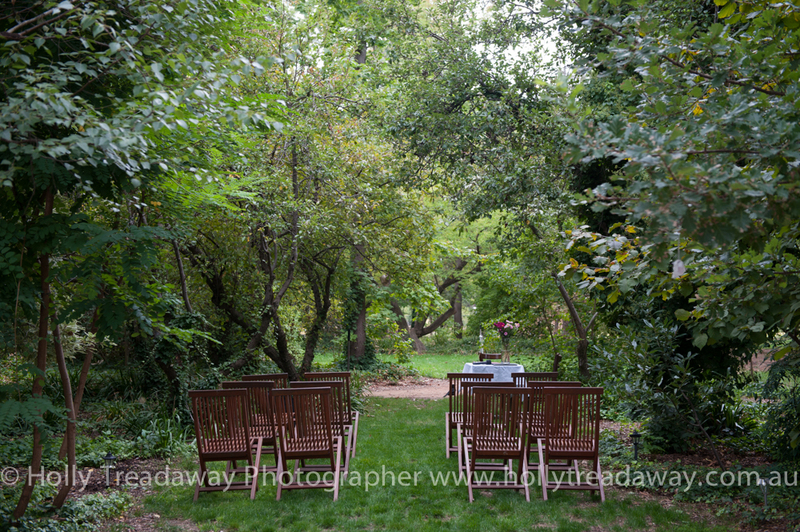 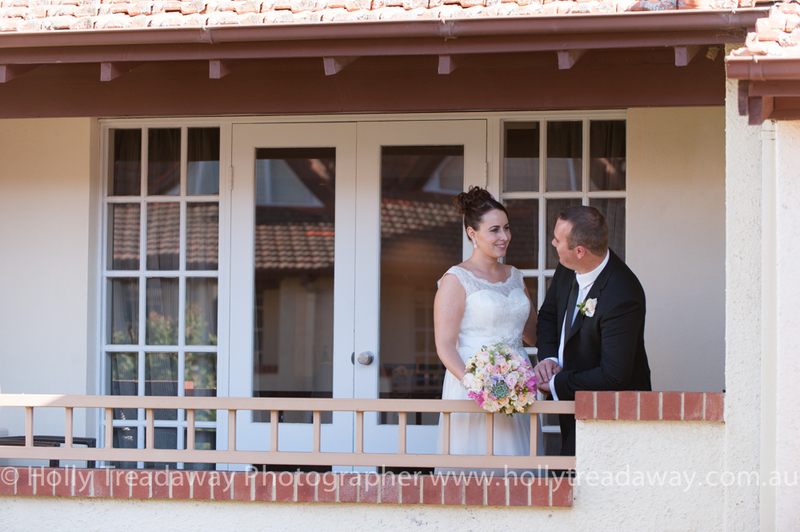 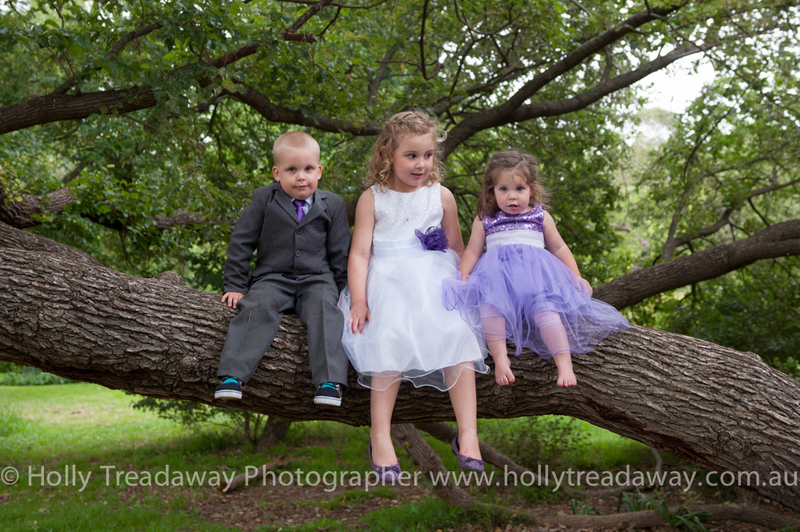 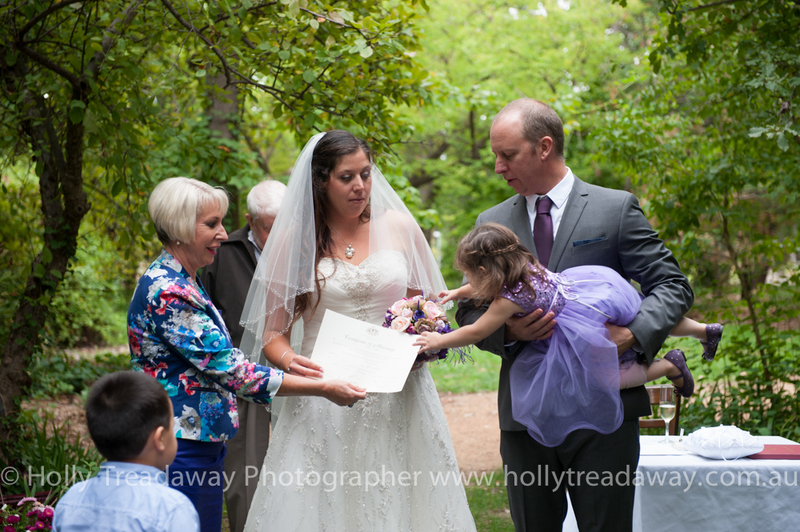 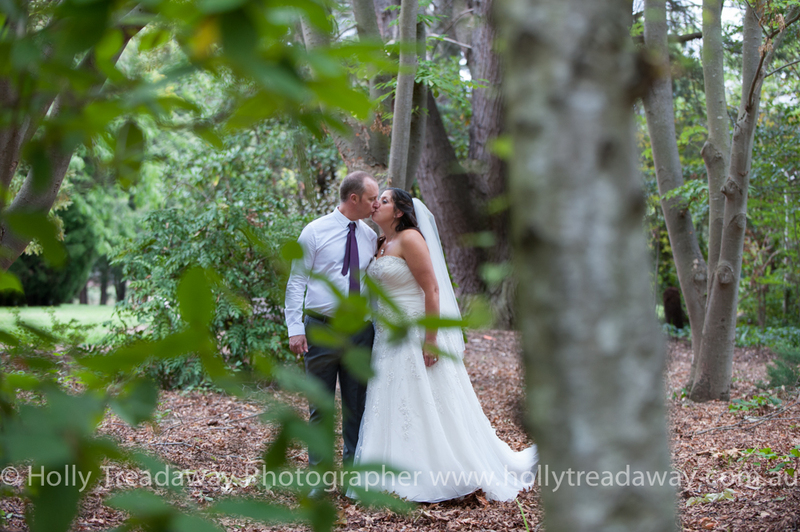 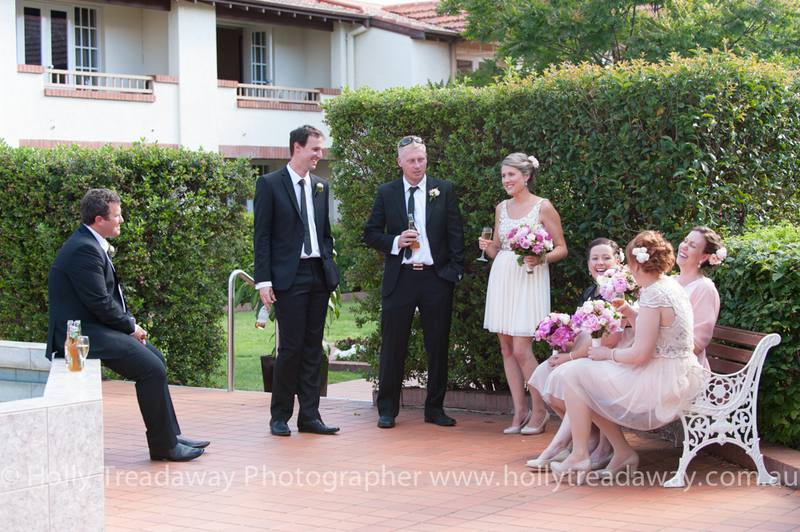 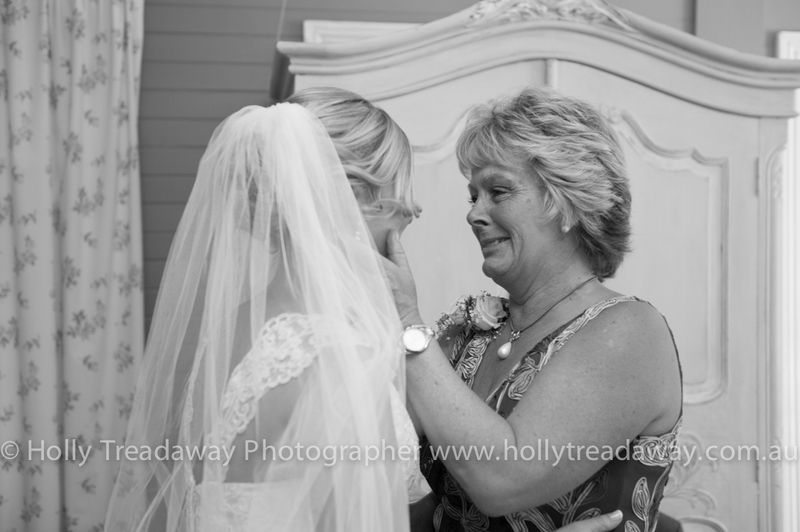 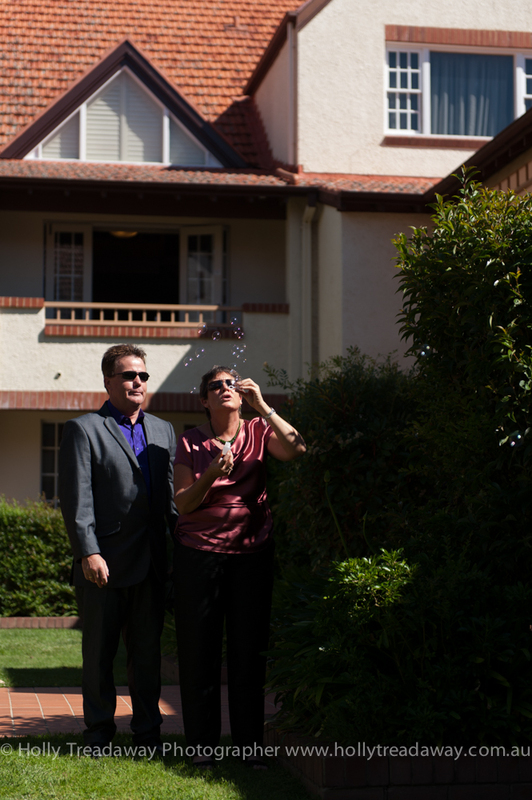 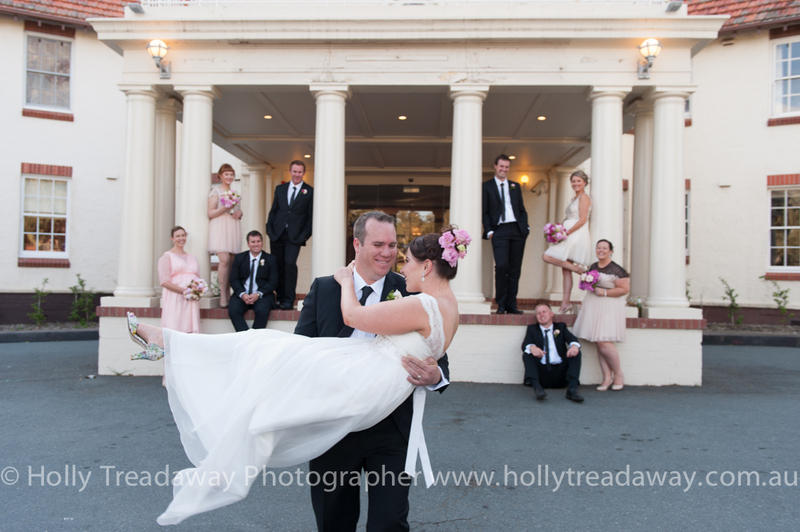 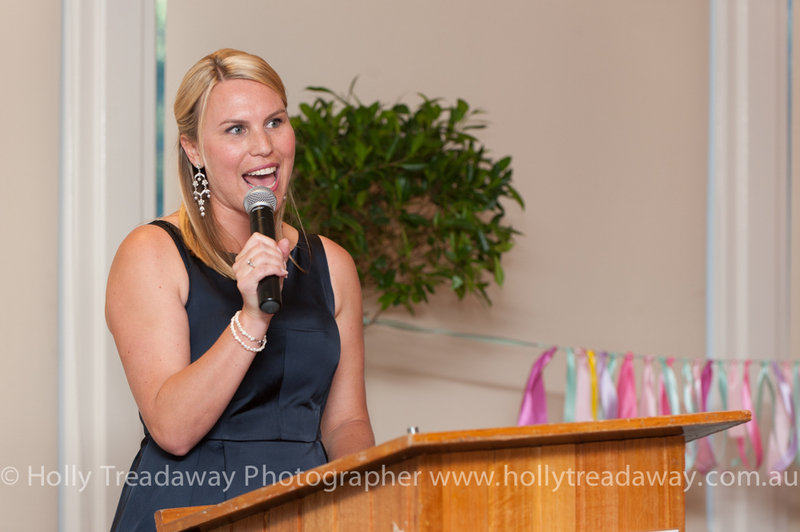 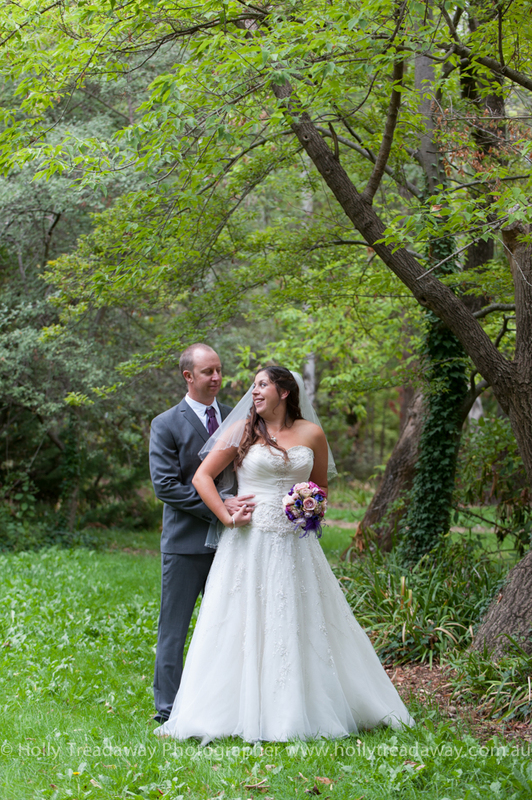 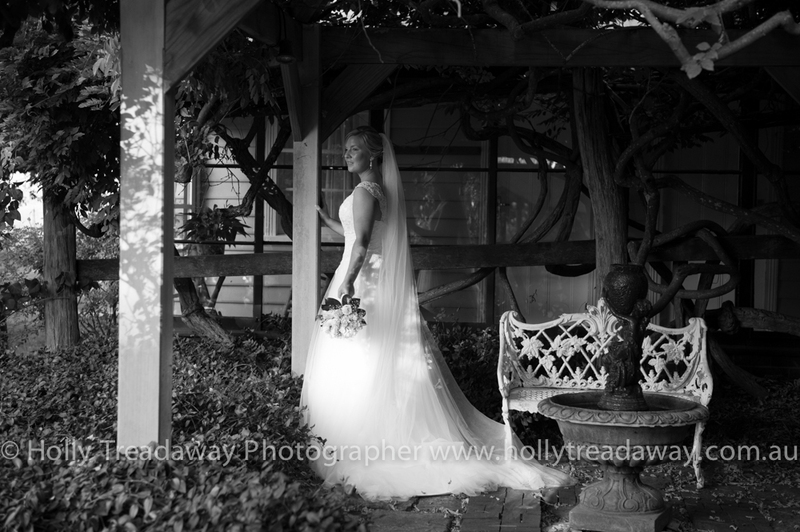 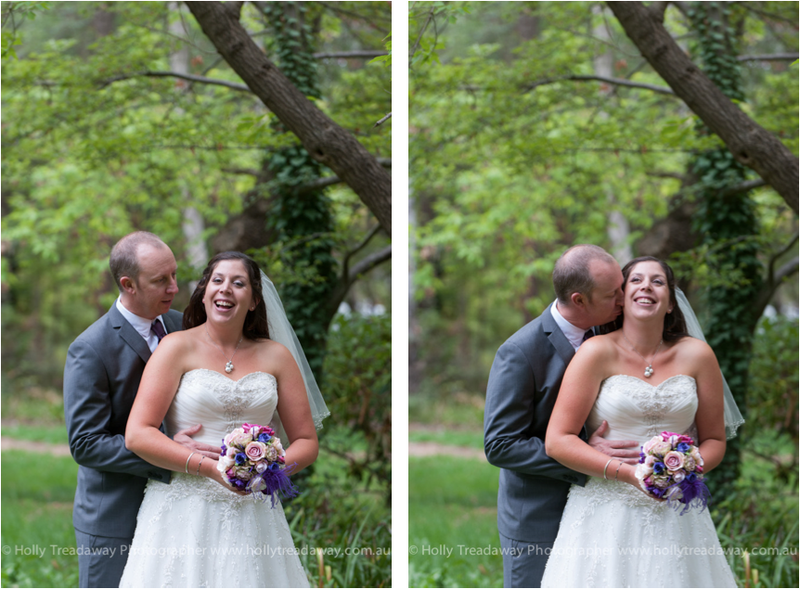 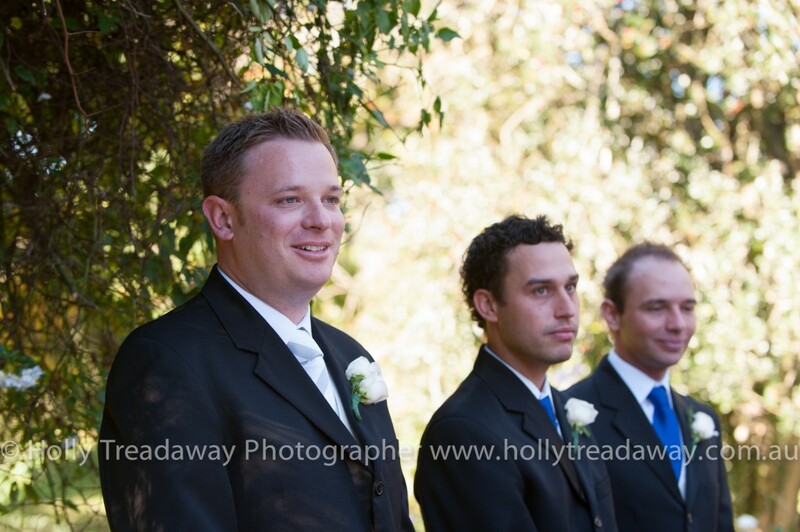 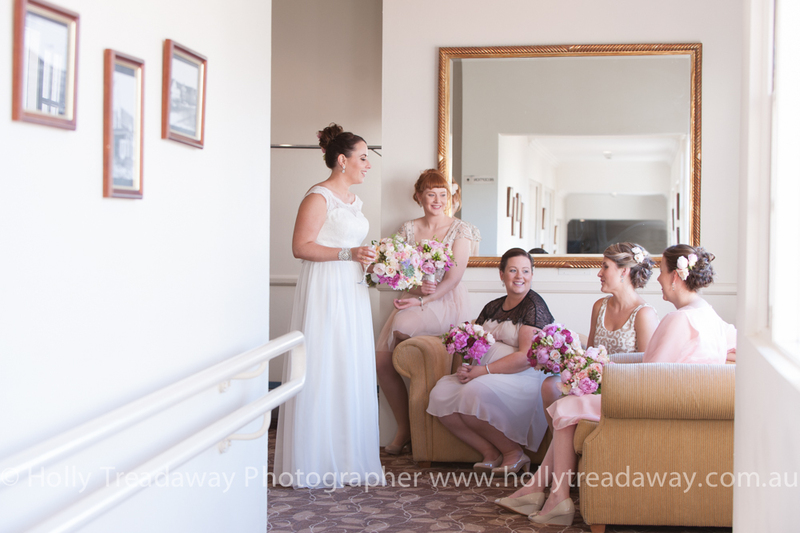 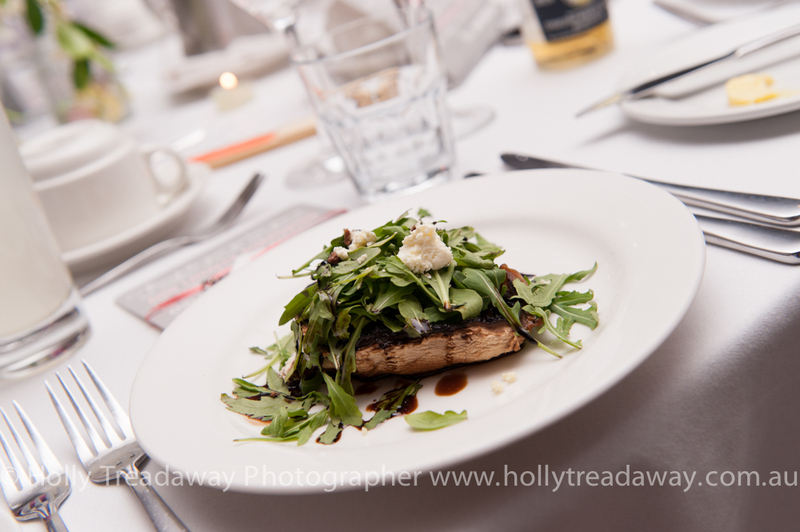 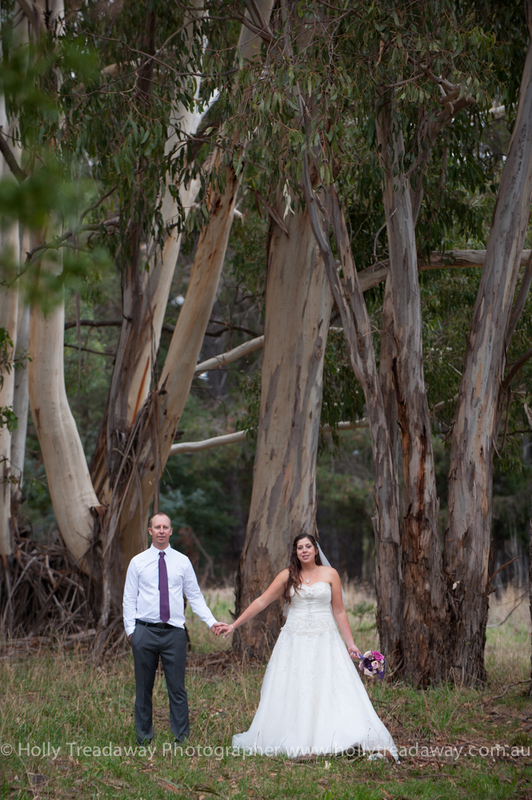 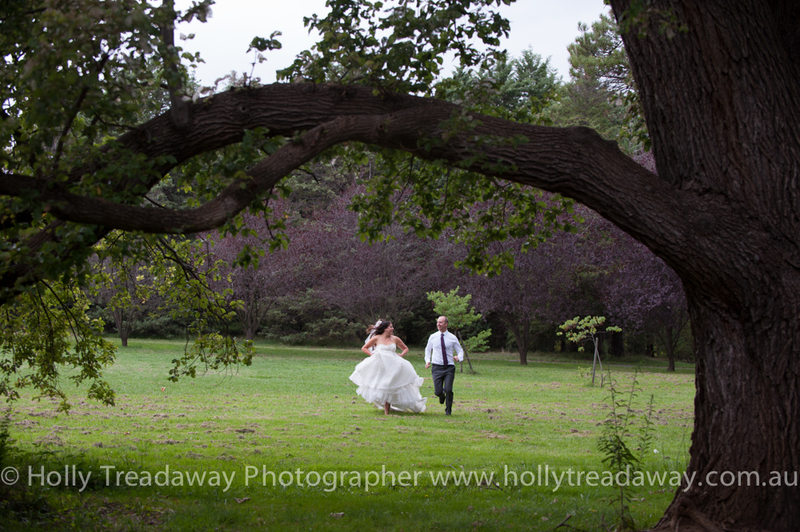 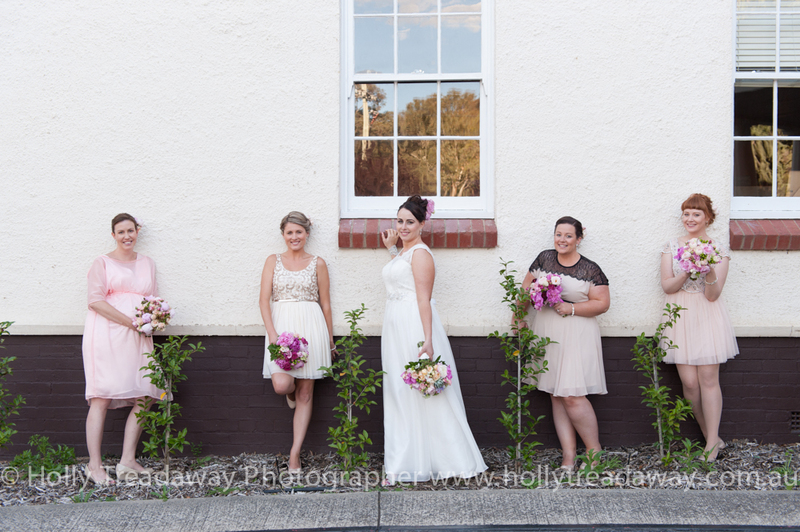 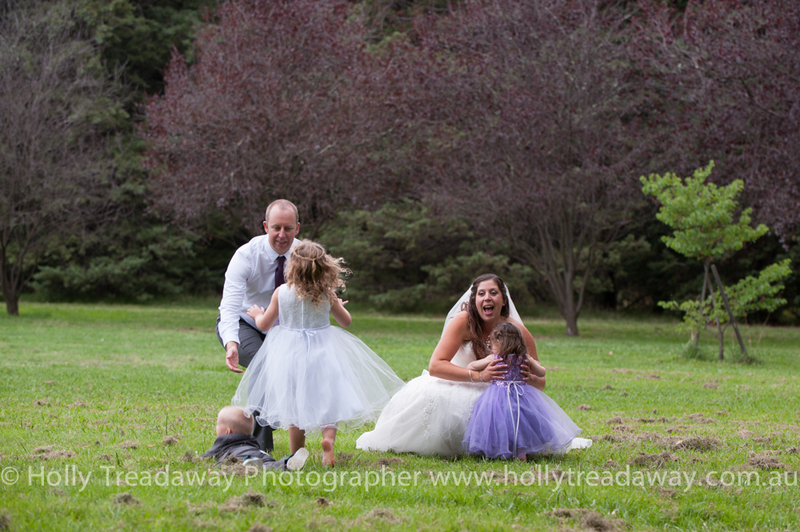 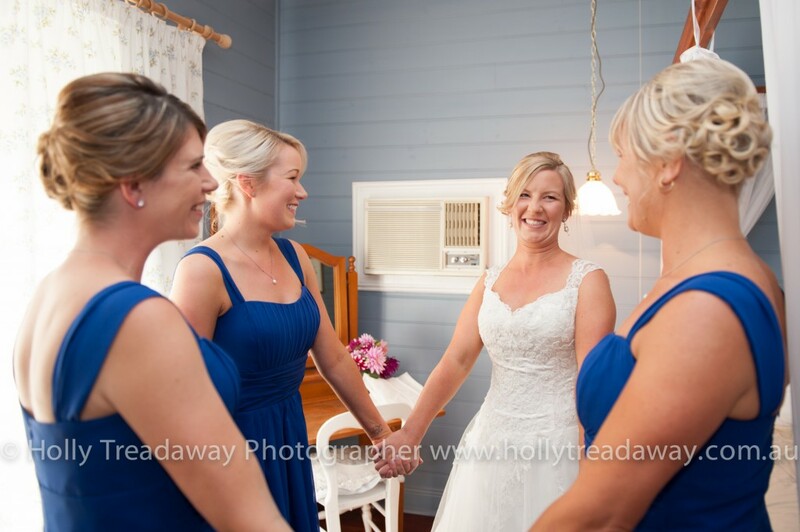 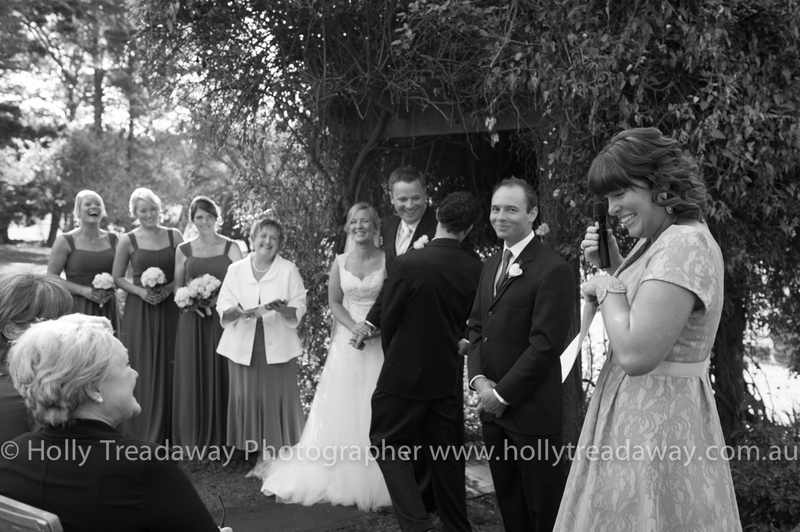 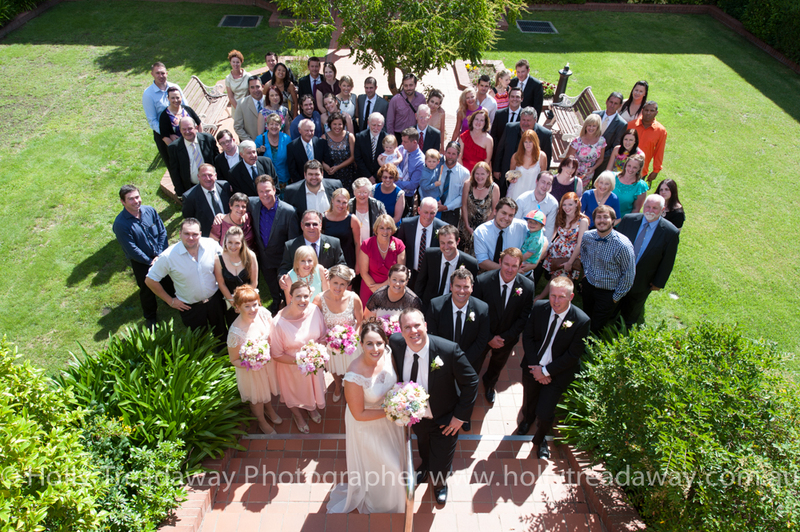 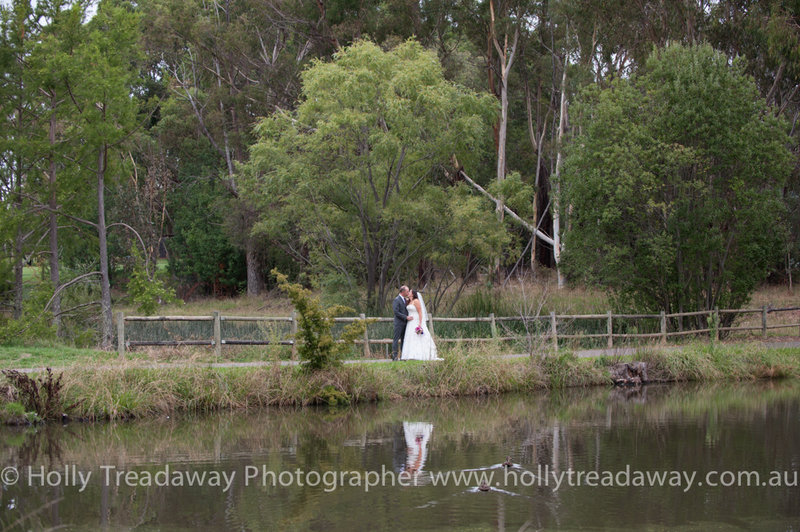 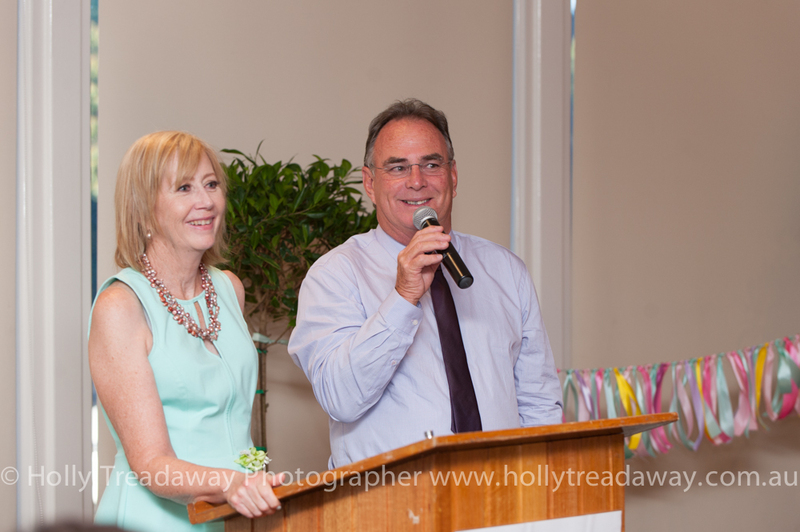 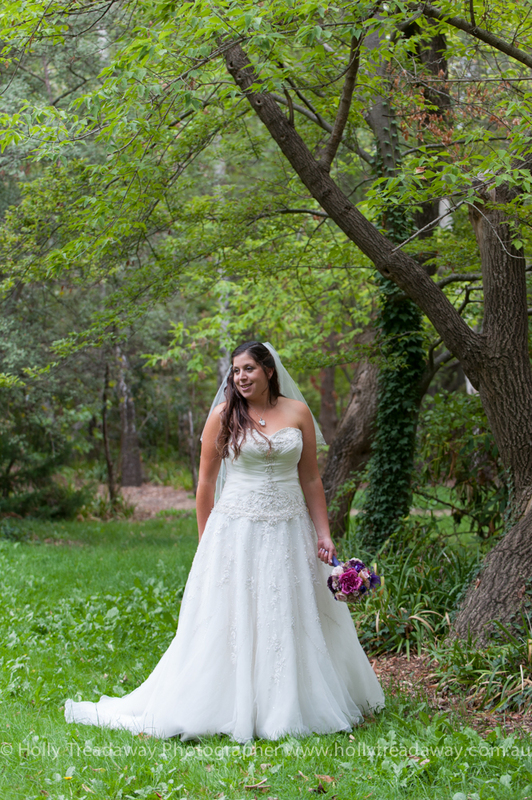 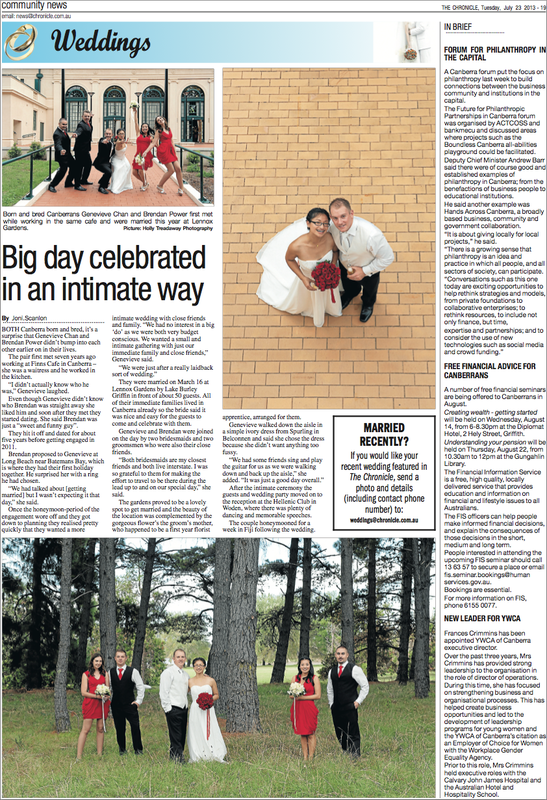 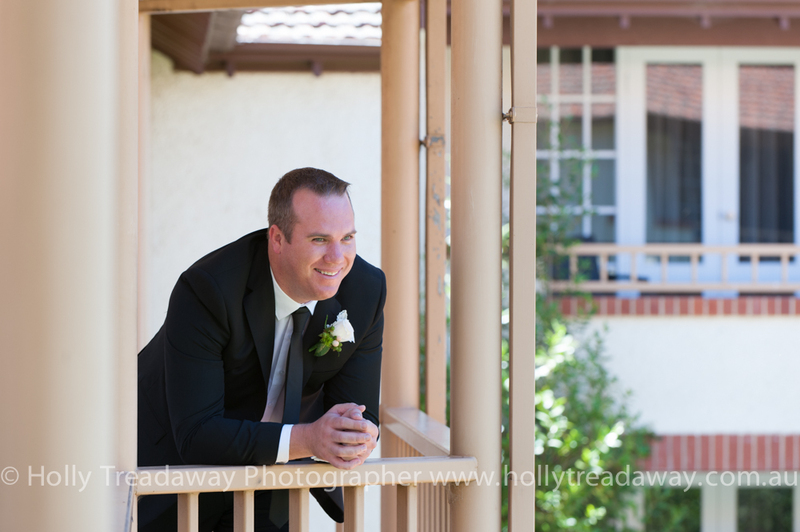 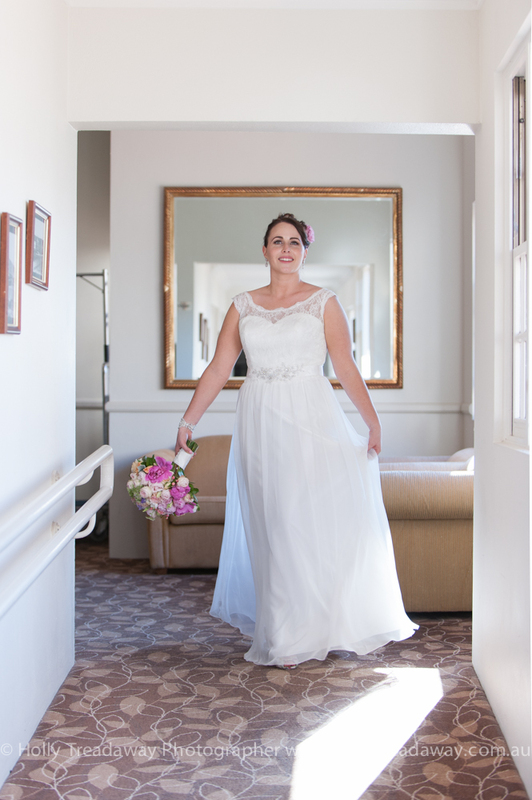 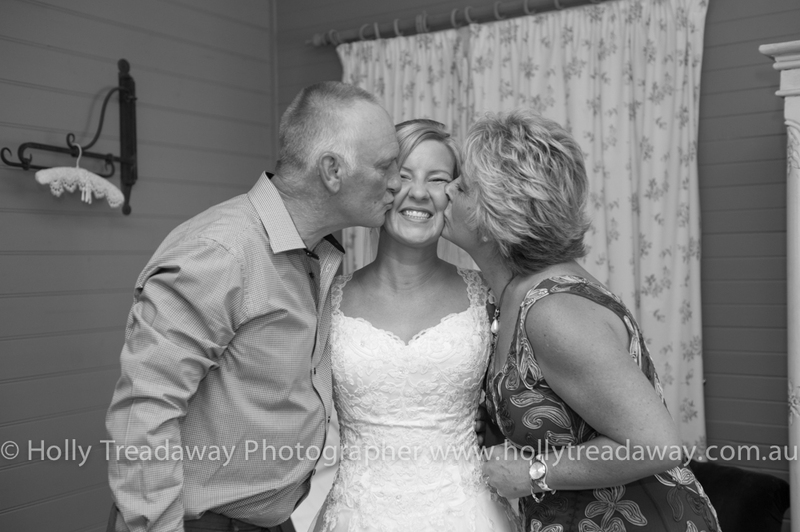 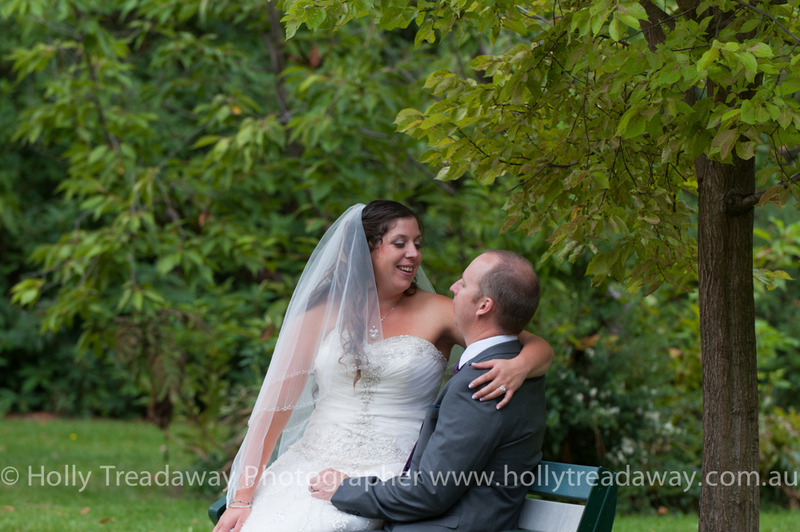 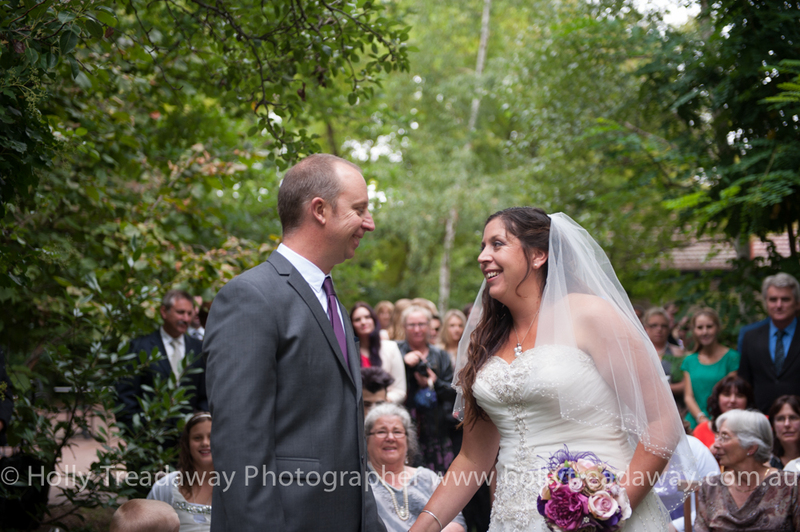 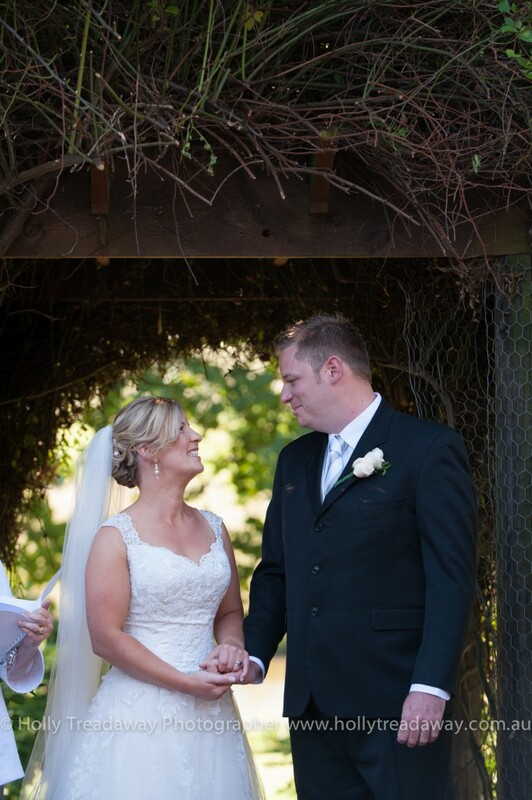 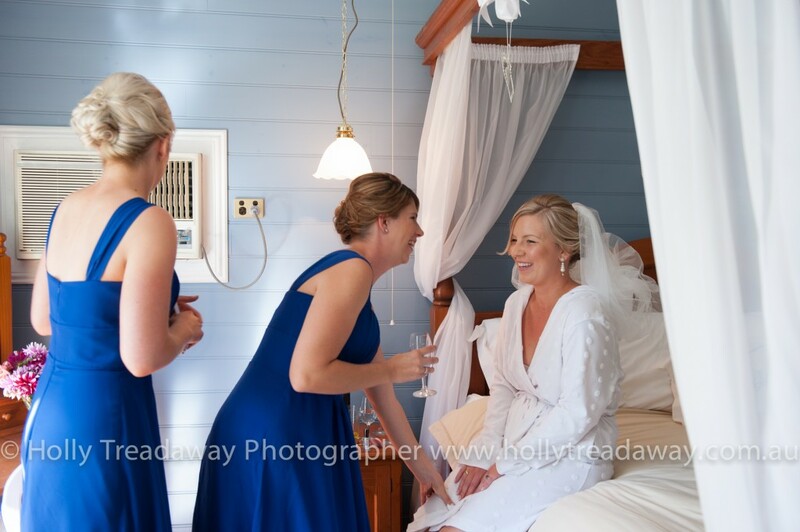 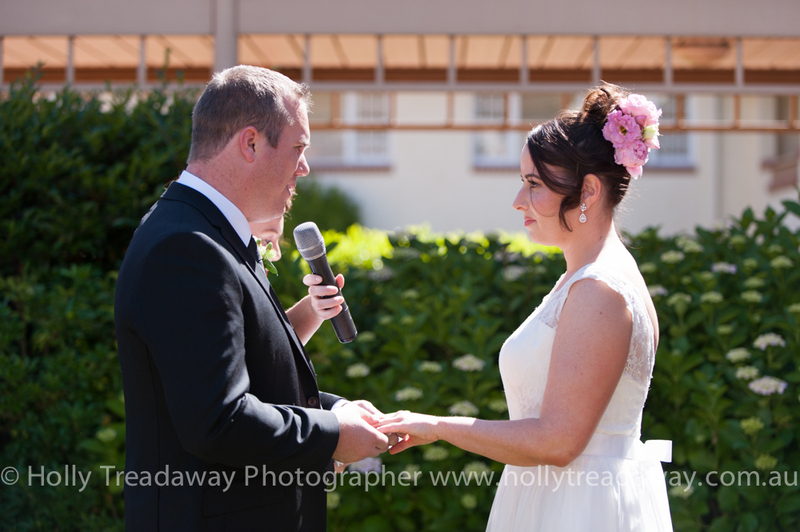 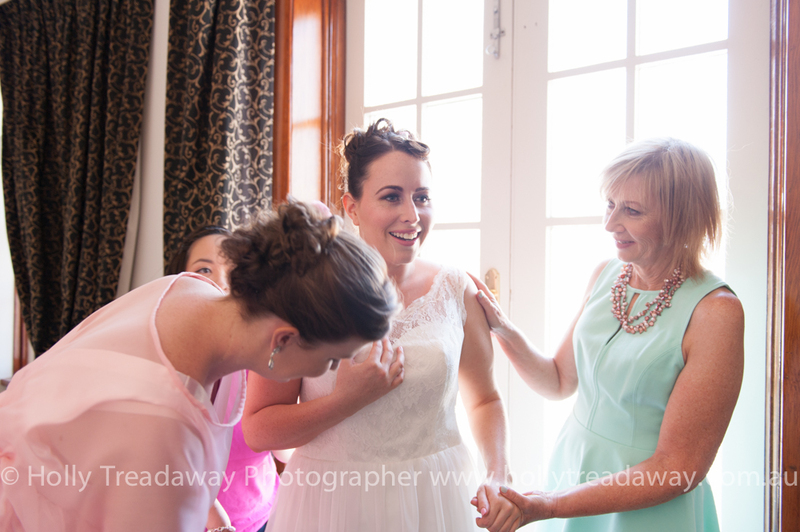 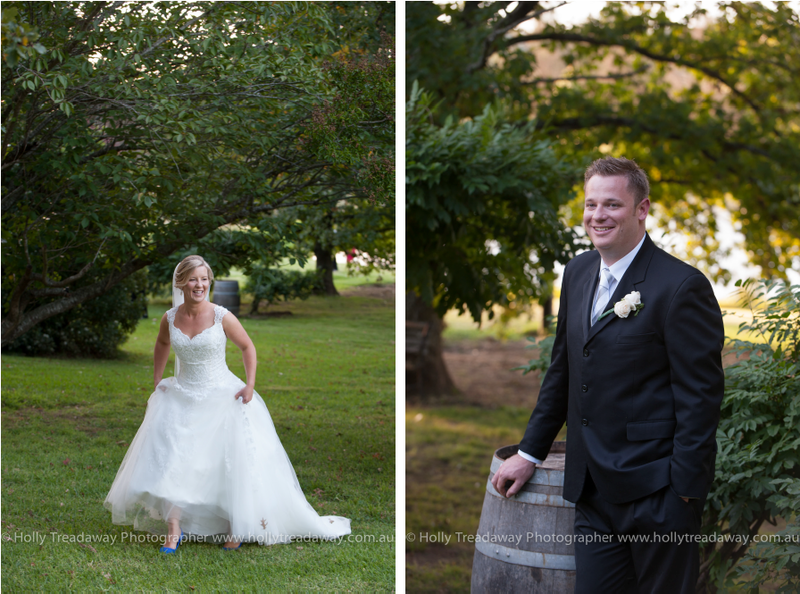 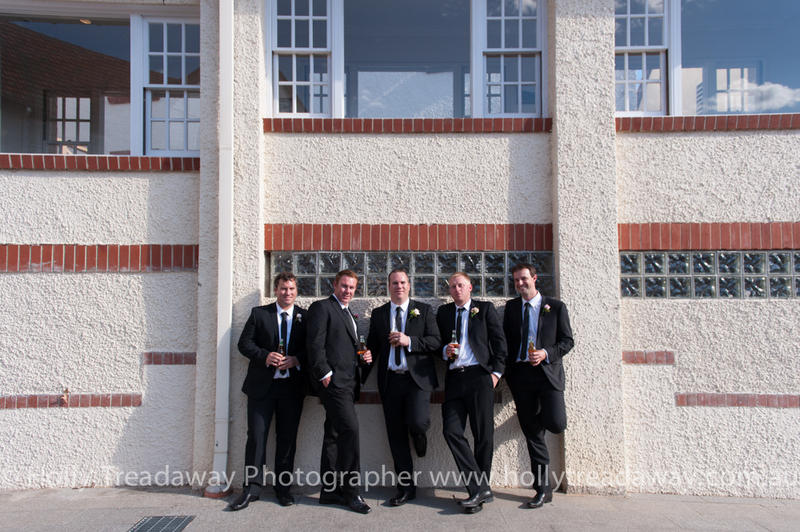 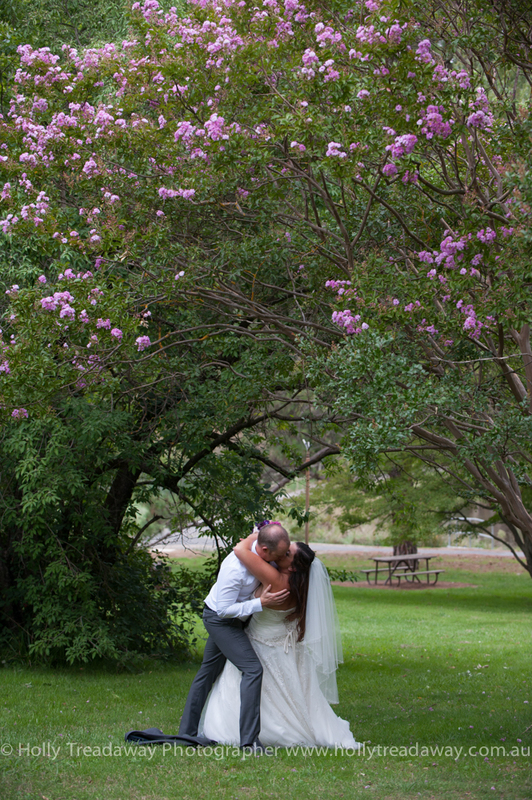 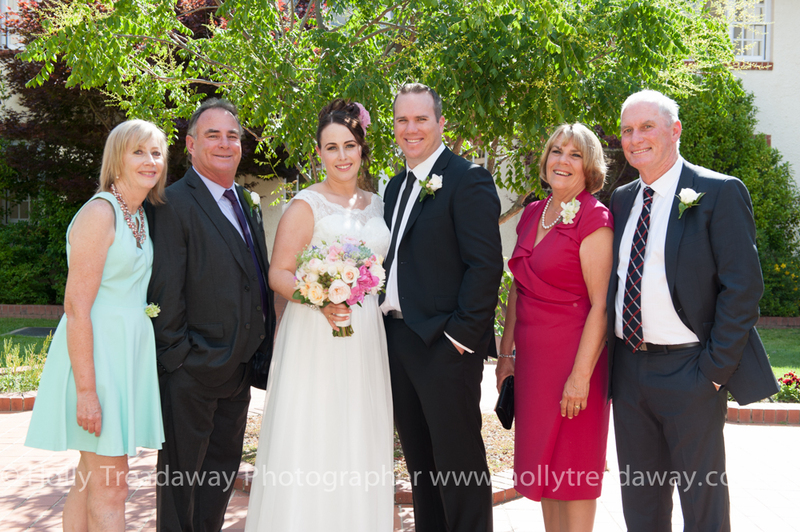 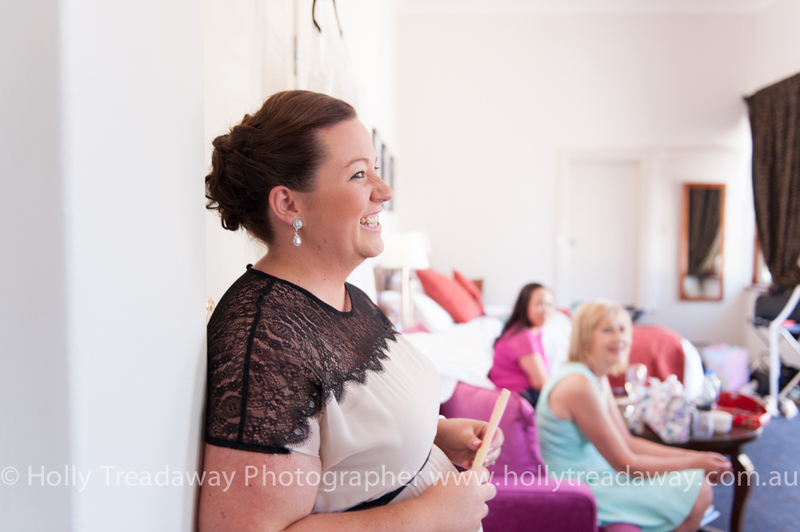 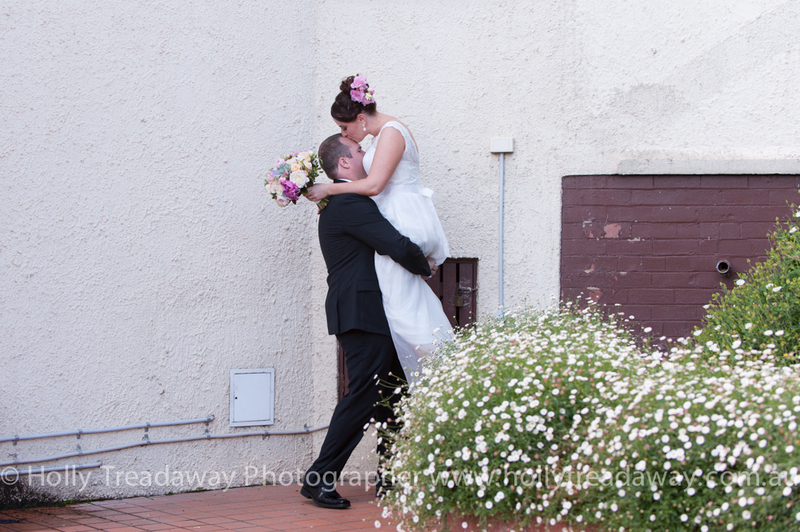 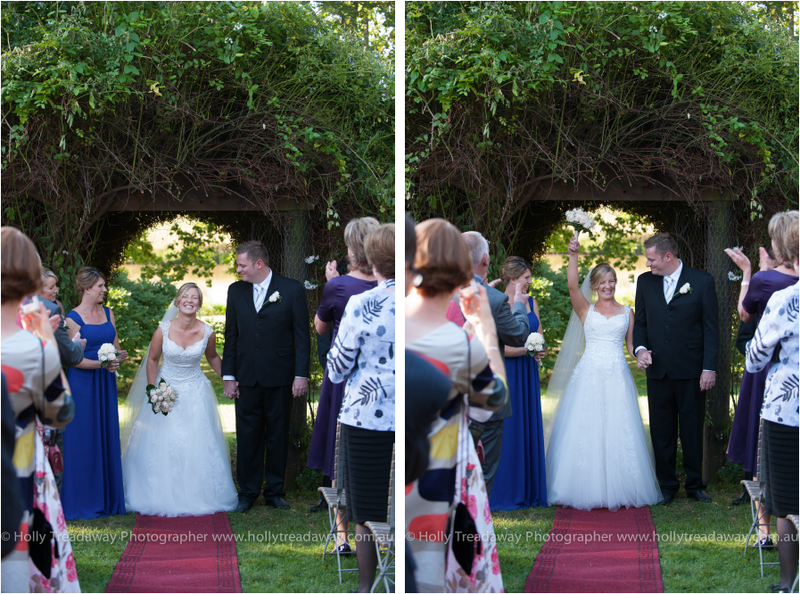 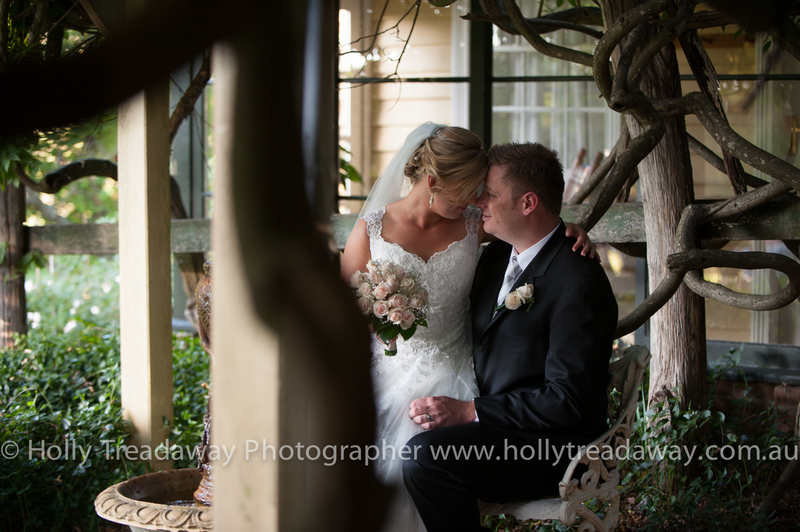 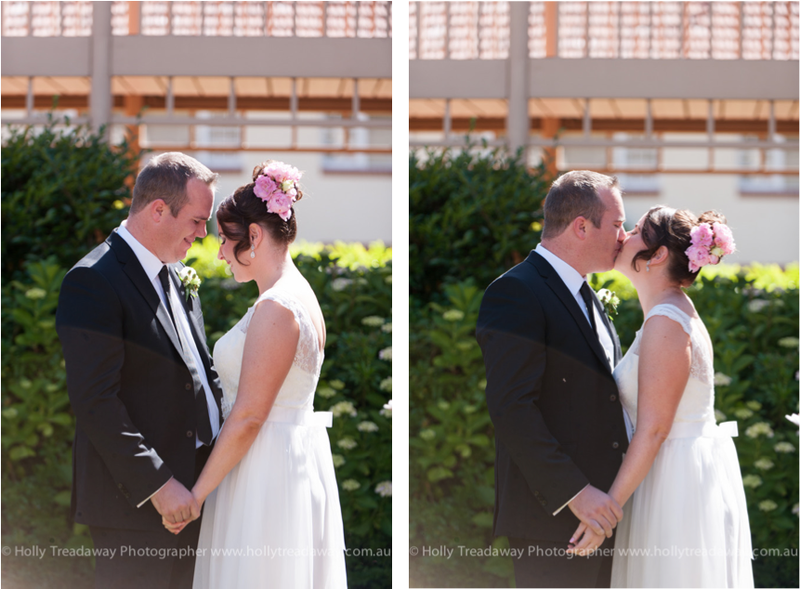 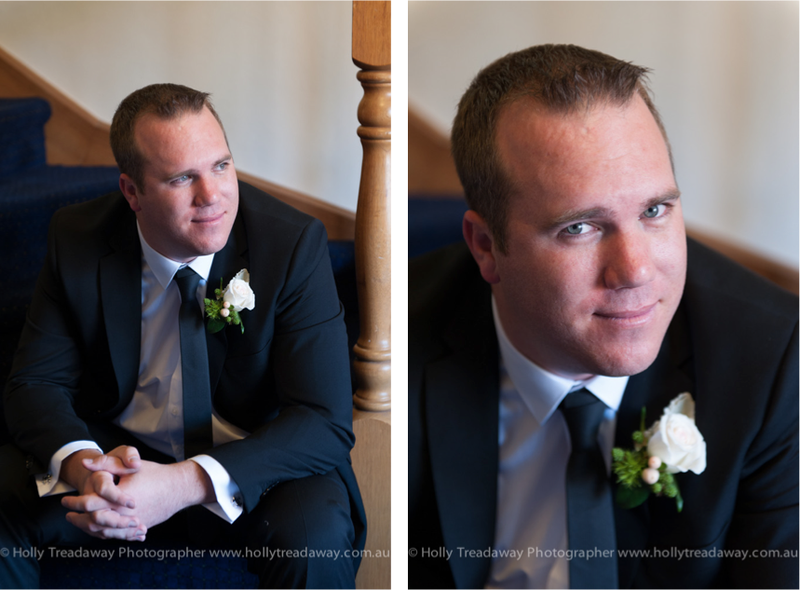 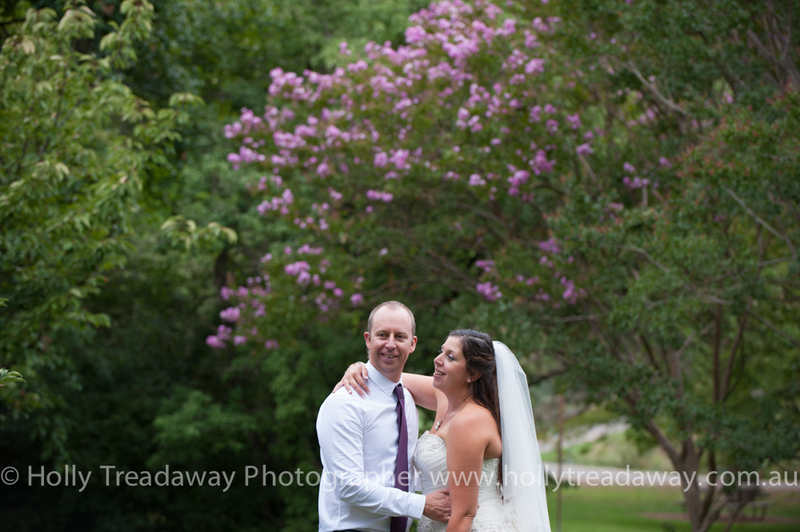 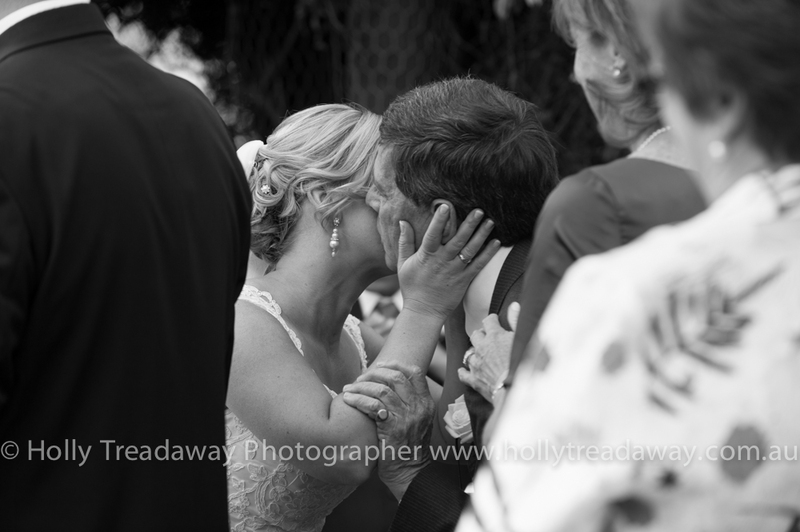 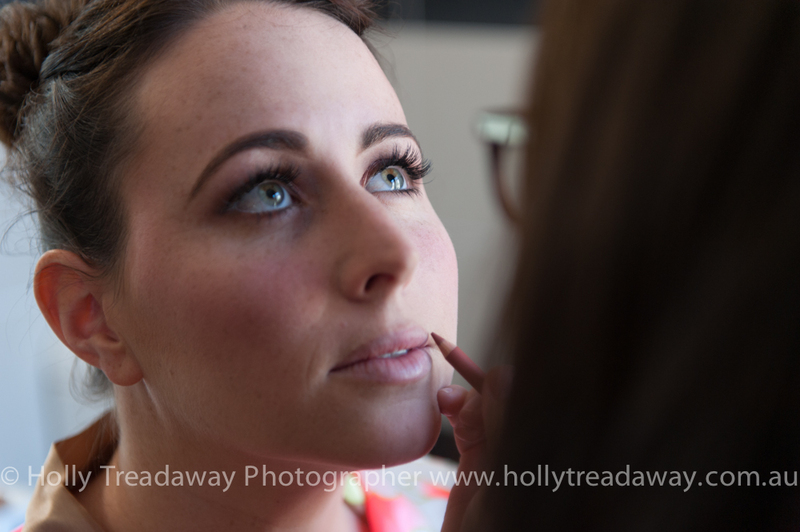 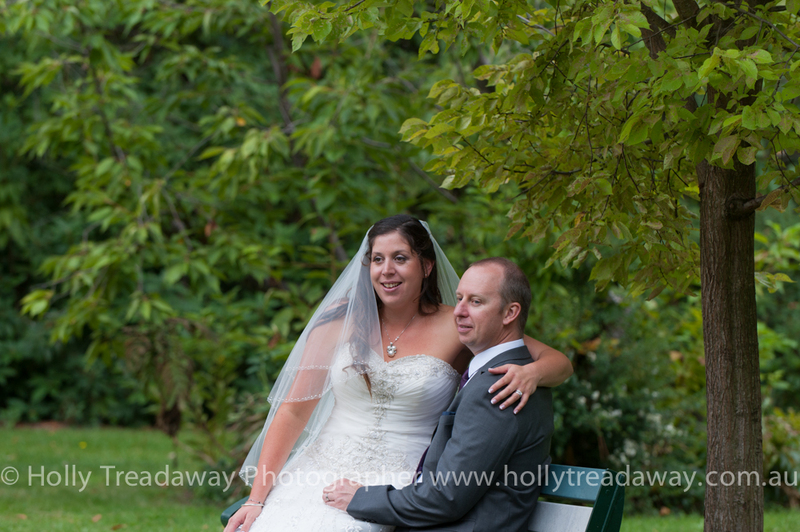 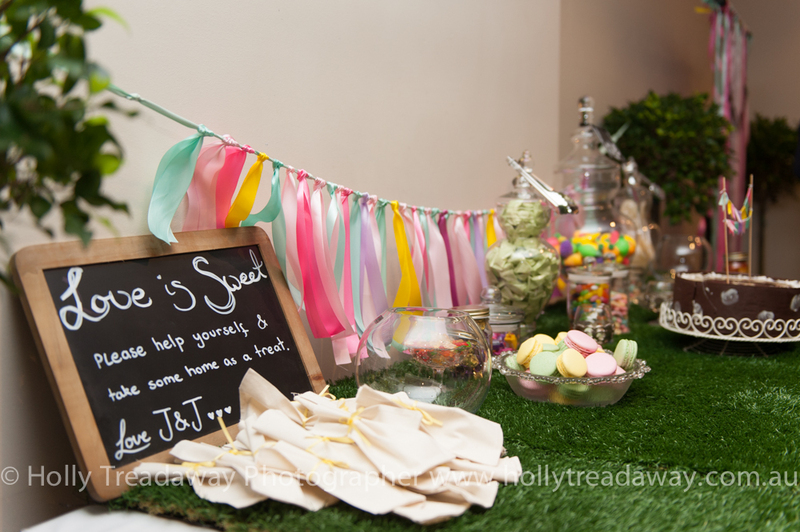 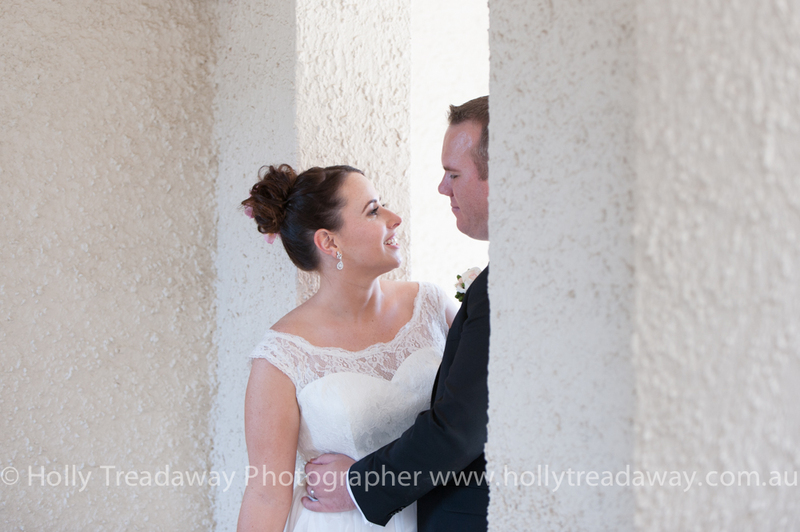 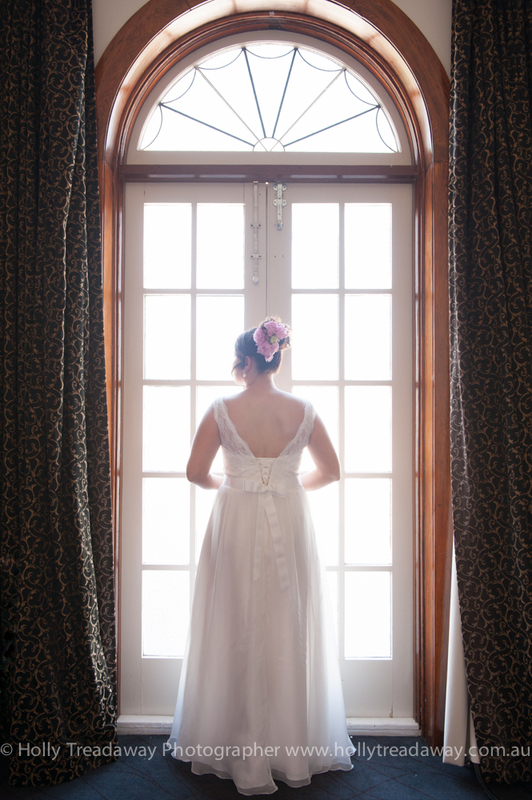 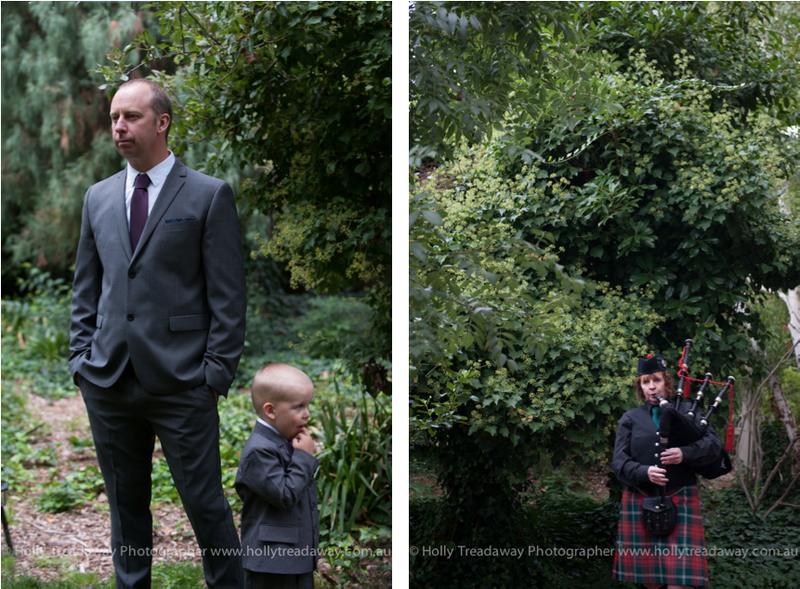 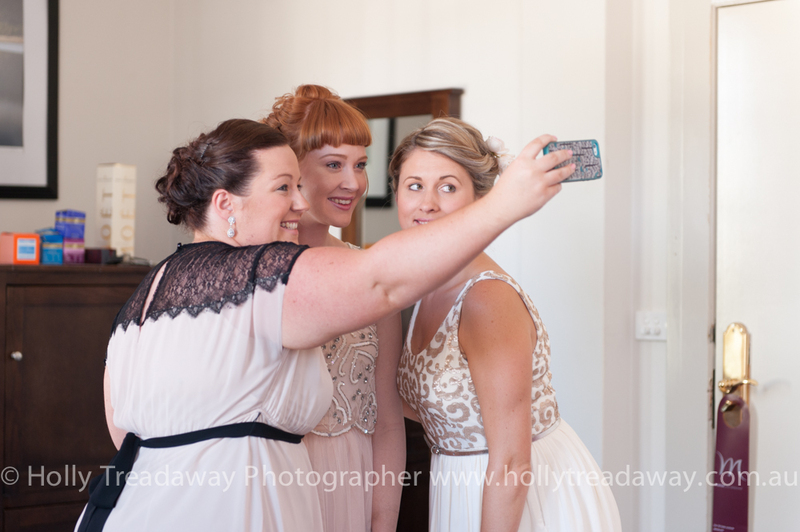 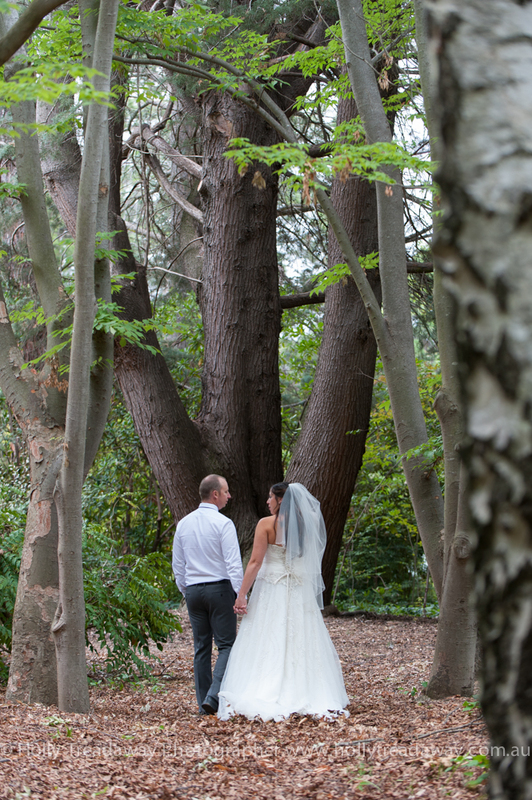 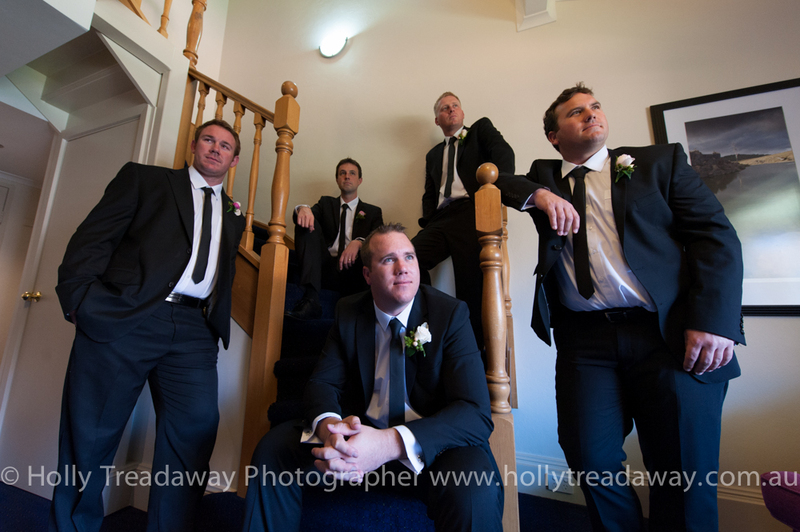 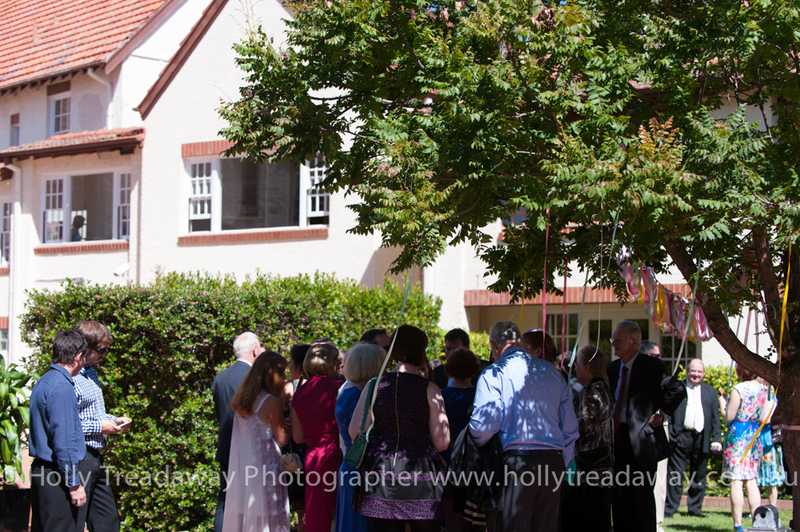 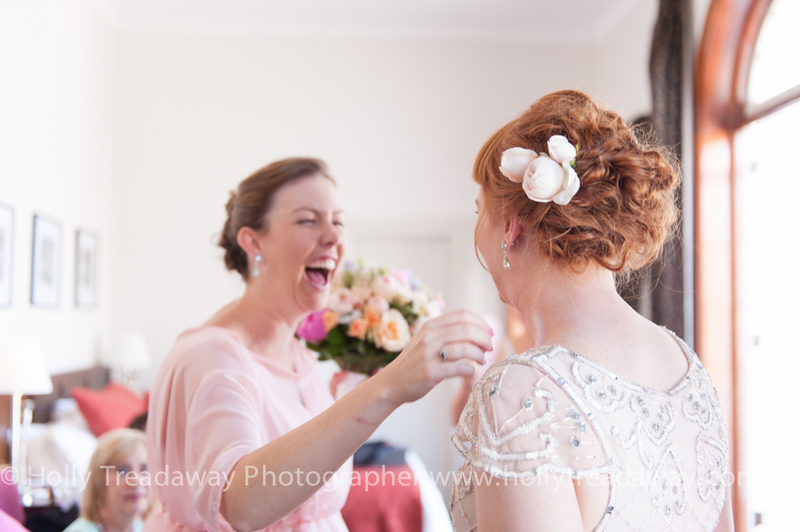 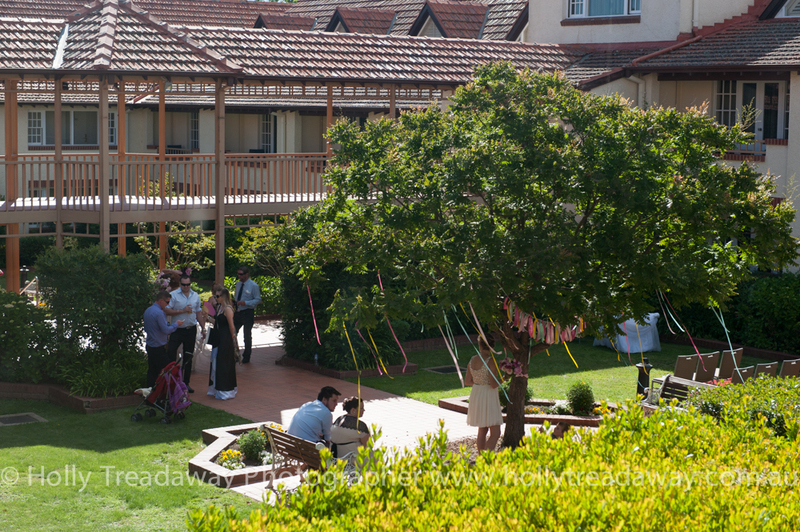 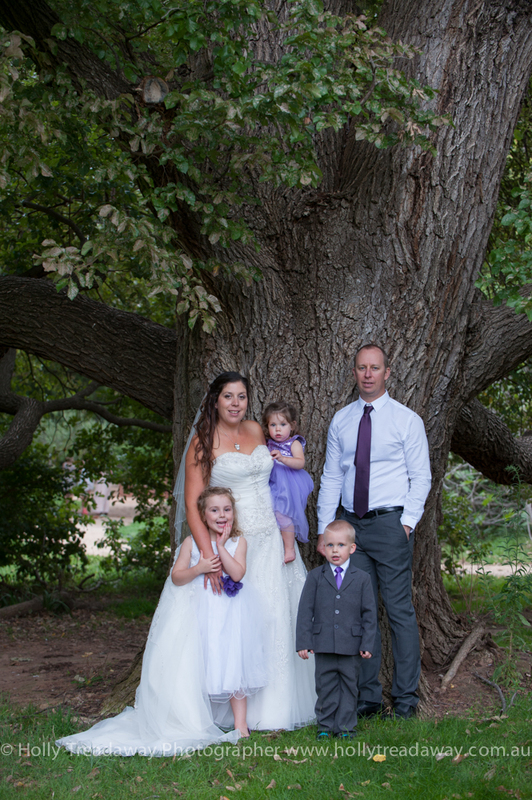 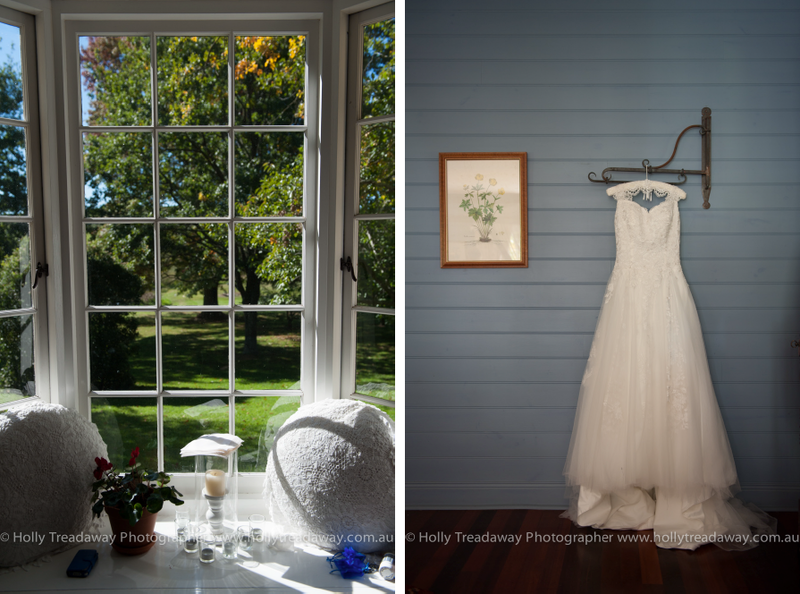 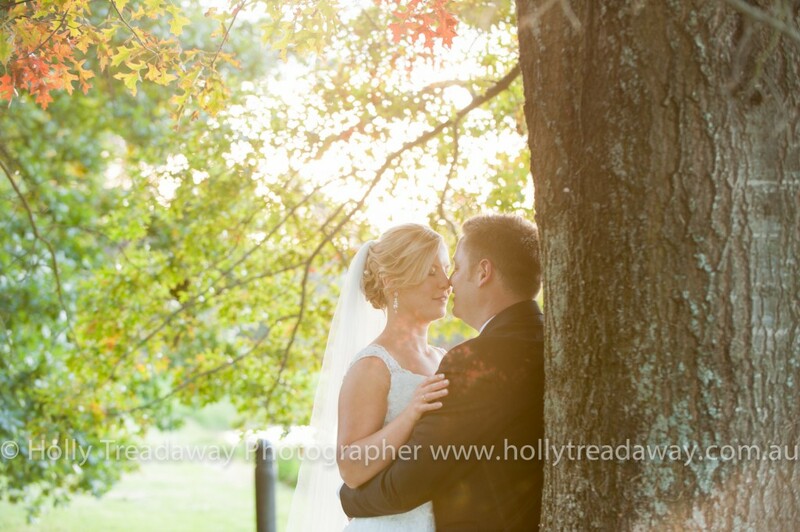 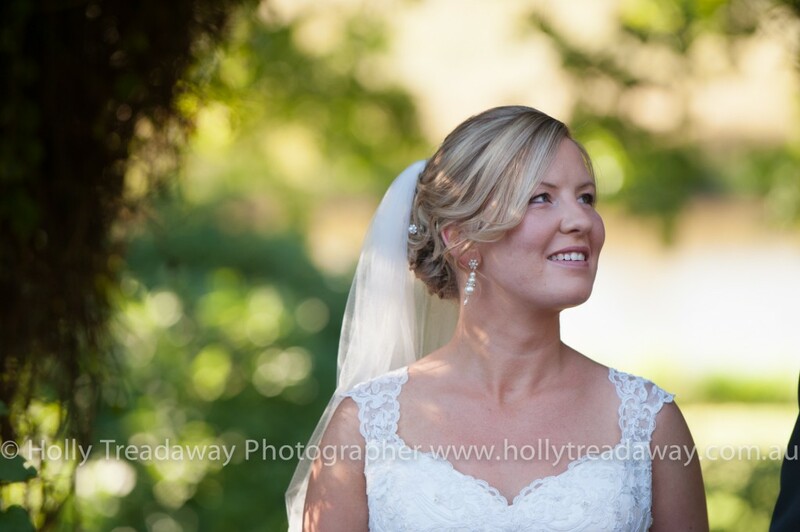 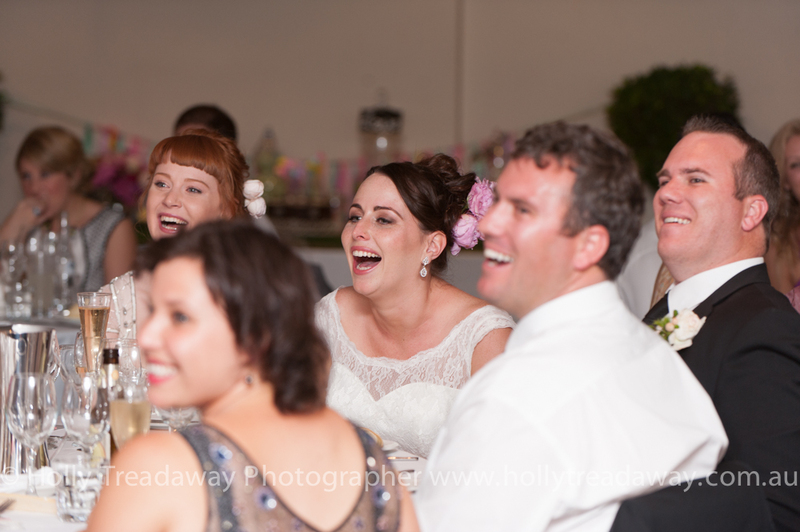 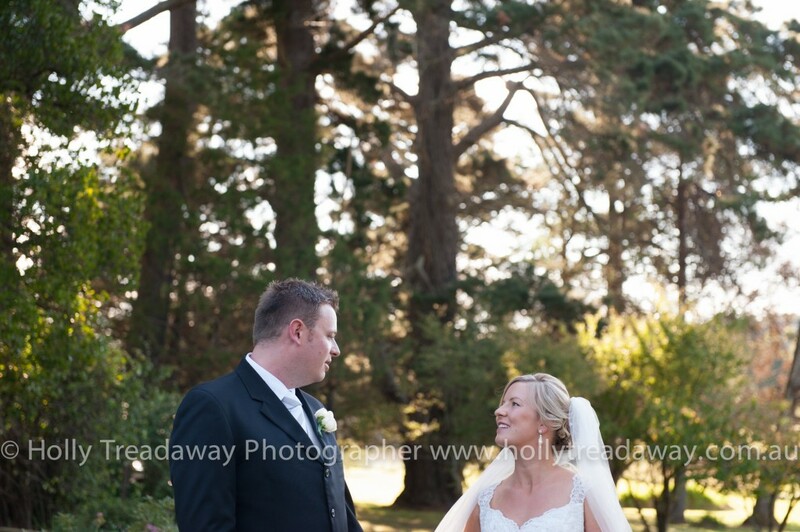 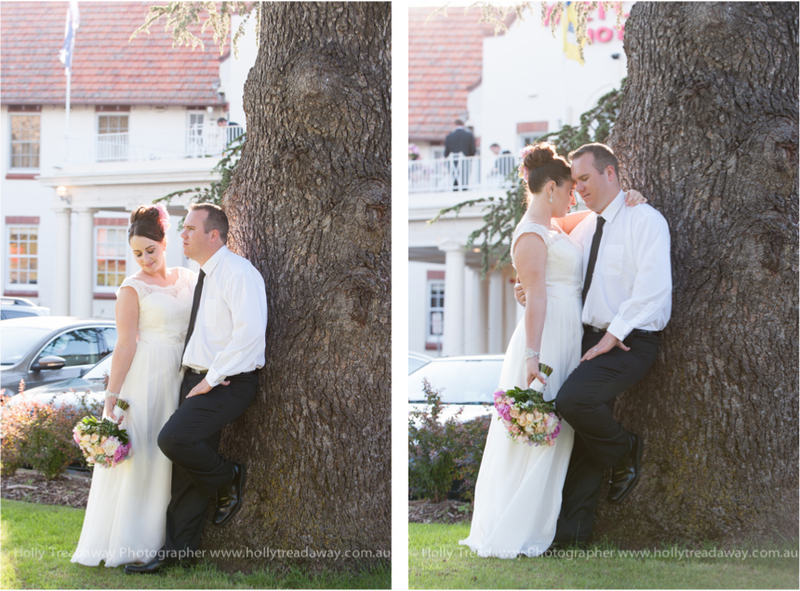 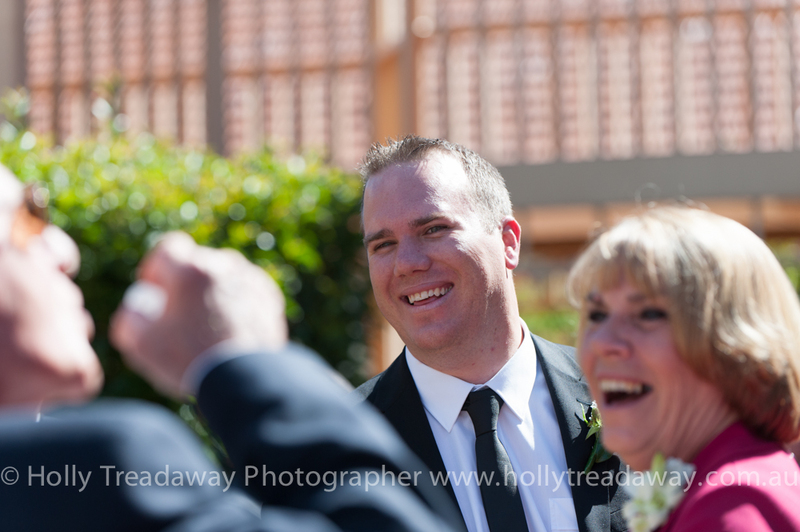 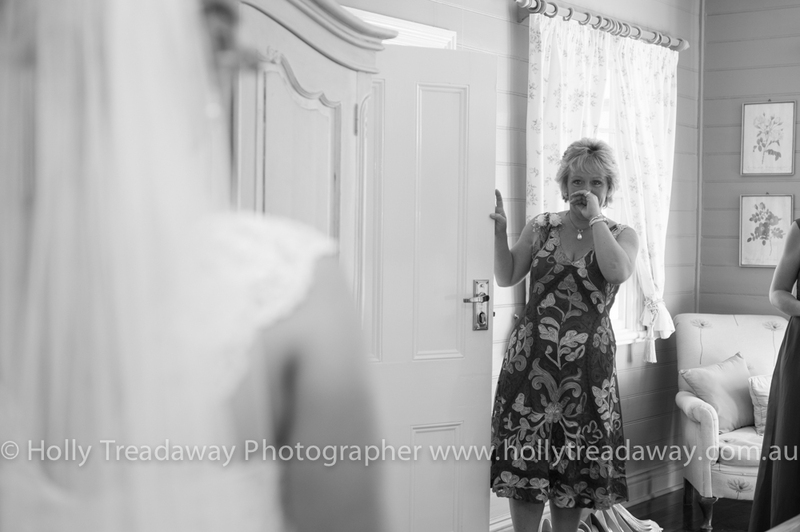 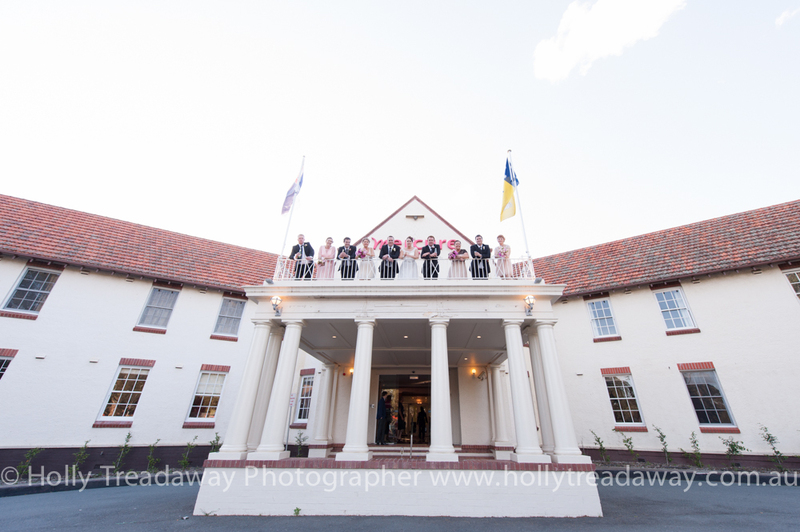 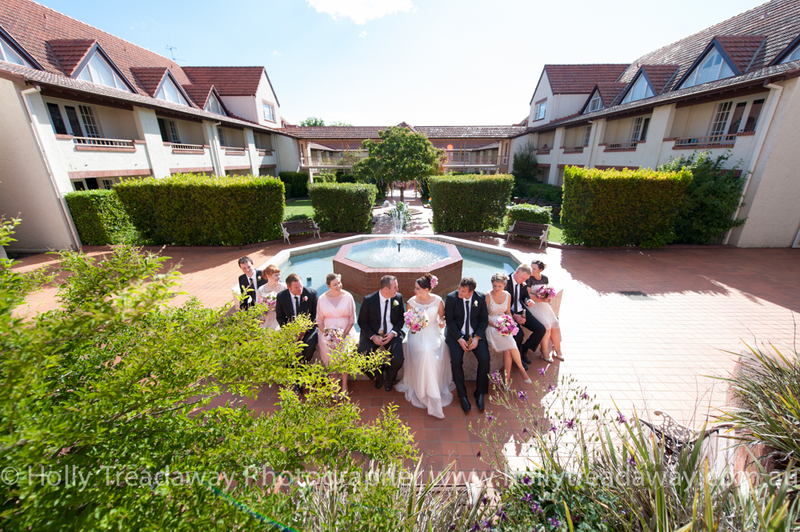 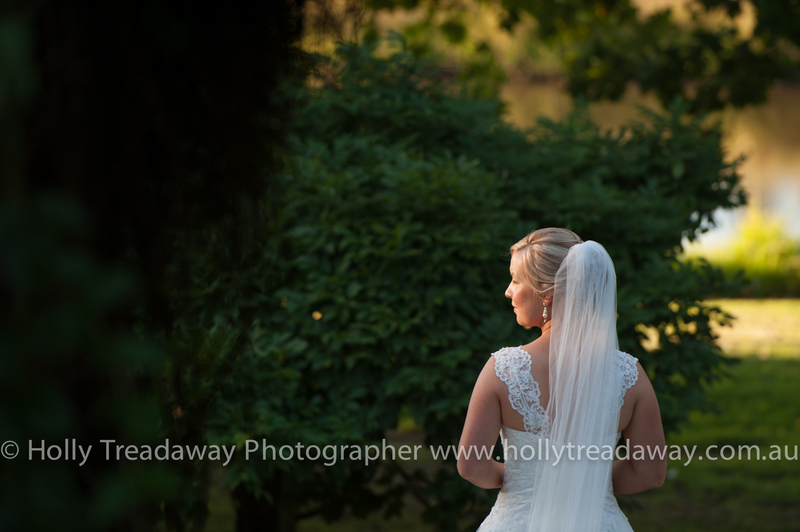 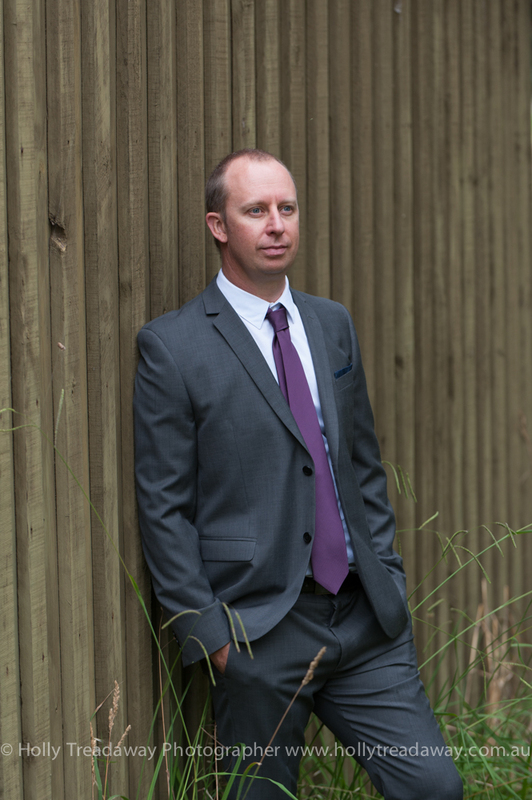 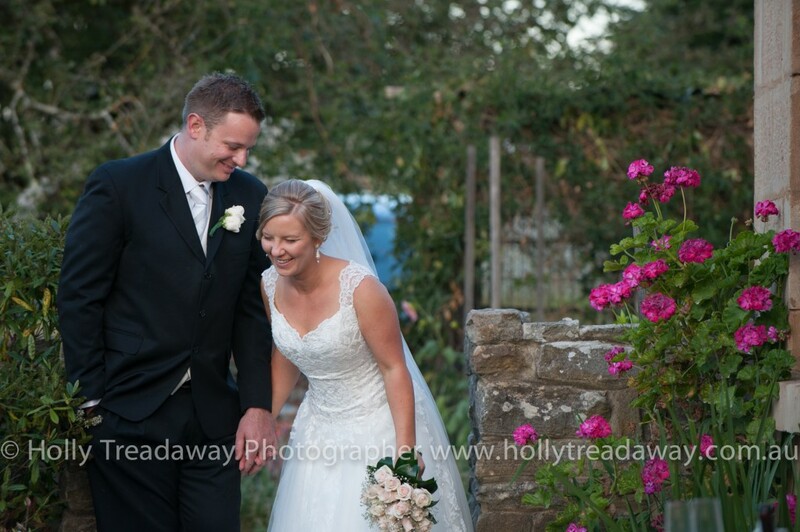 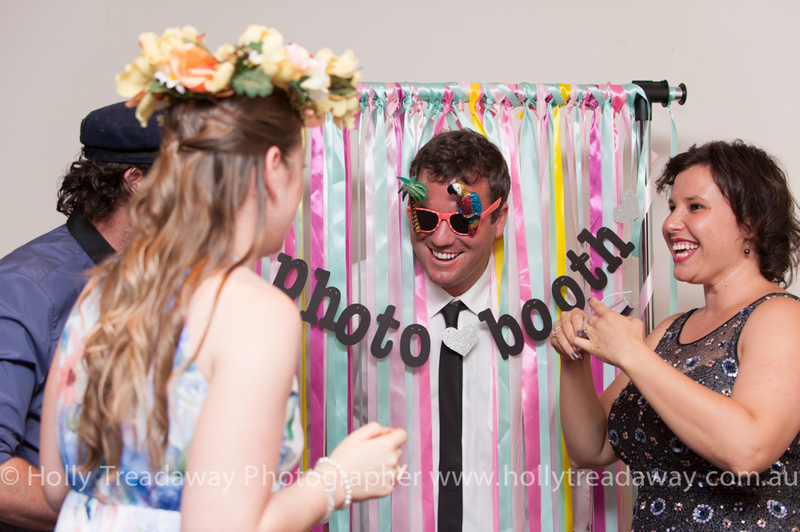 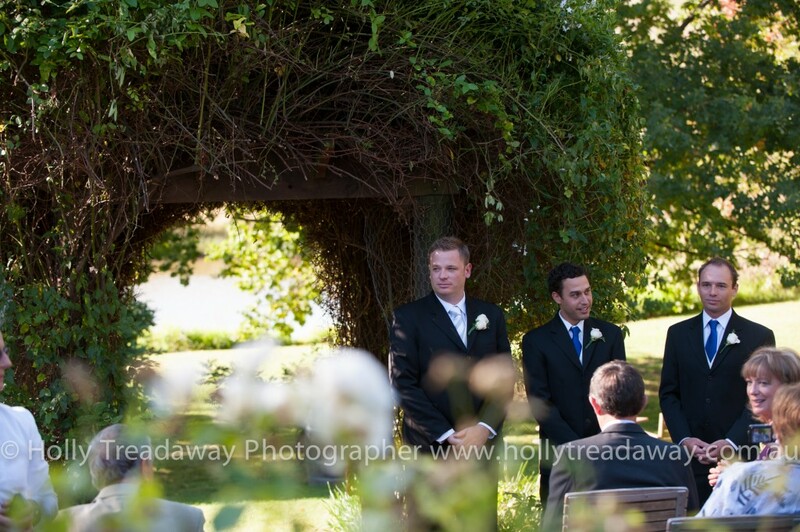 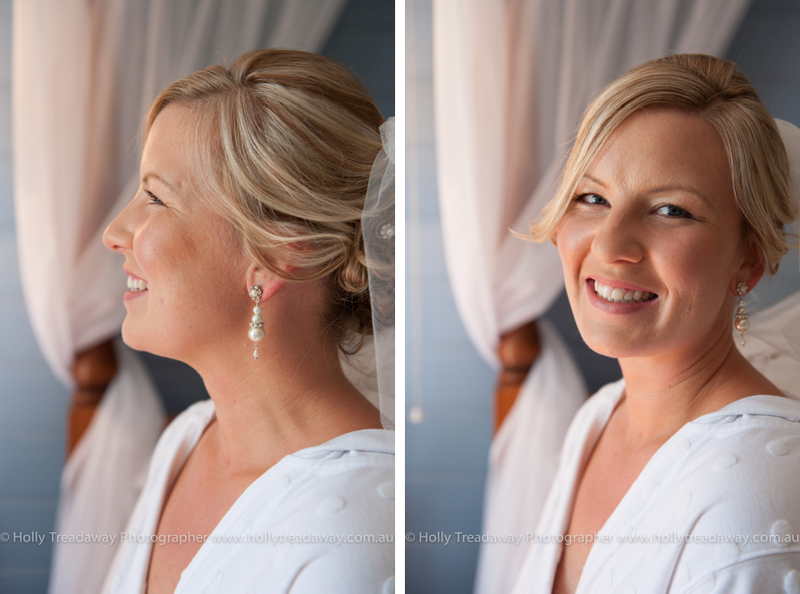 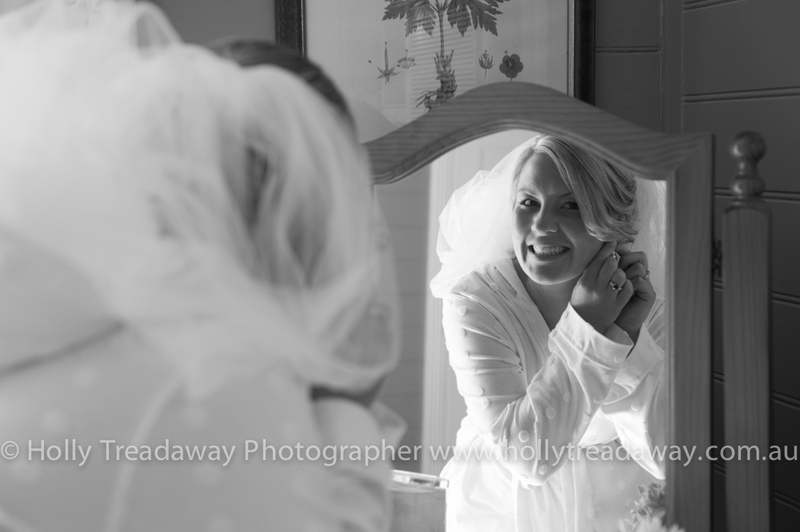 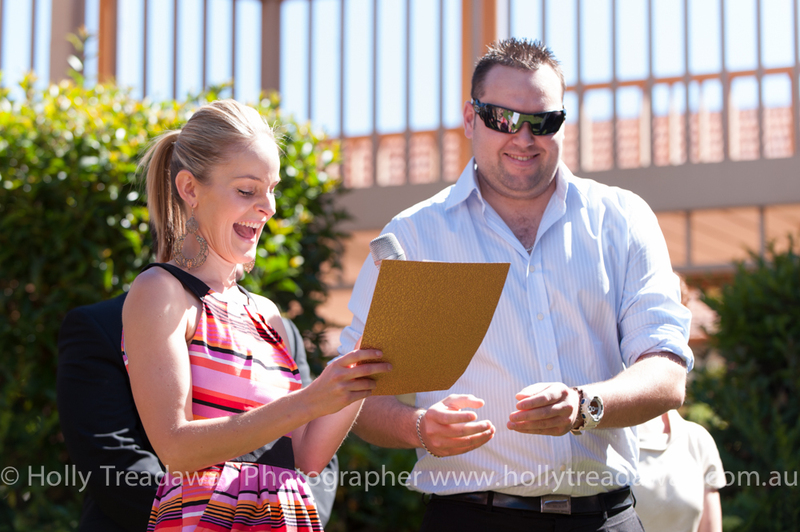 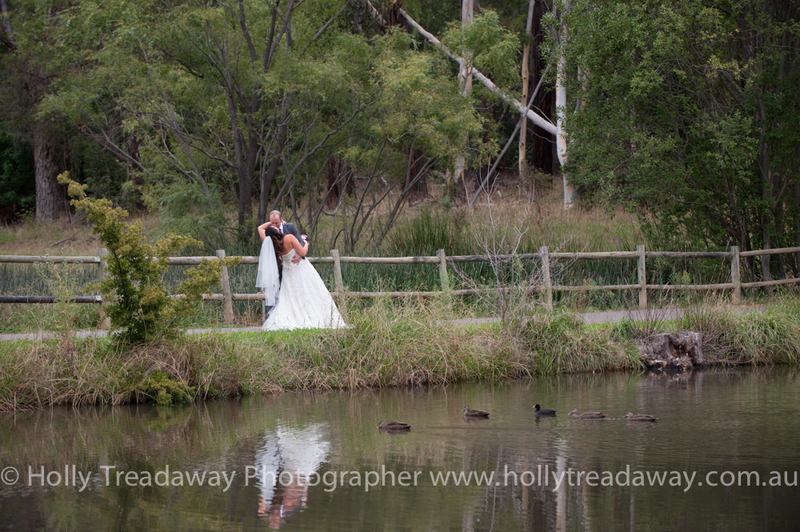 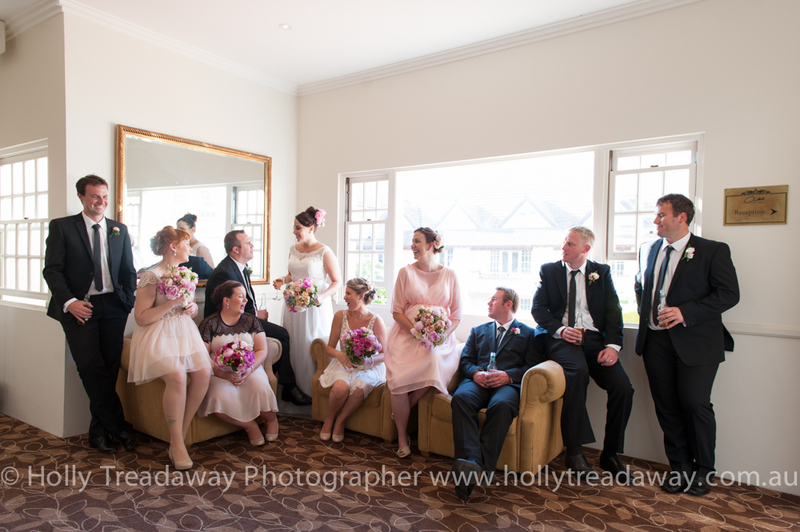 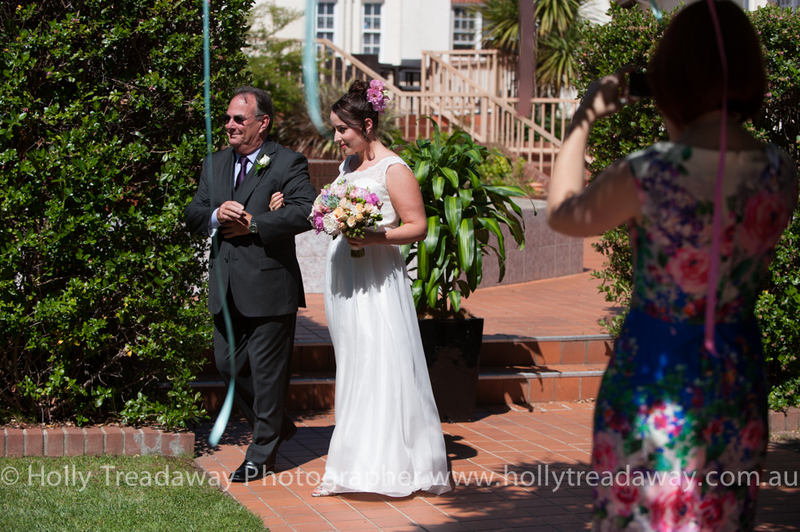 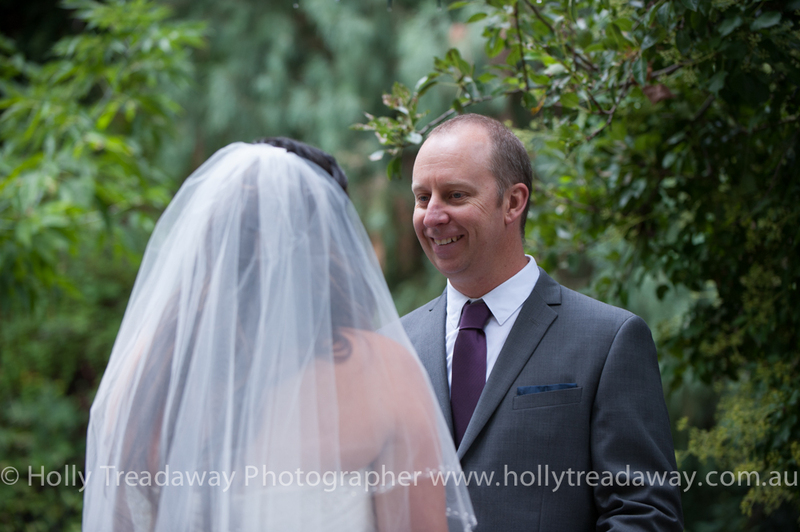 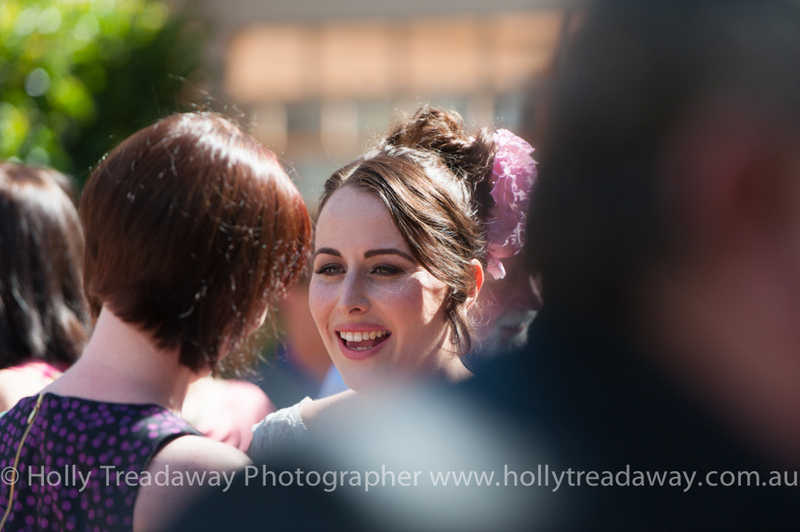 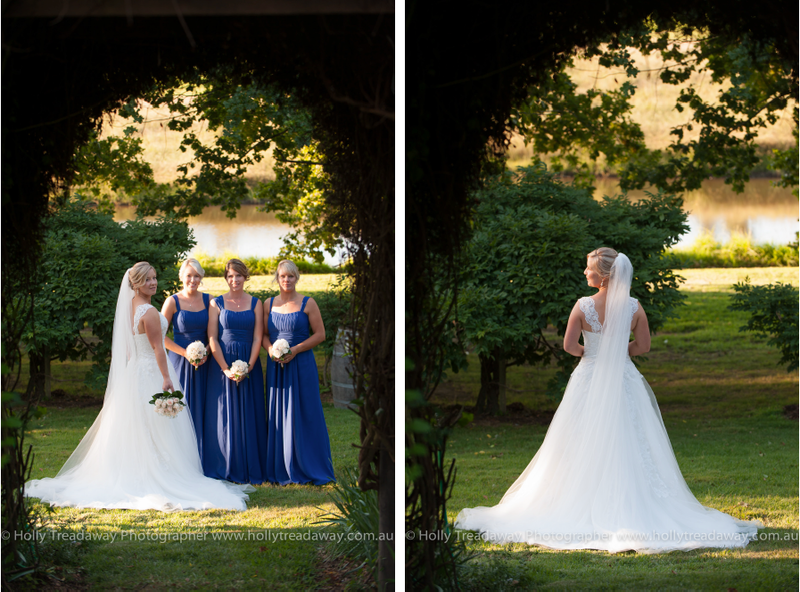 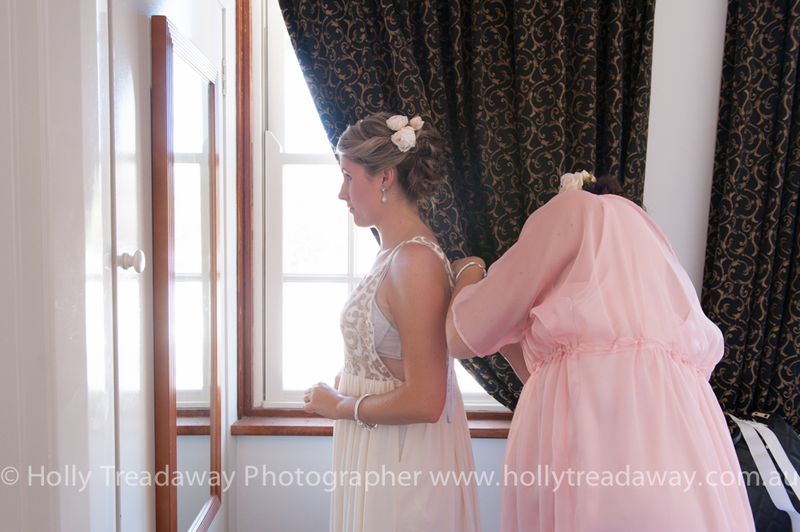 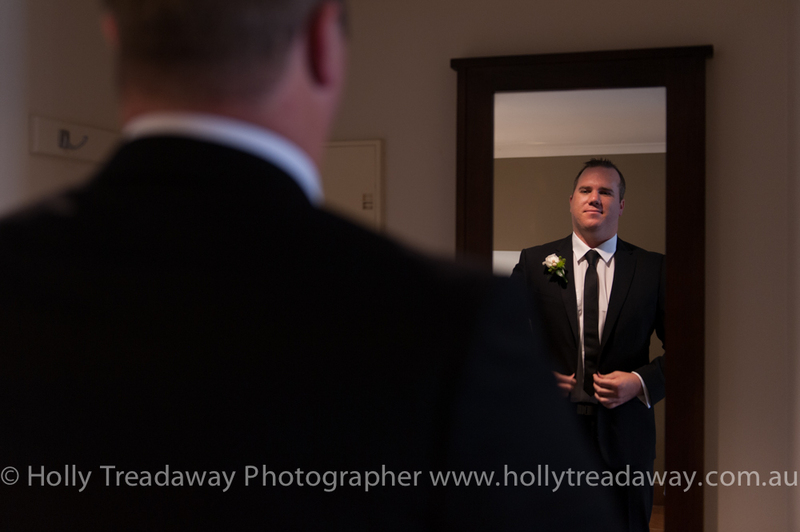 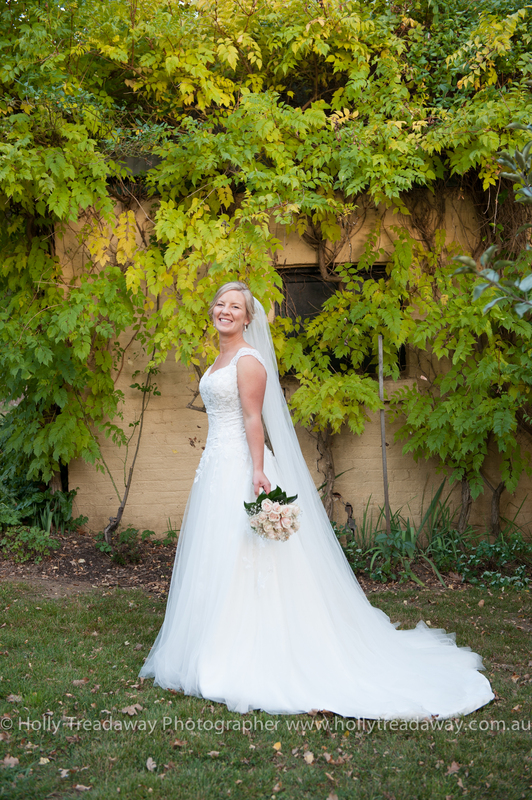 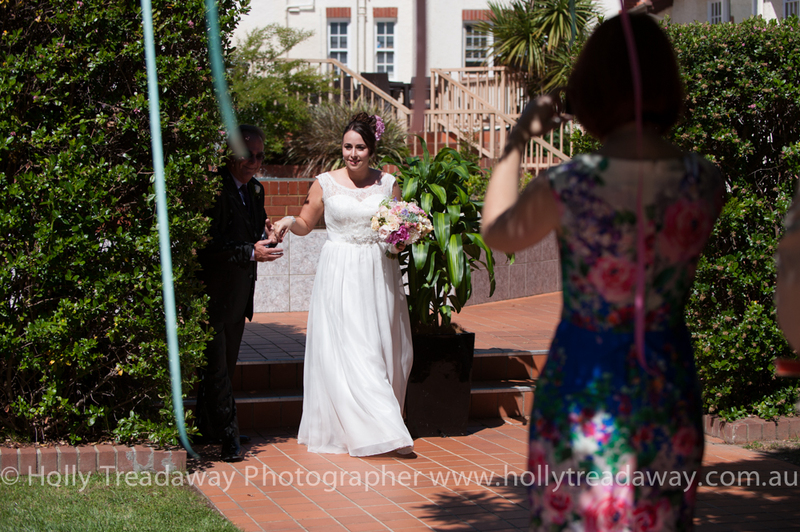 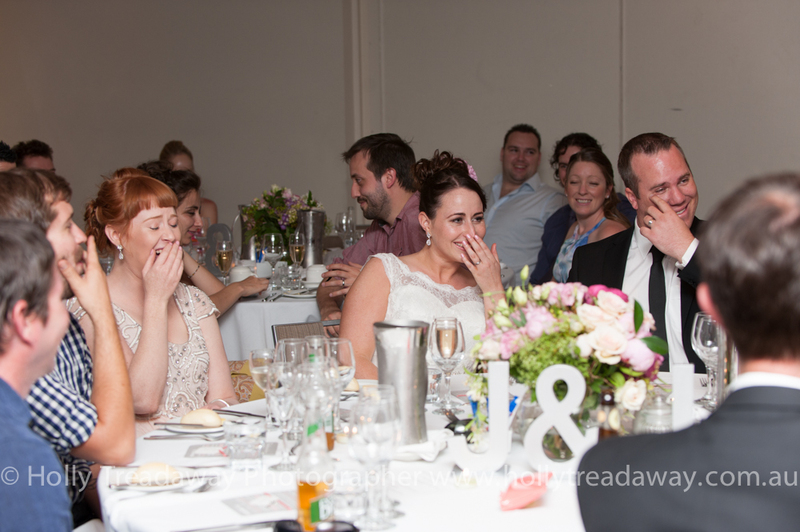 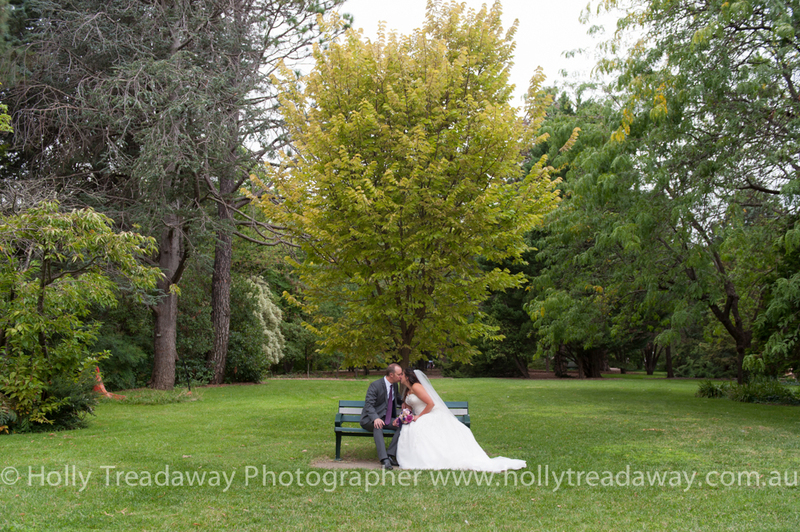 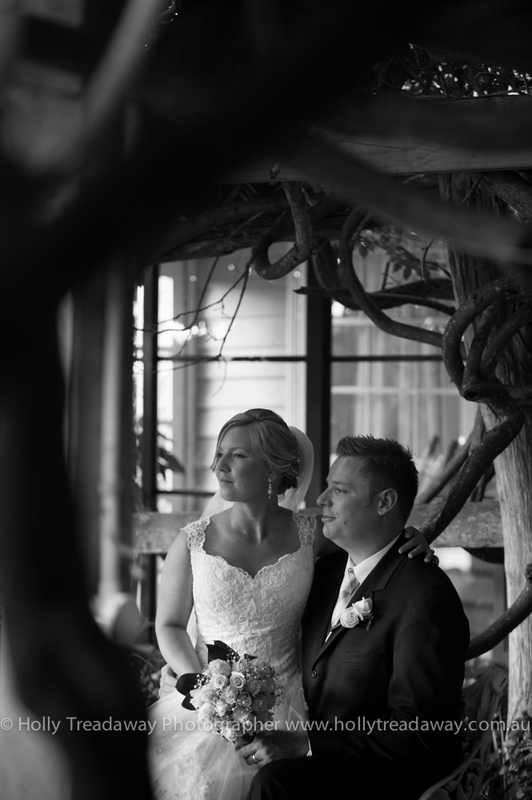 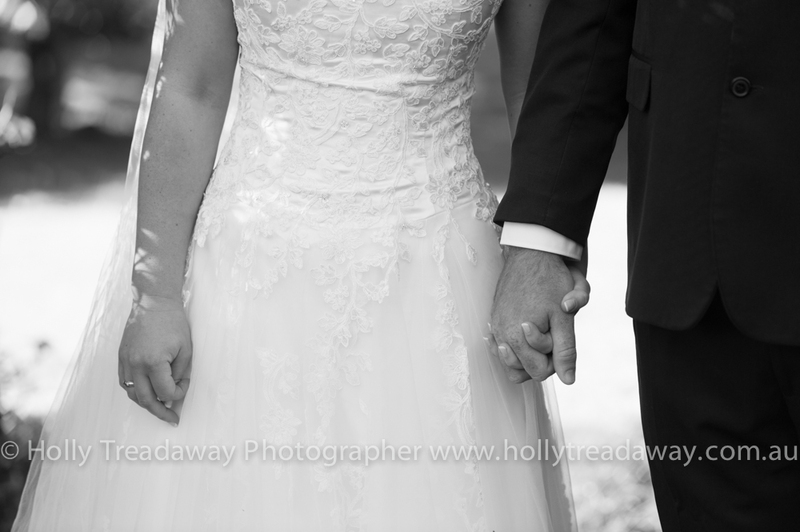 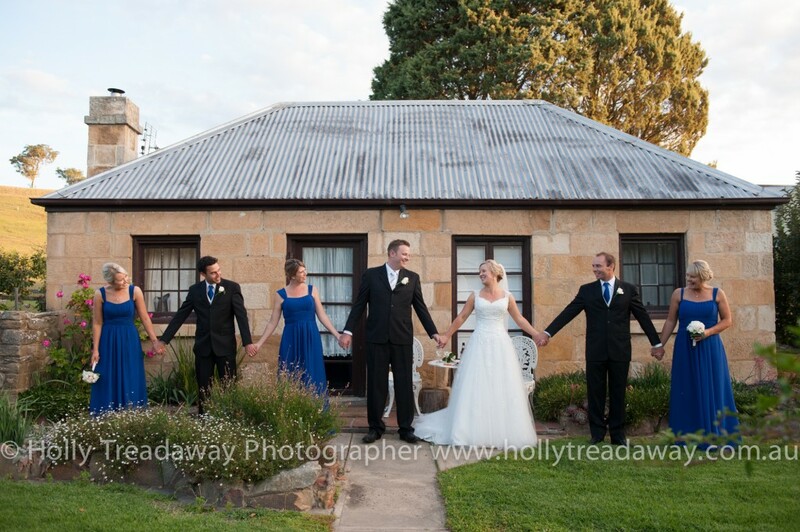 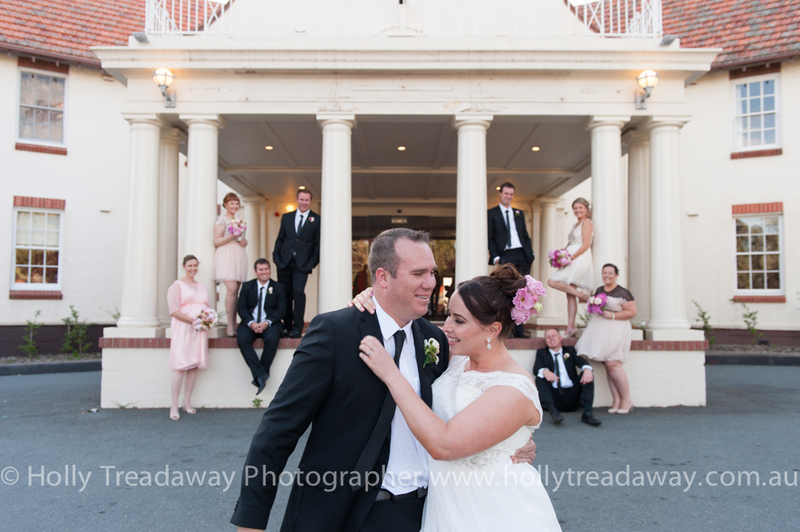 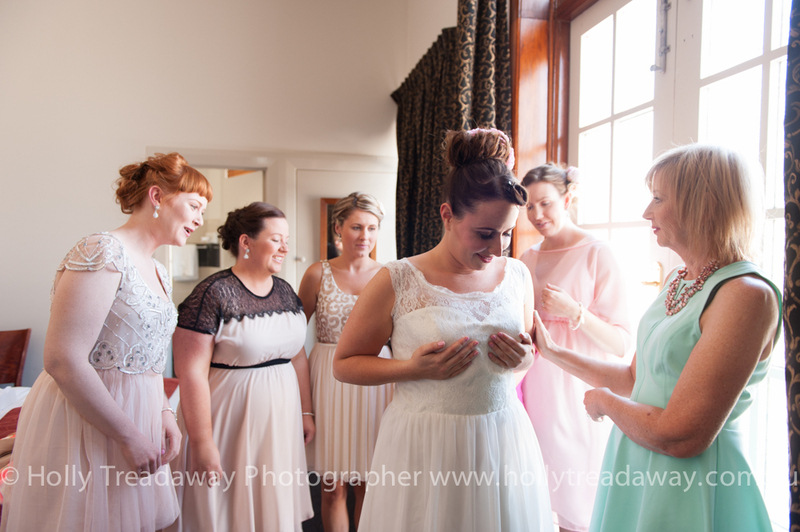 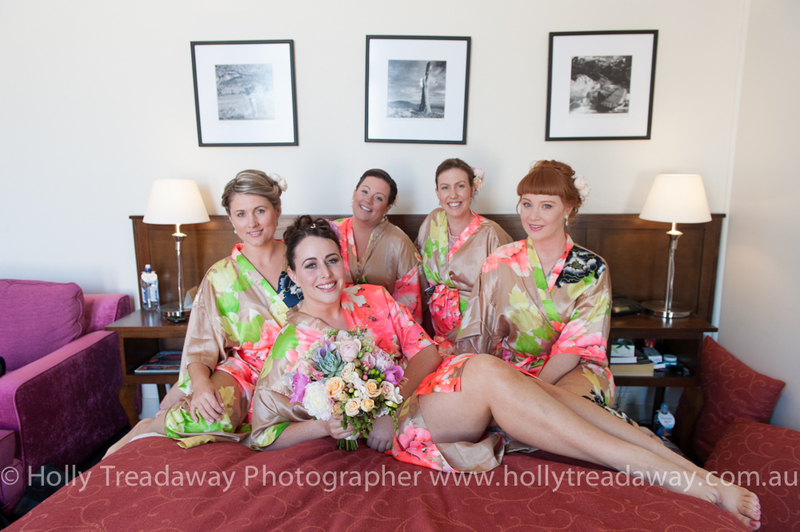 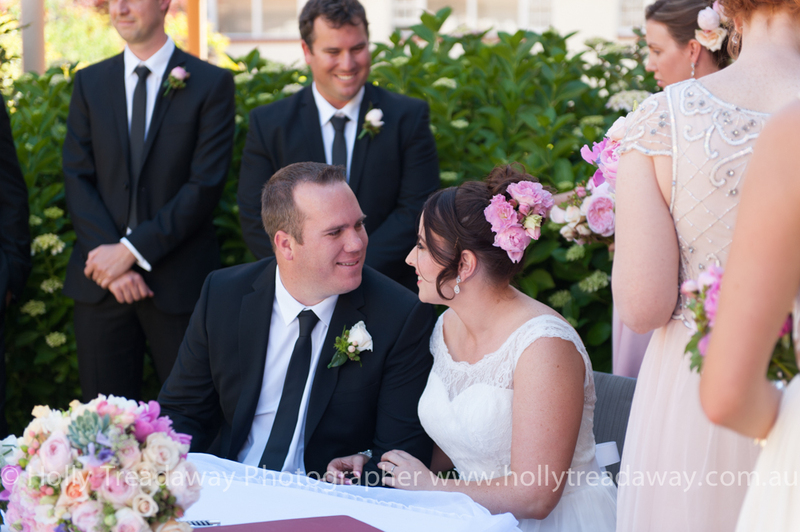 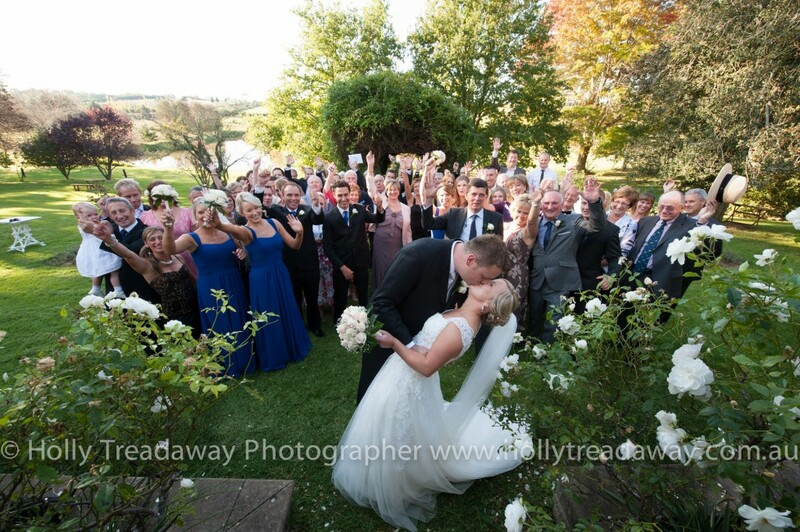 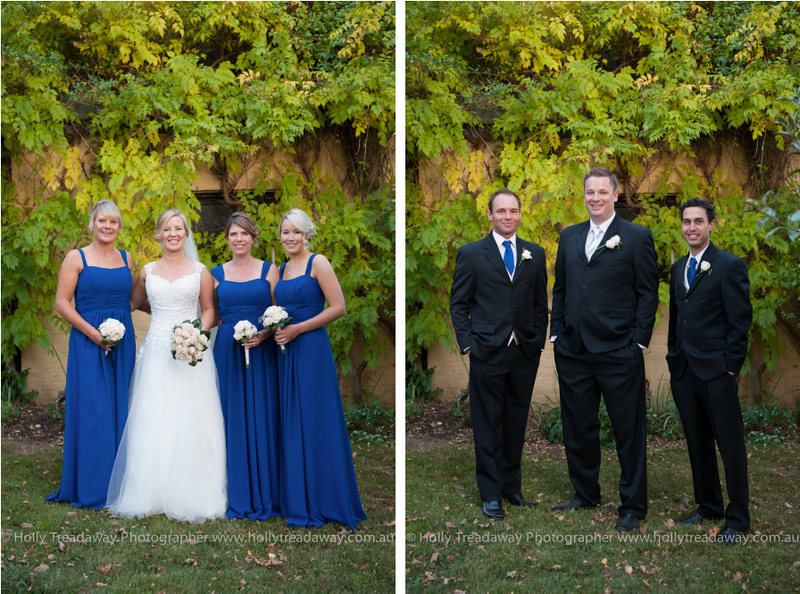 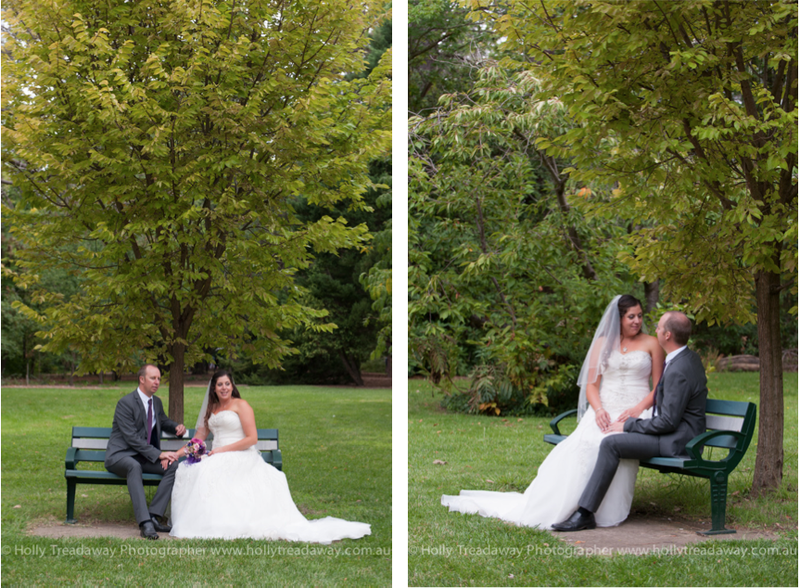 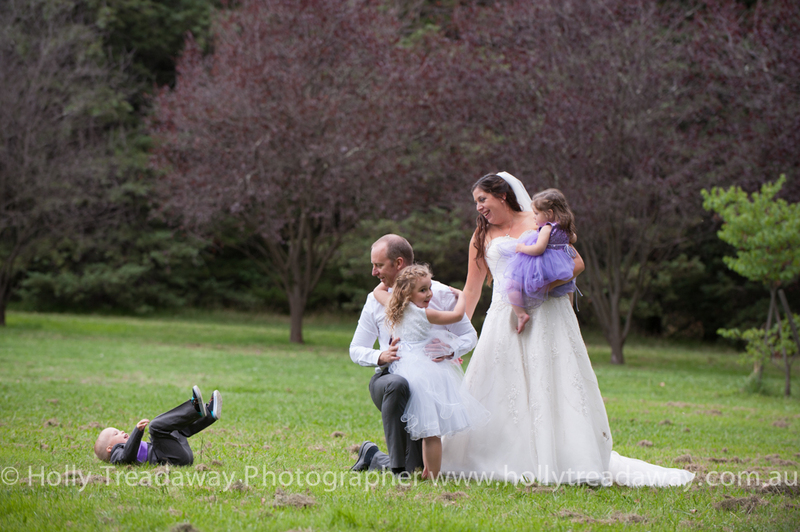 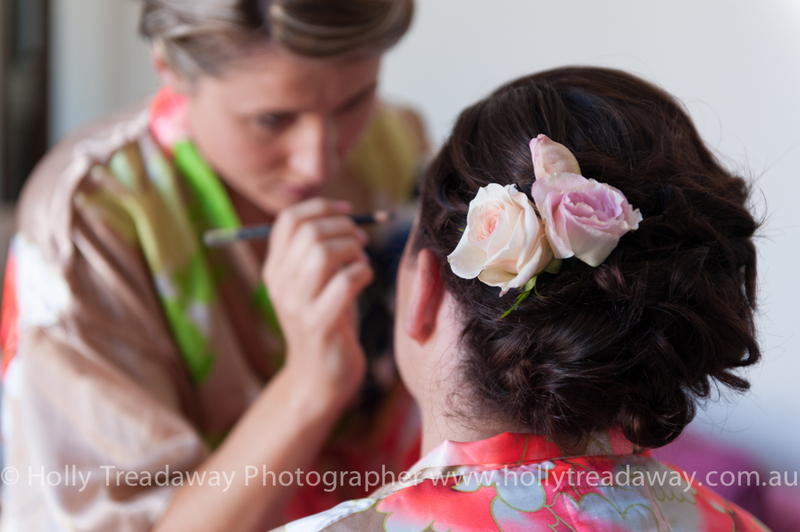 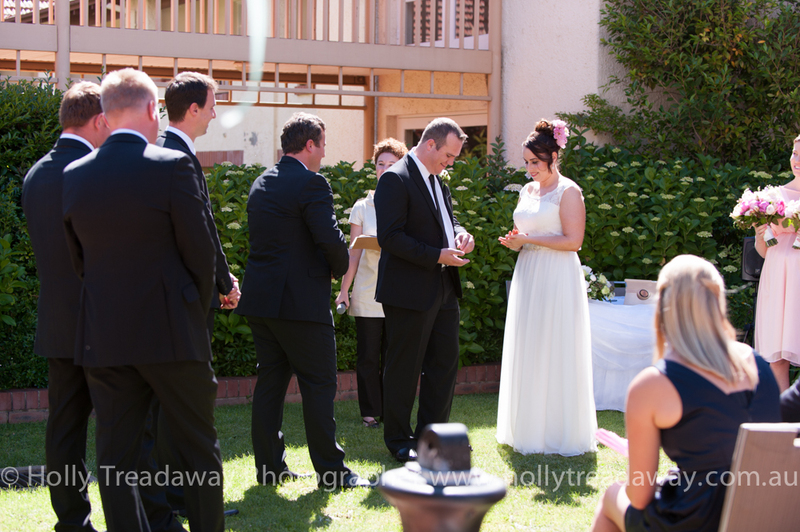 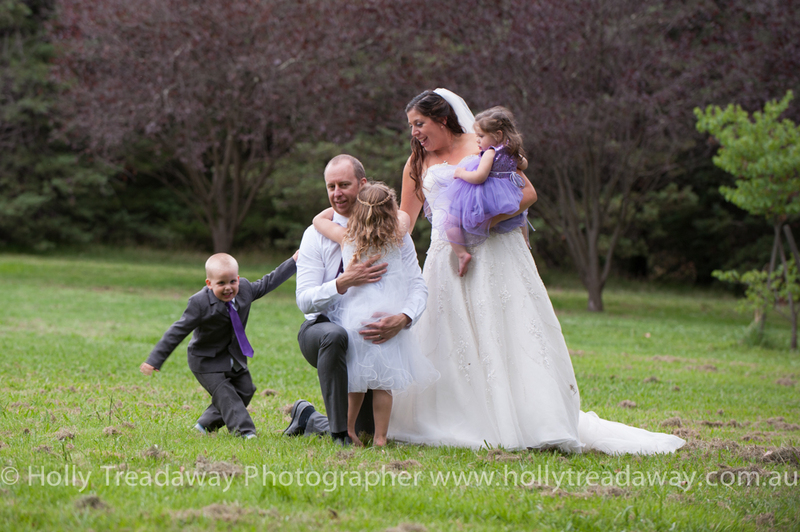 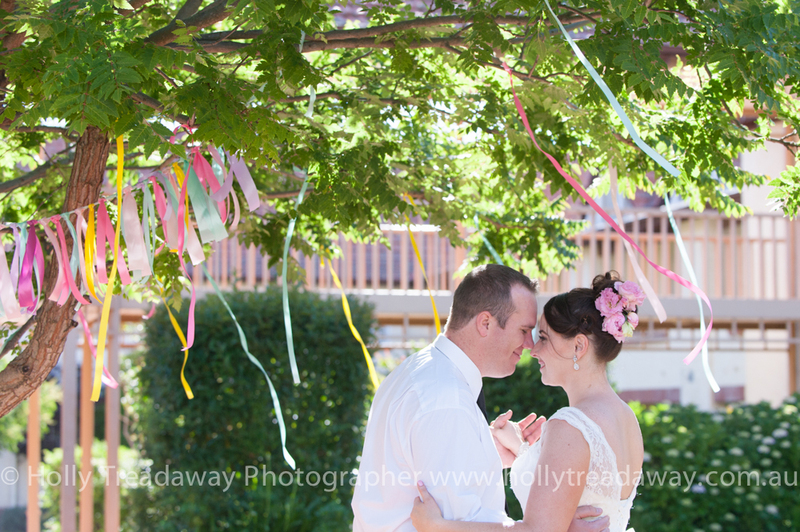 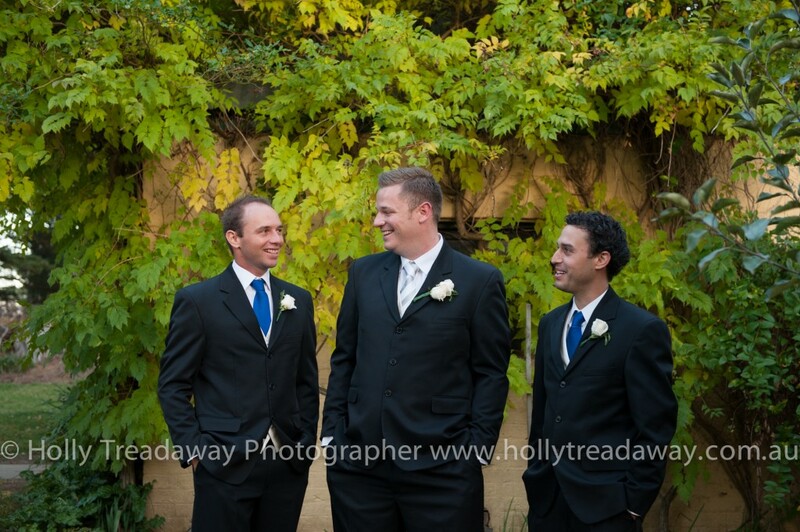 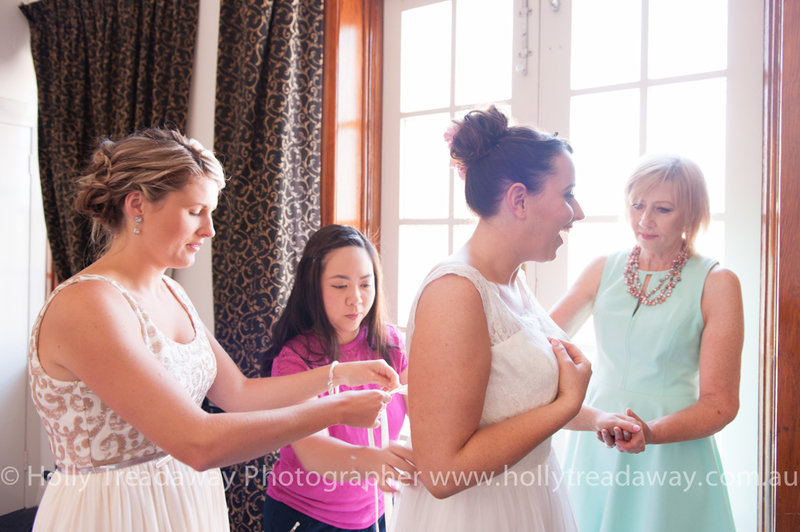 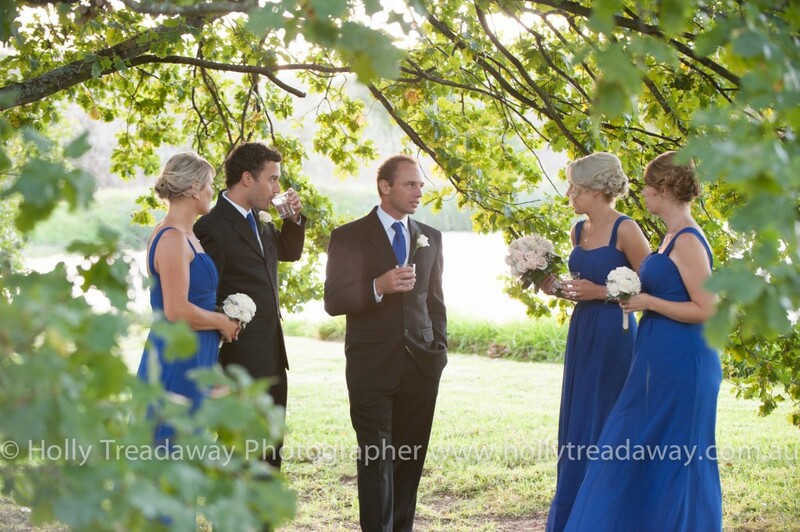 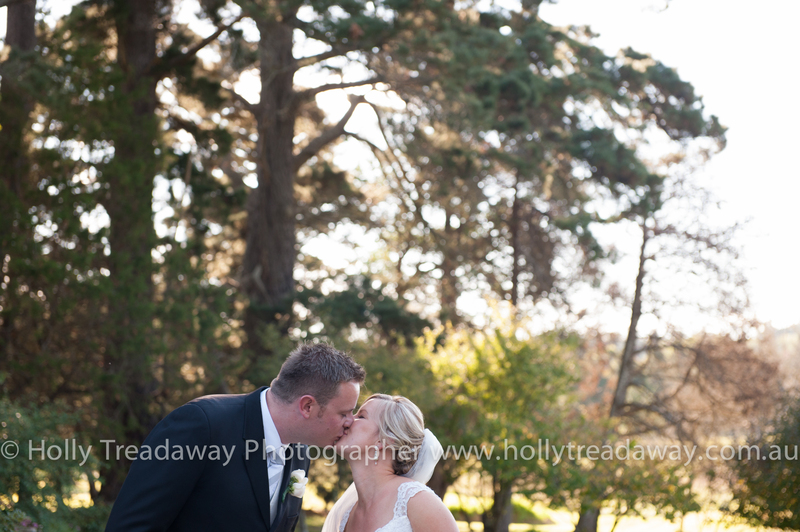 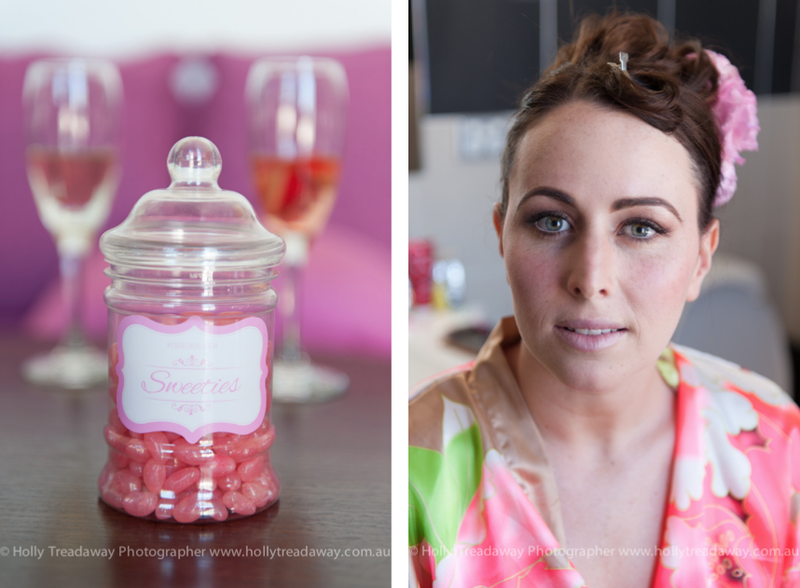 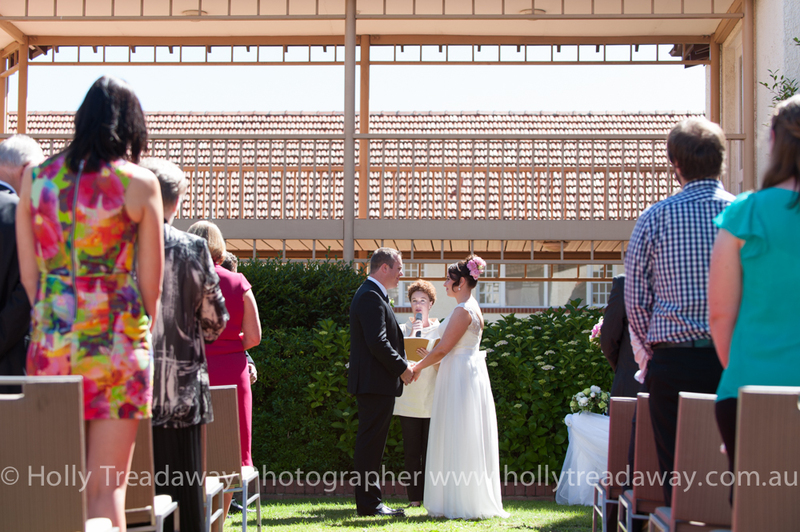 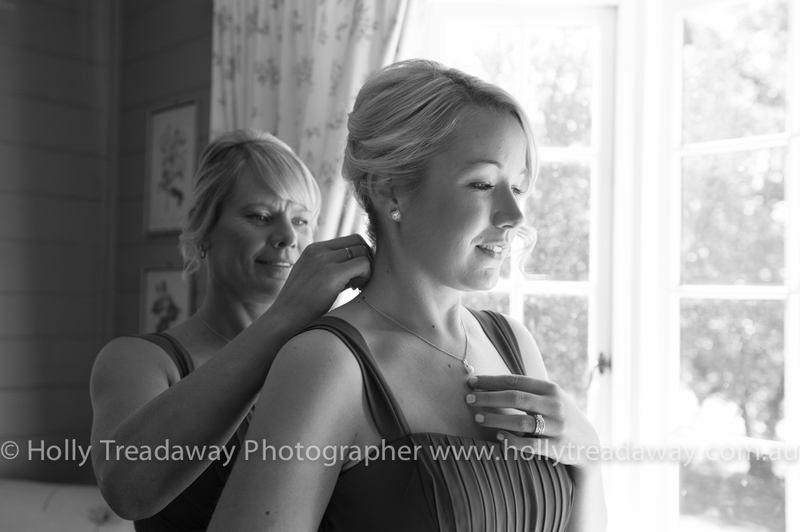 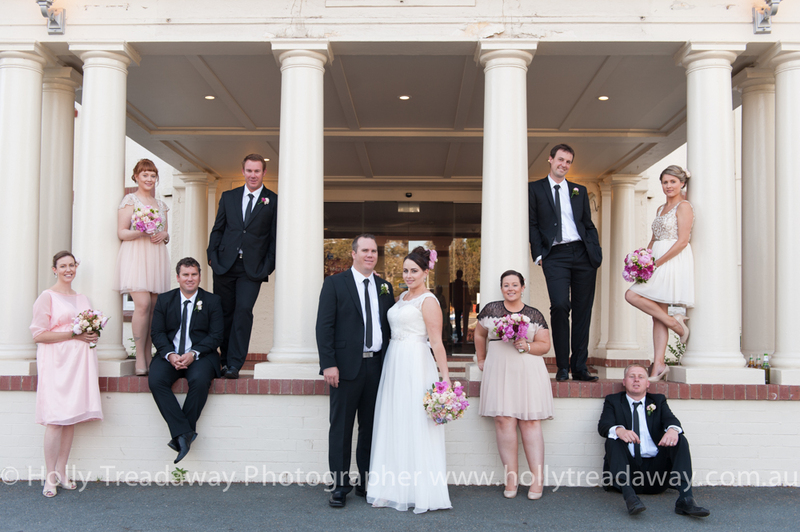 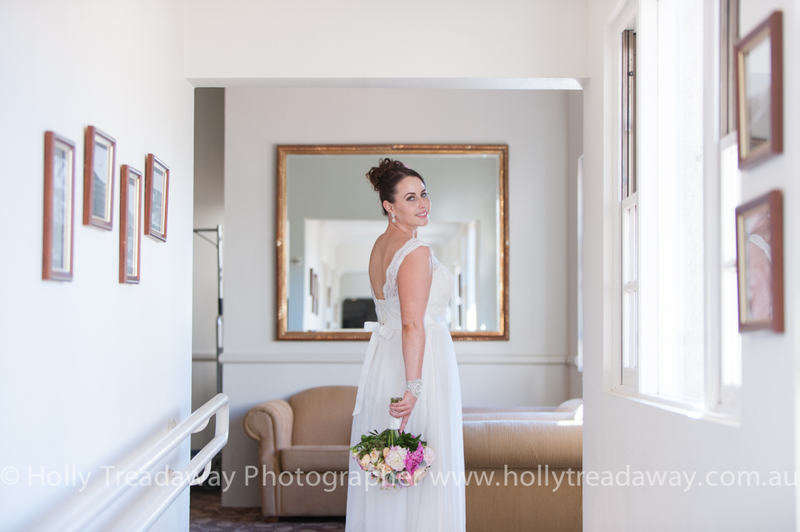 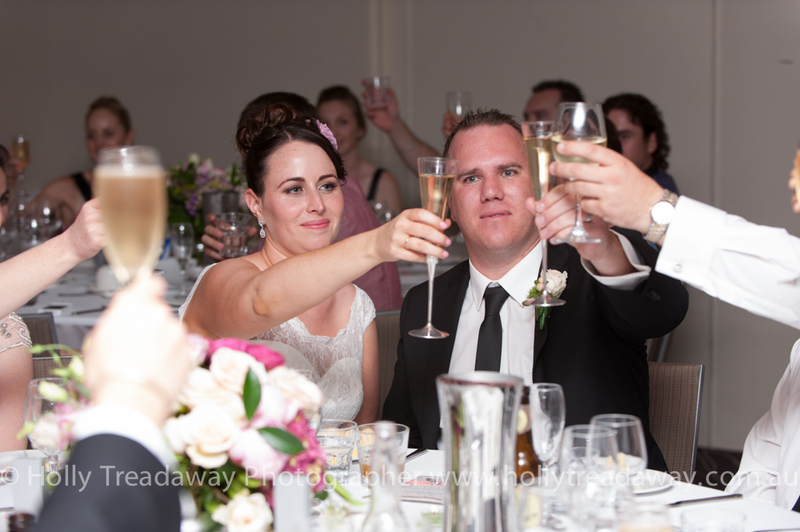 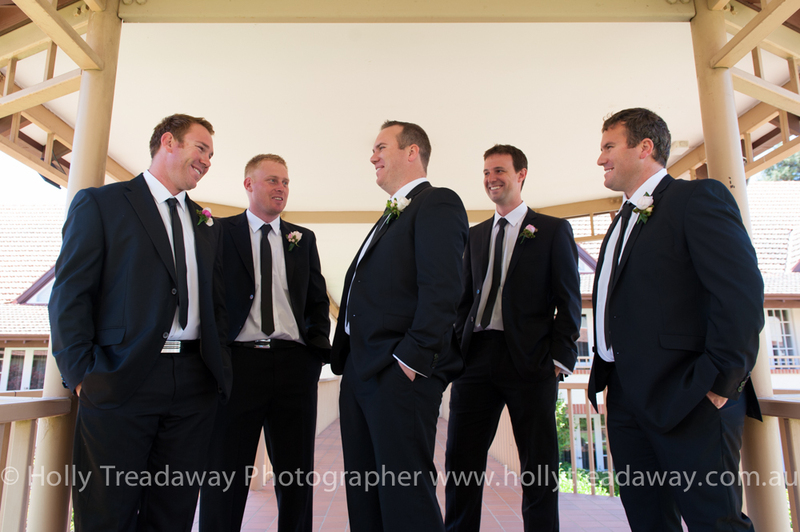 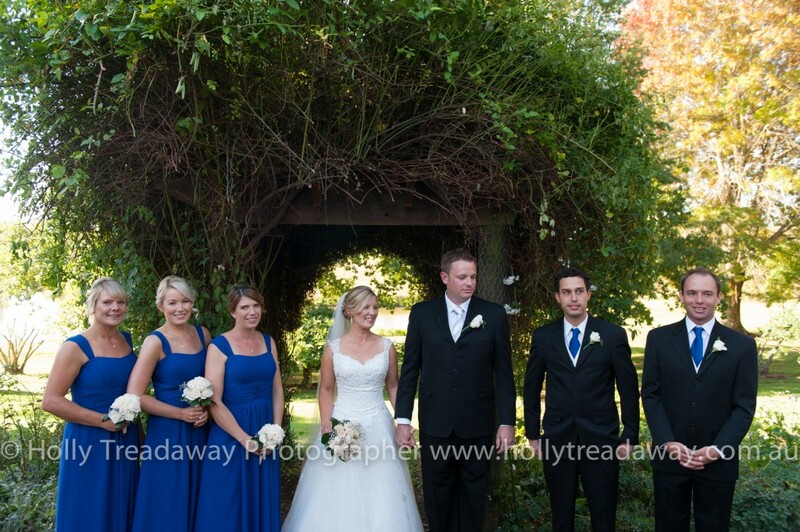 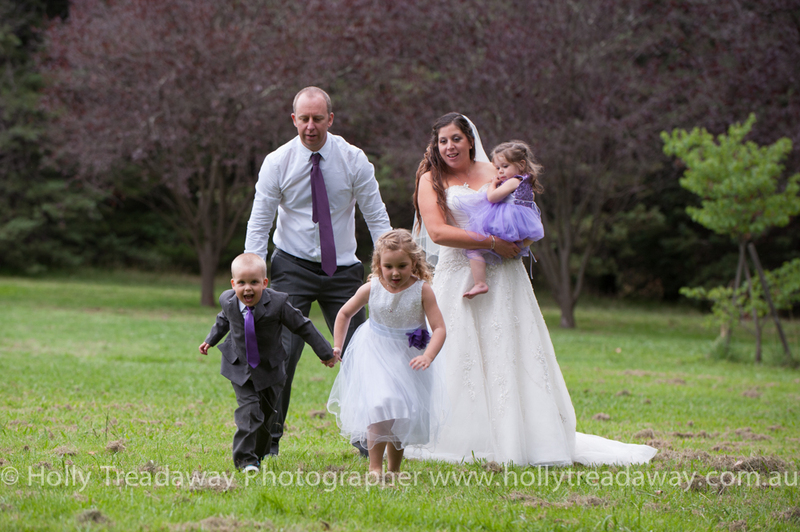 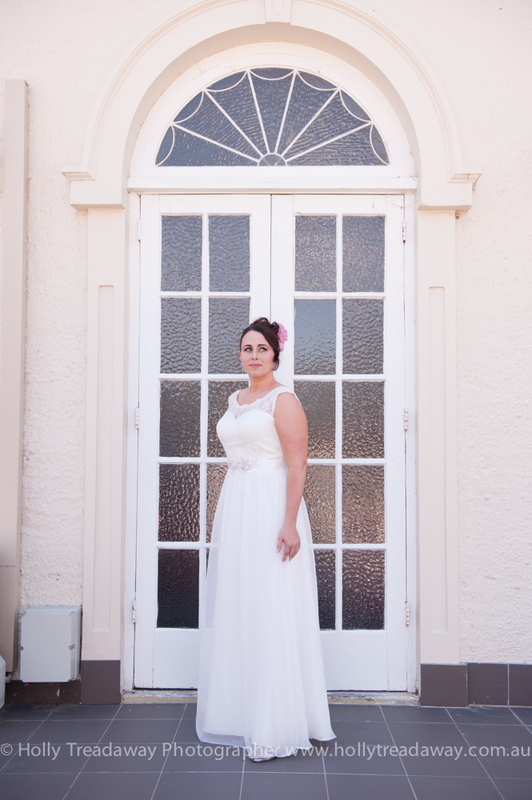 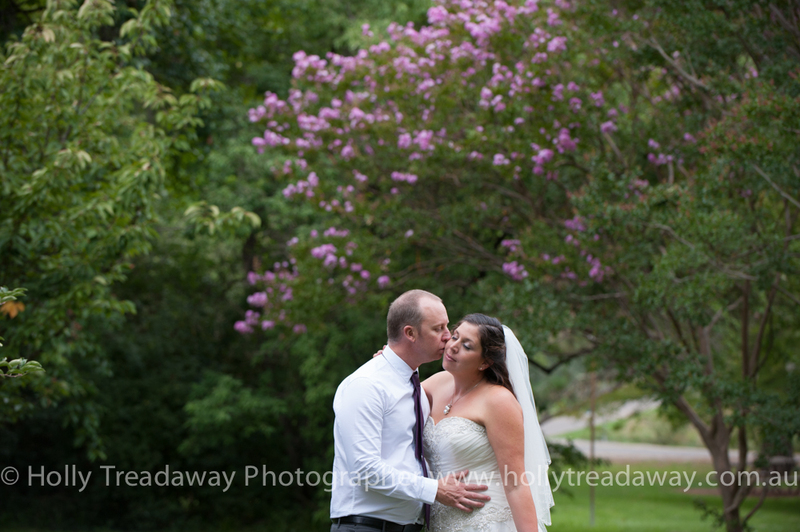 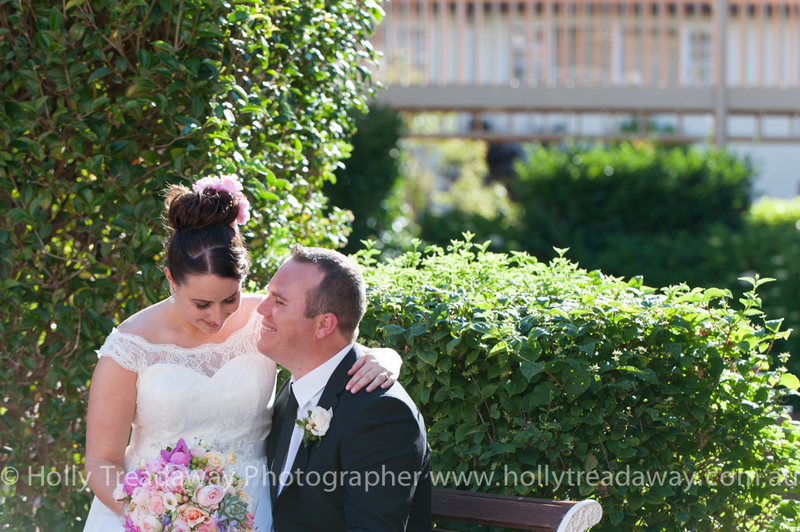 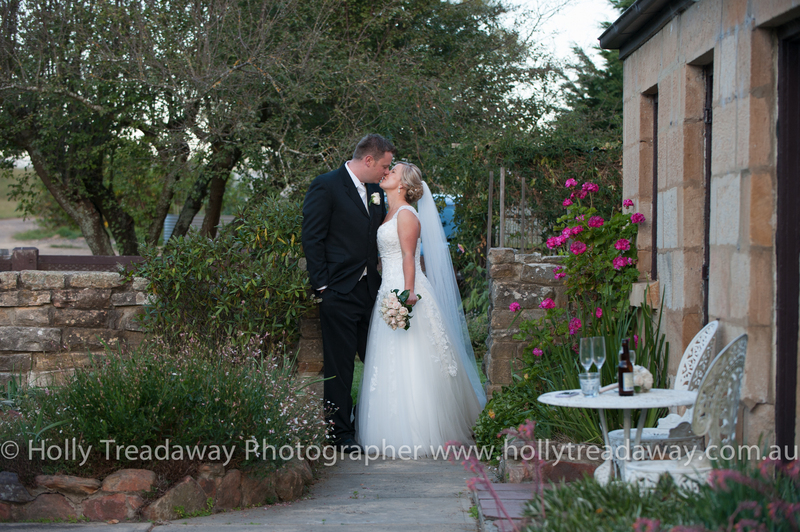 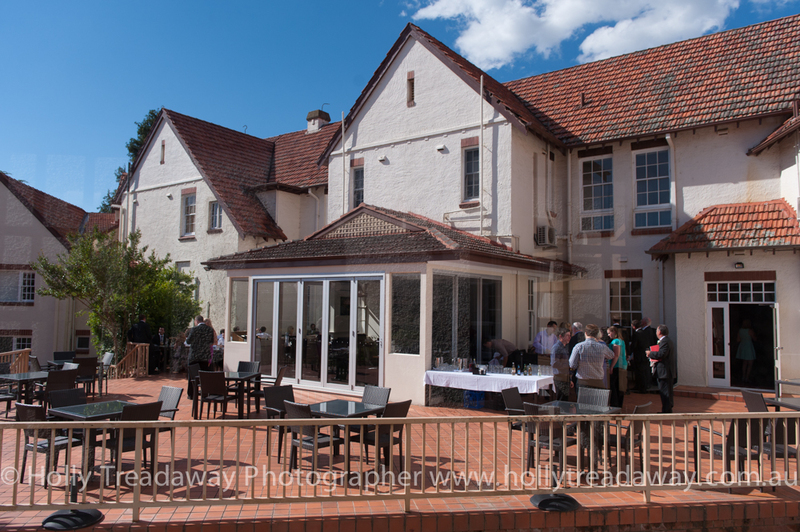 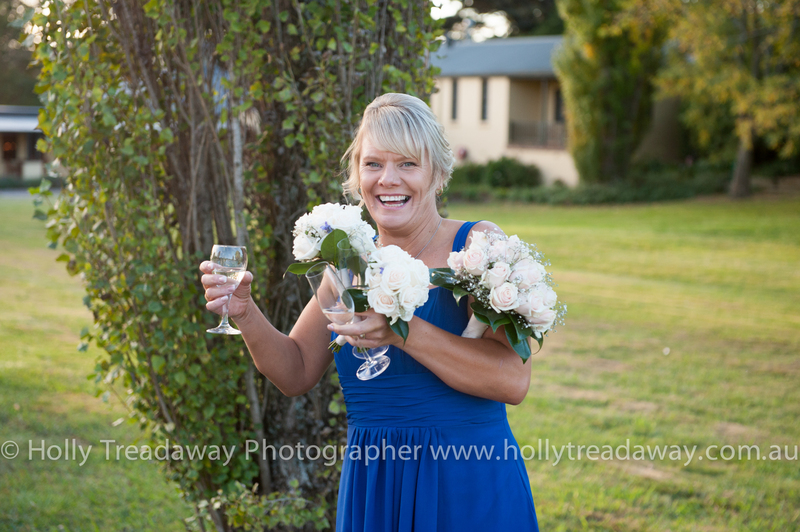 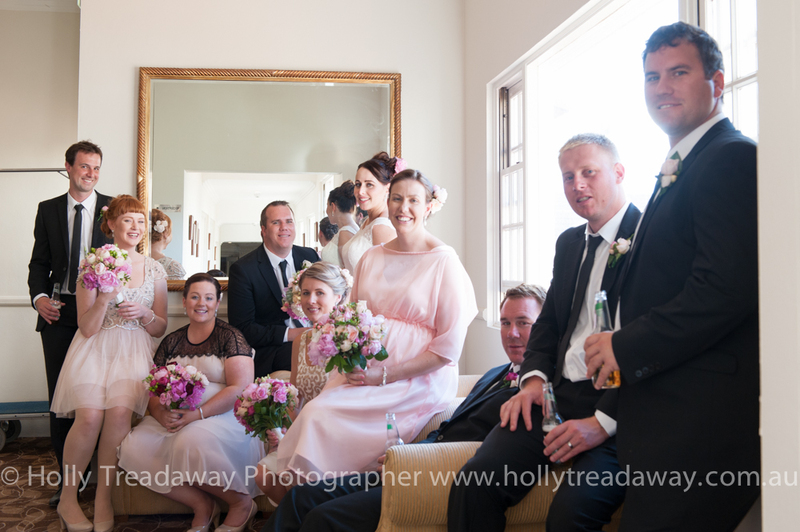 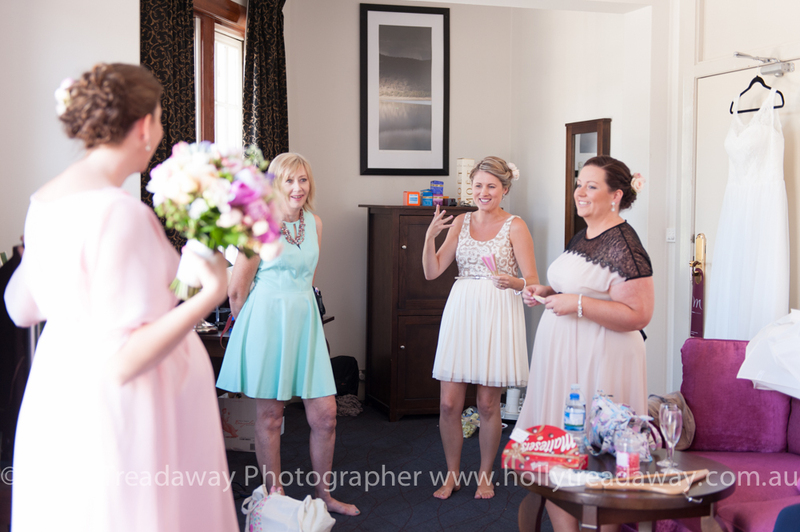 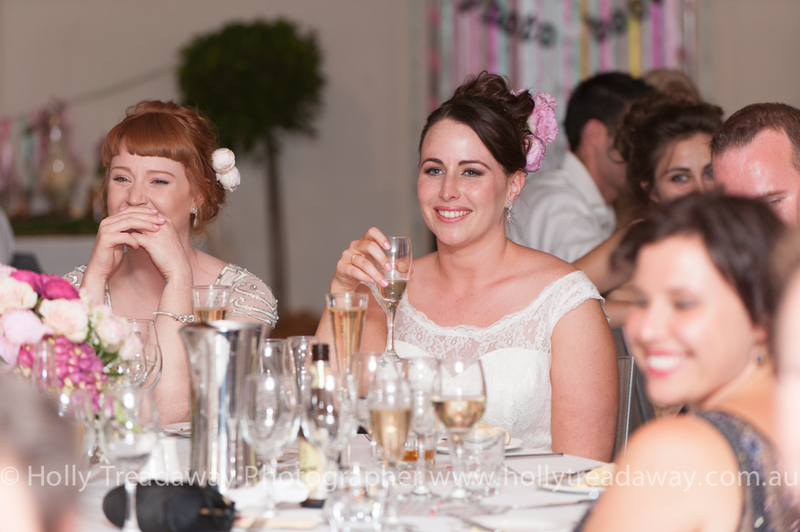 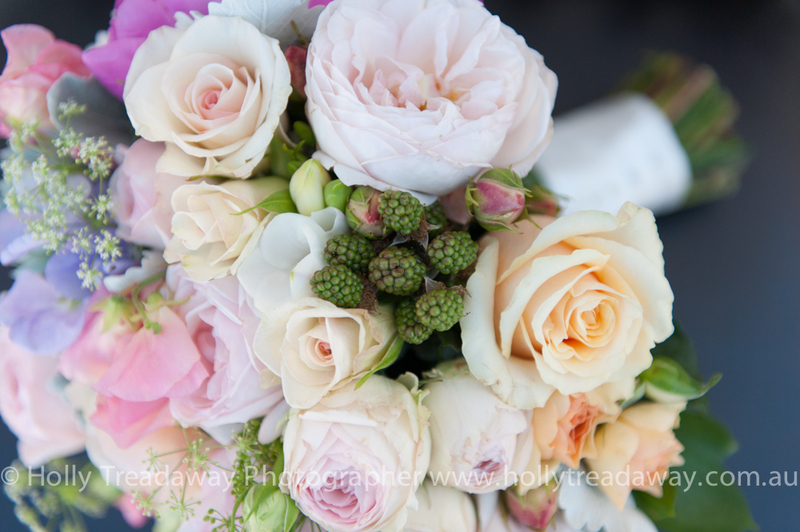 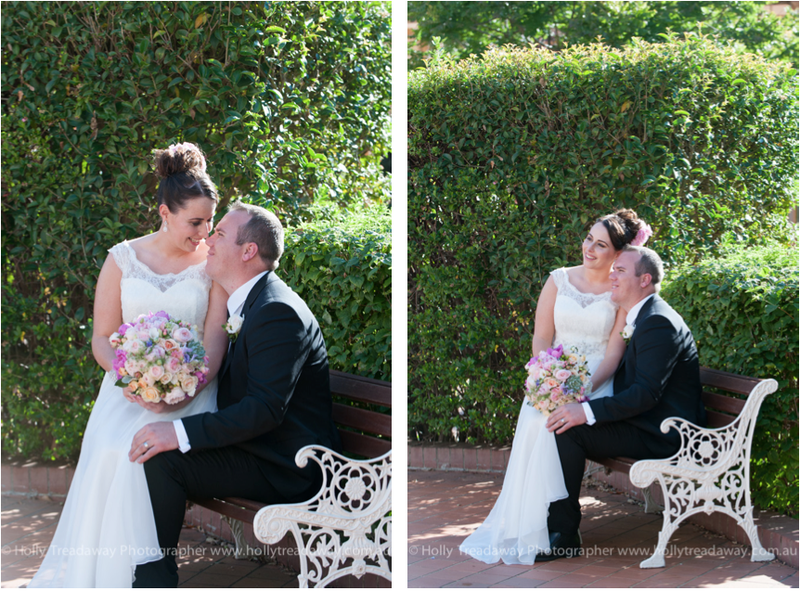 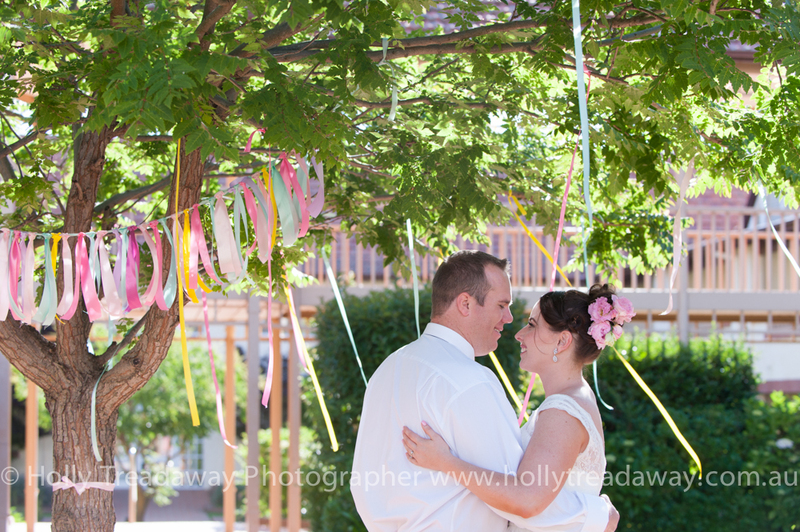 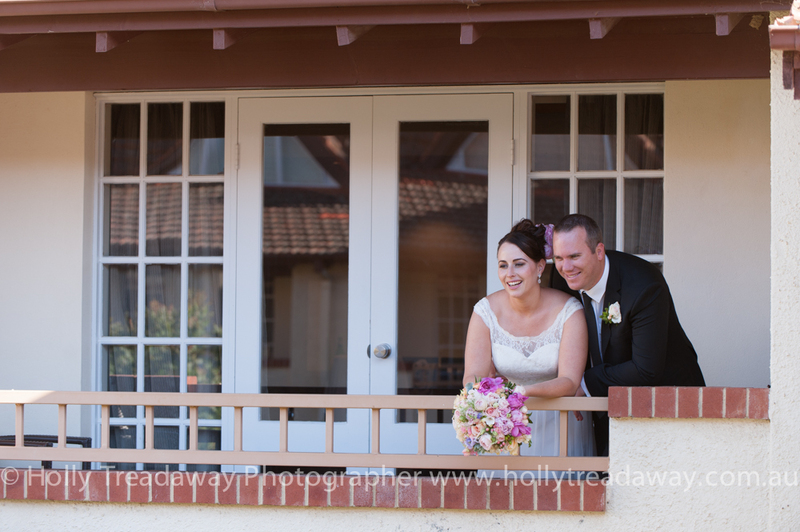 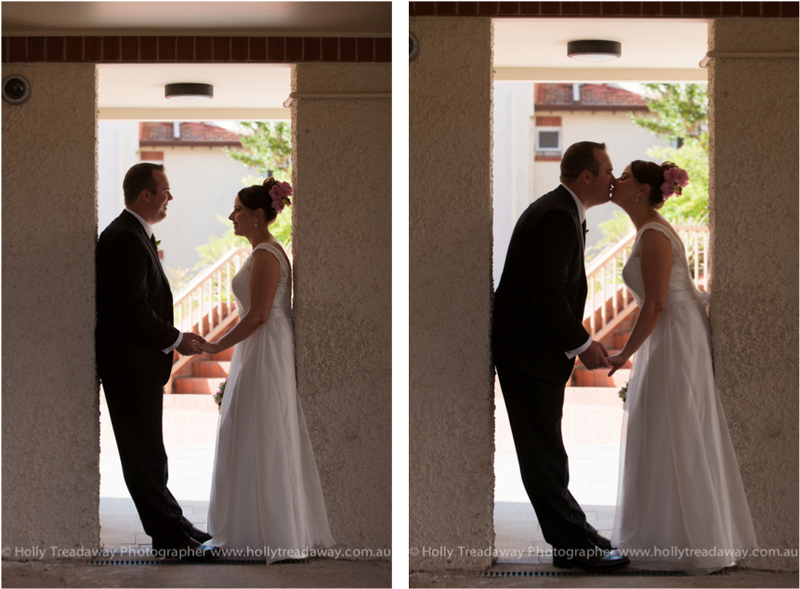 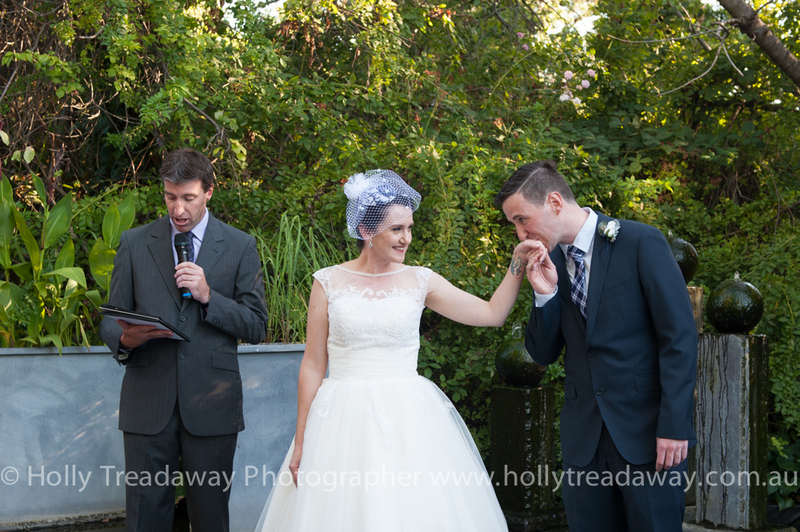 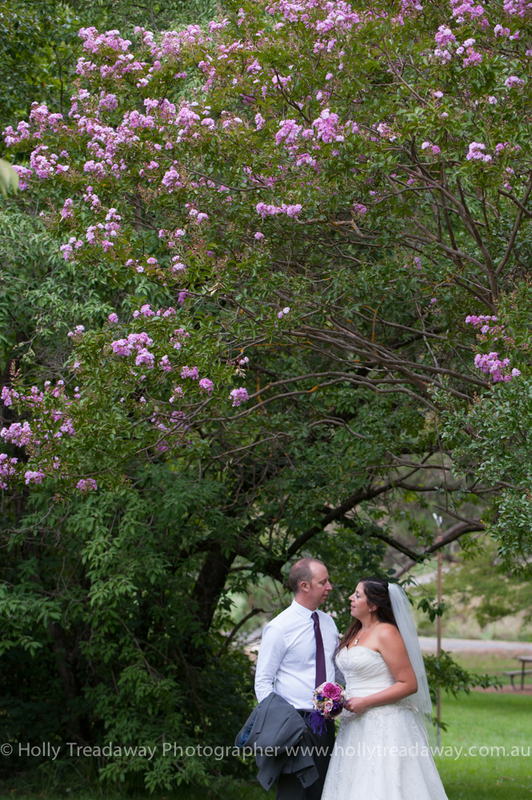 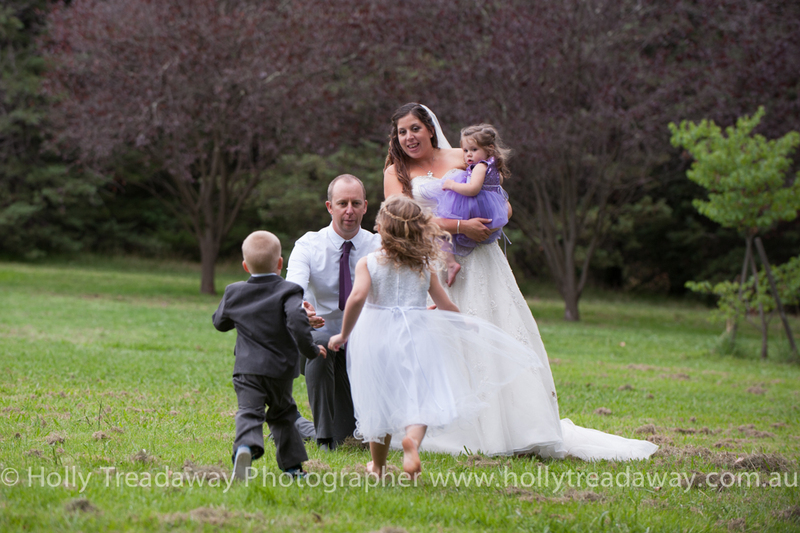 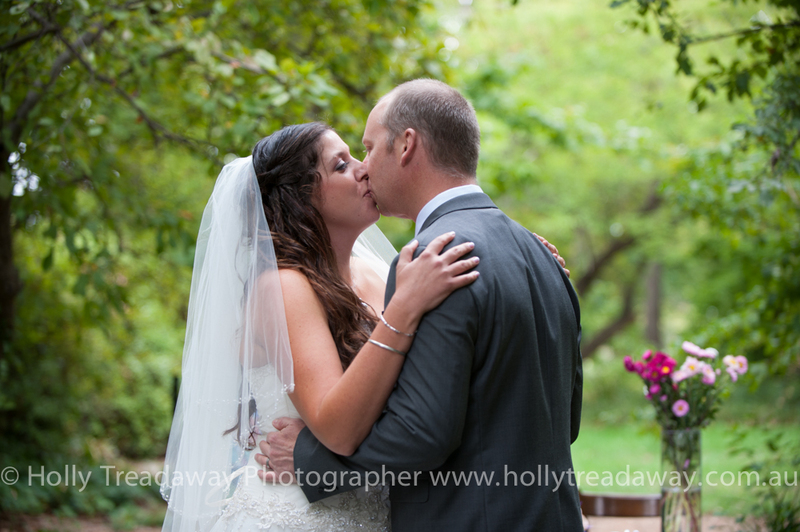 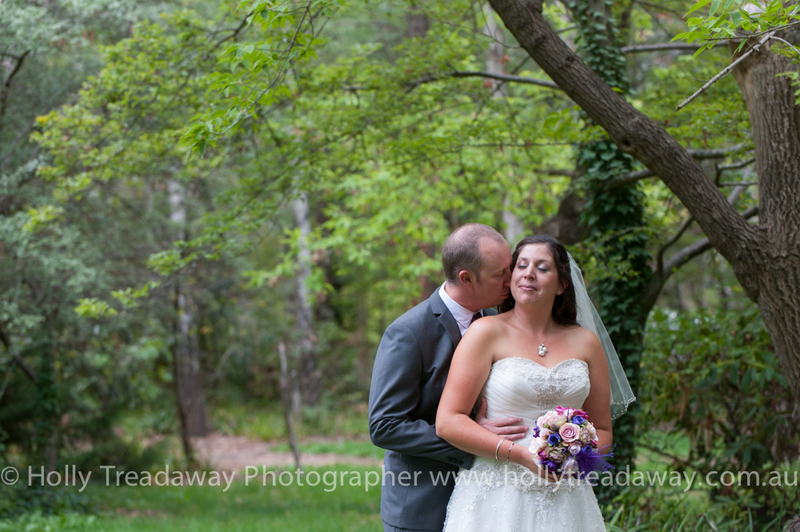 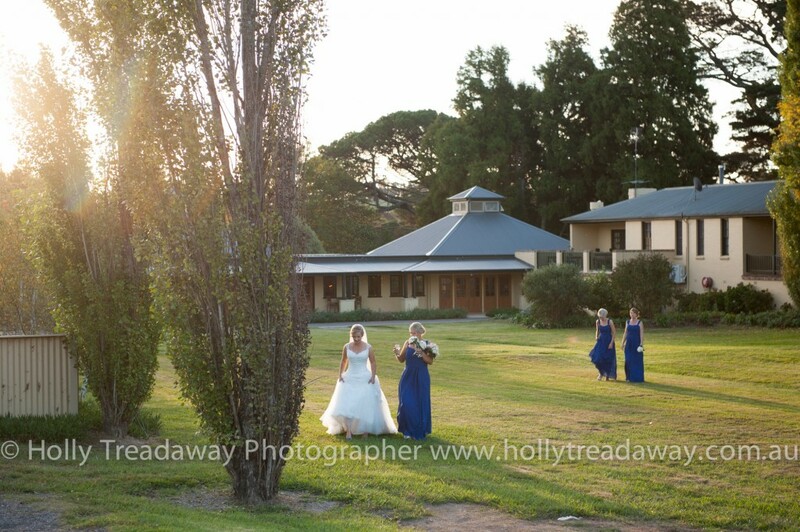 Kelly & Tim selected the beautiful Eling Forest Winery in the Southern Highlands to host their wedding. 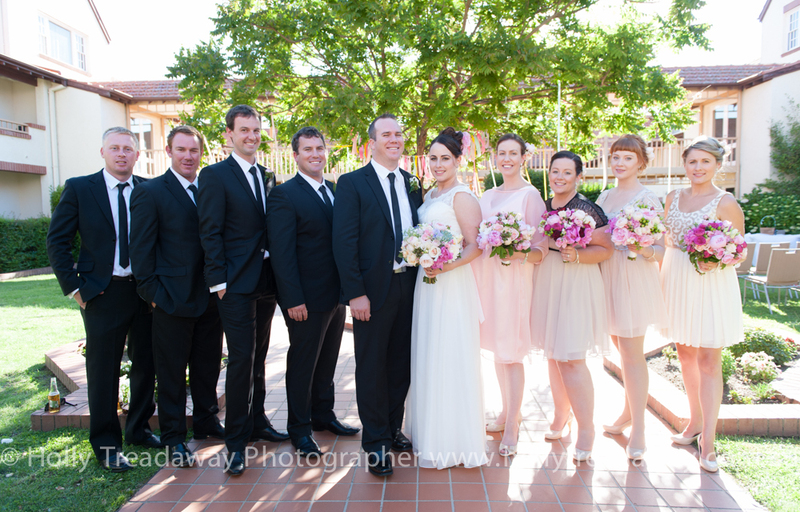 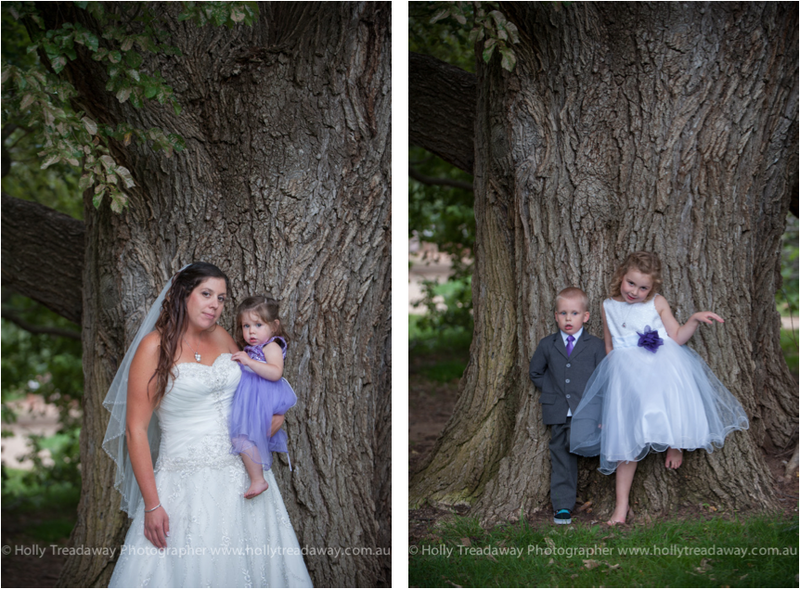 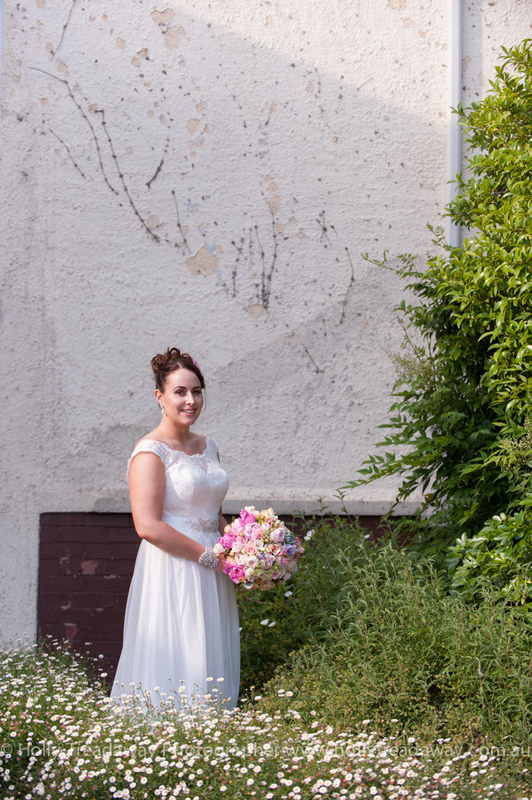 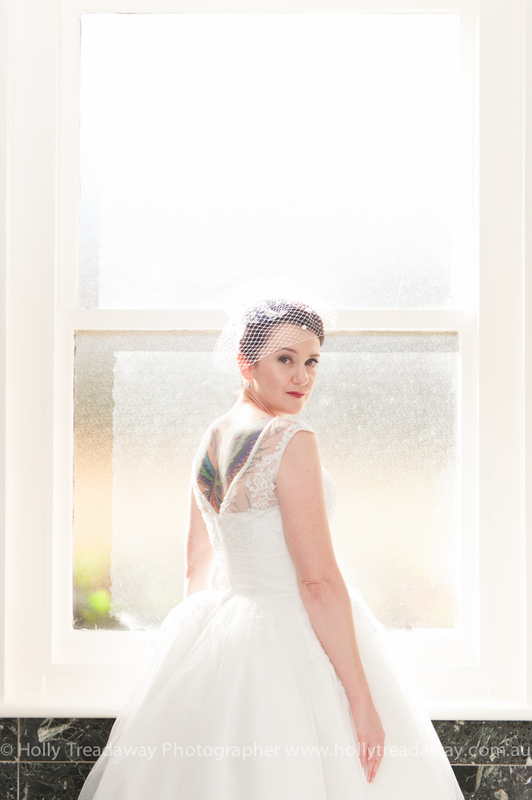 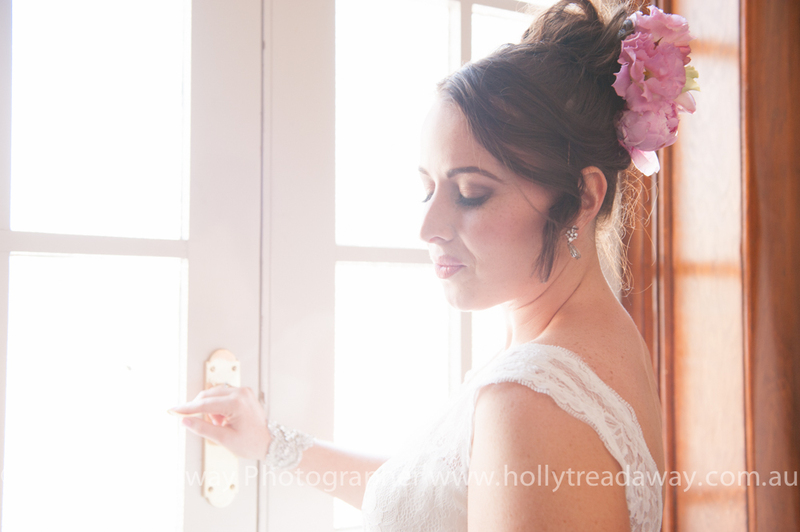 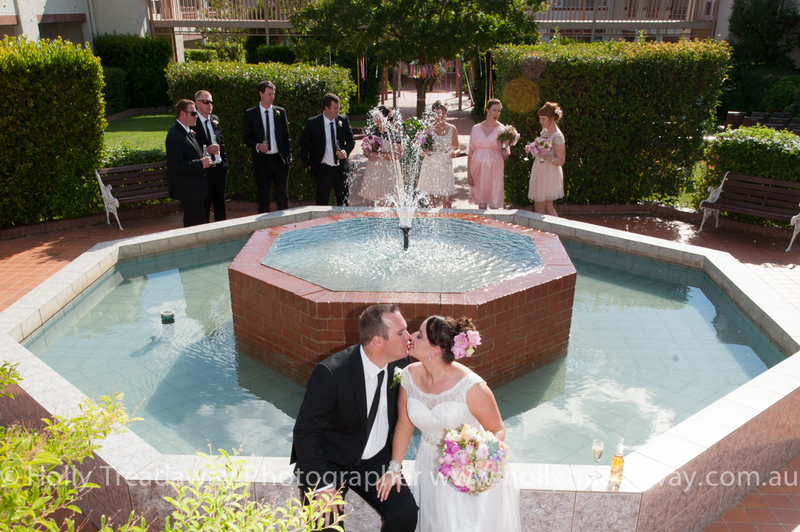 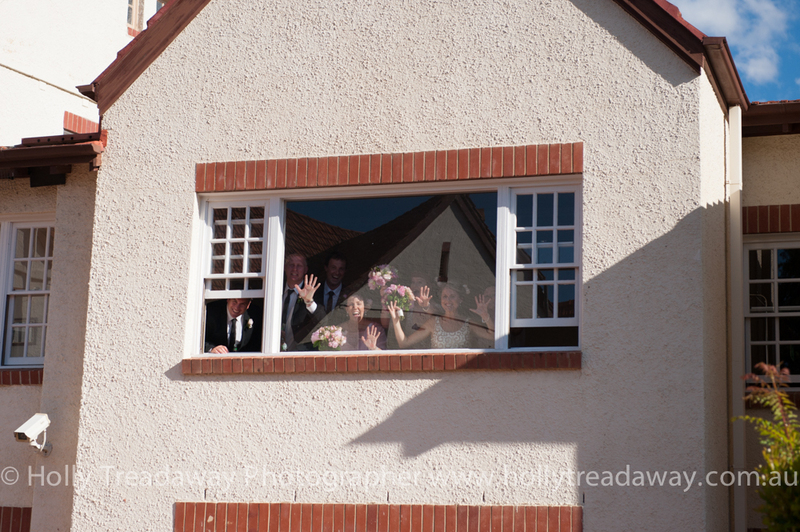 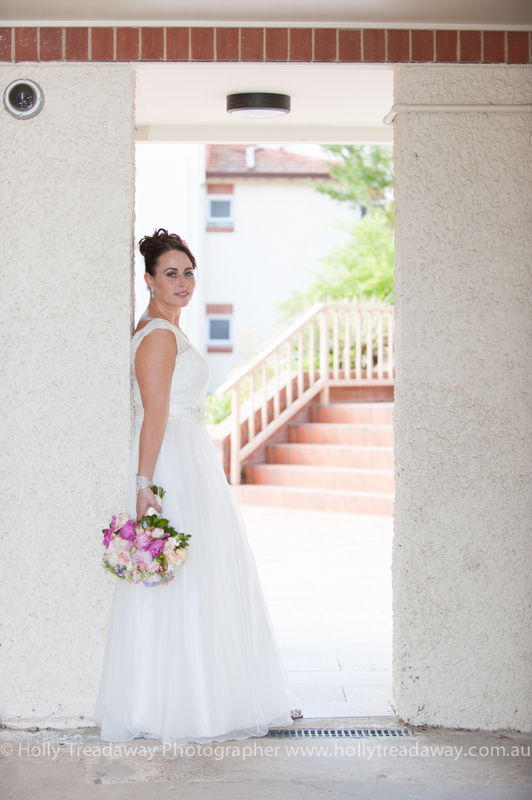 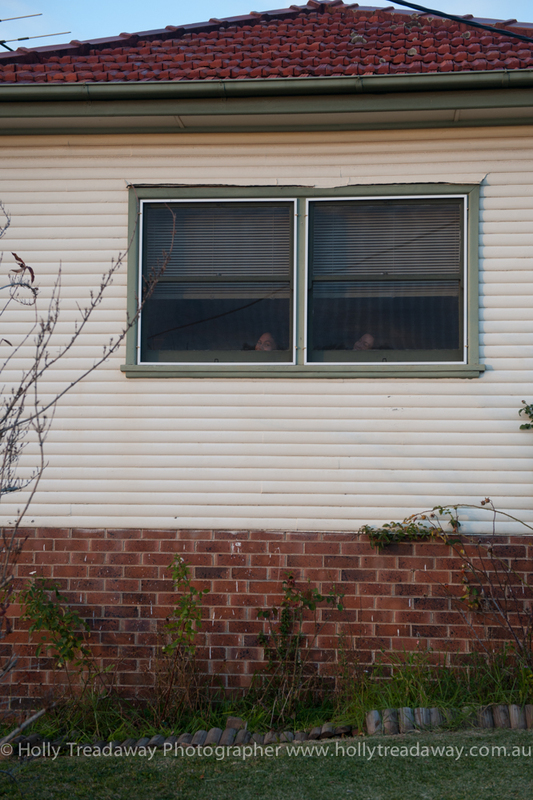 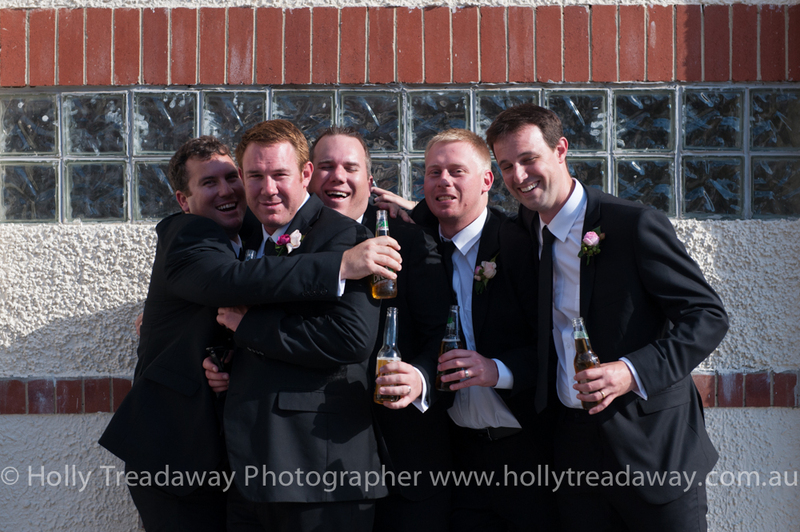 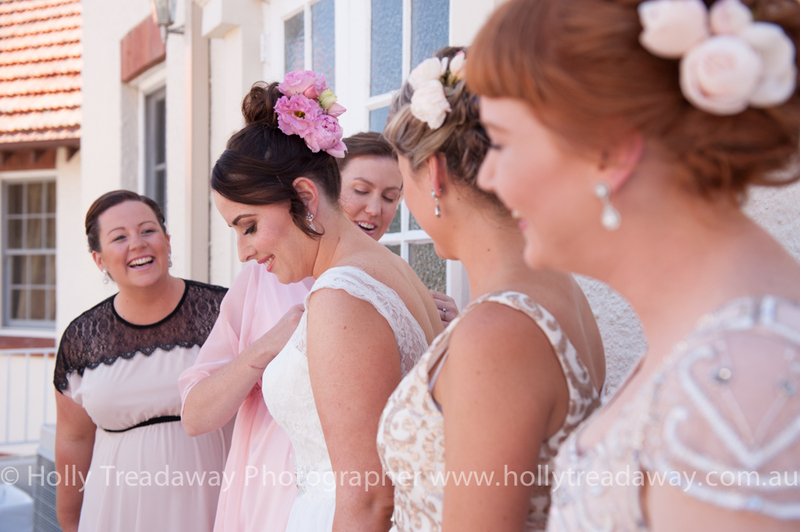 It was a beautiful day, not to mention a beautiful group of people to work with & photograph. 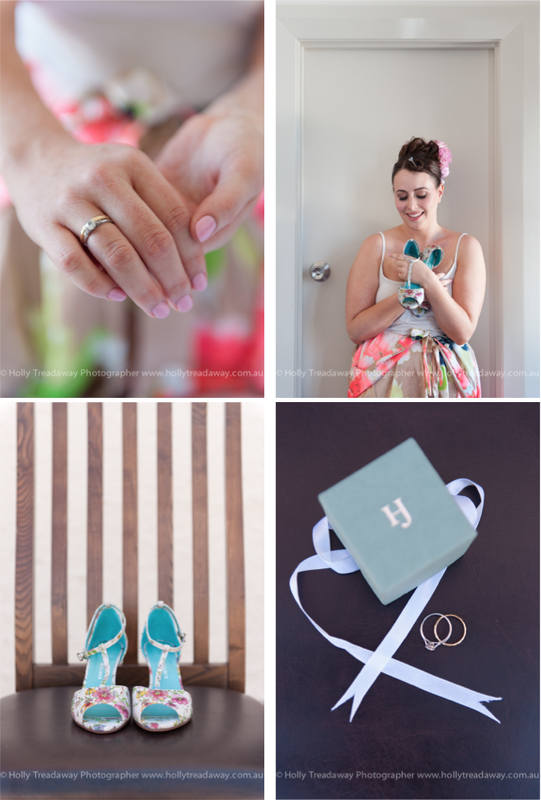 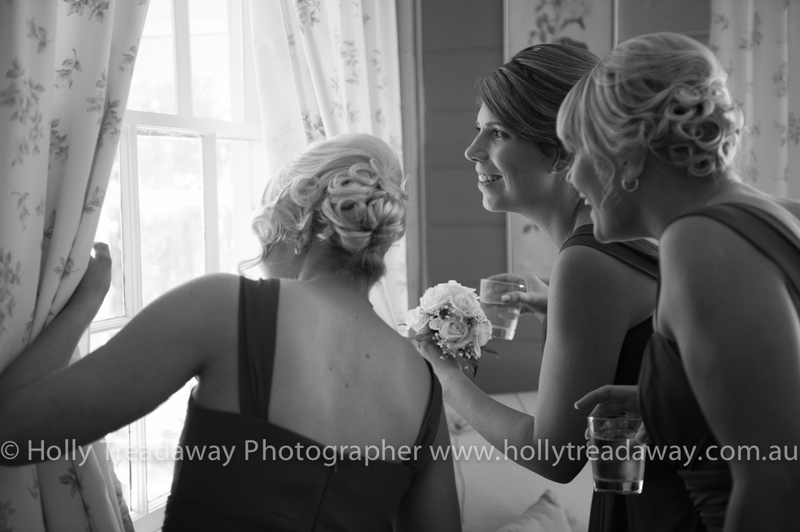 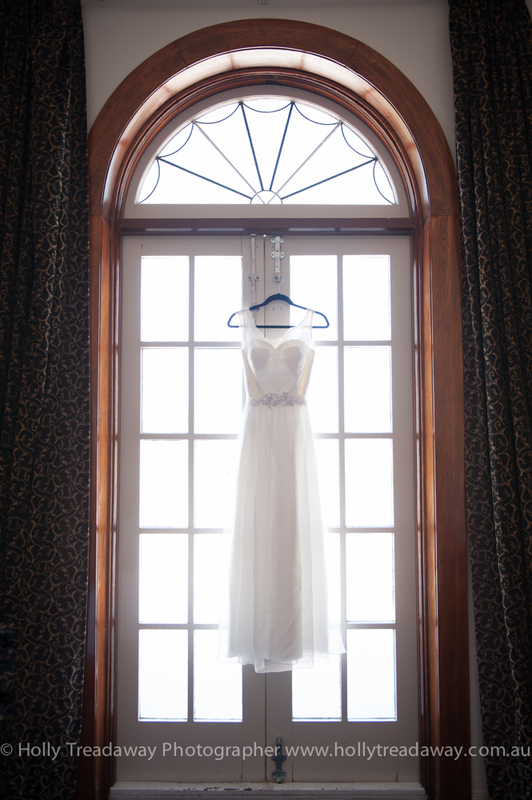 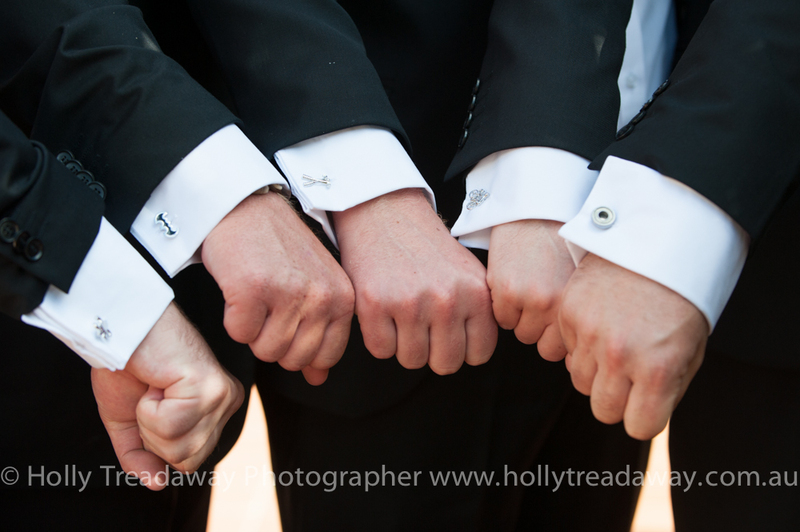 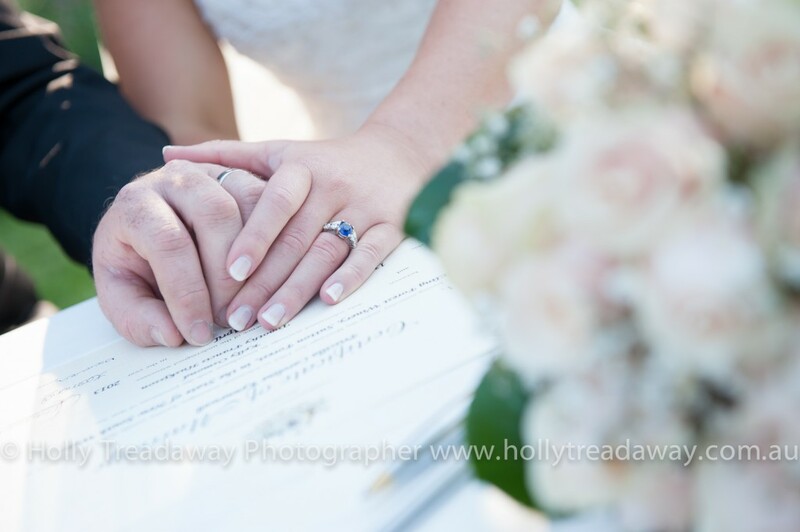 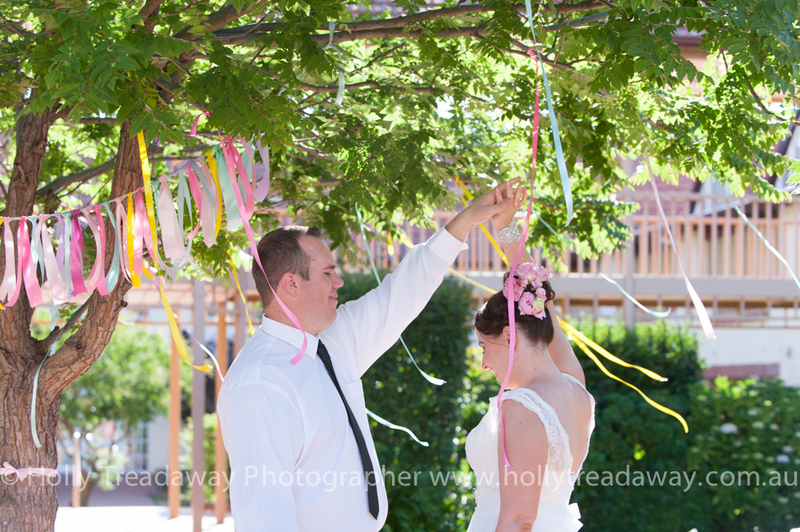 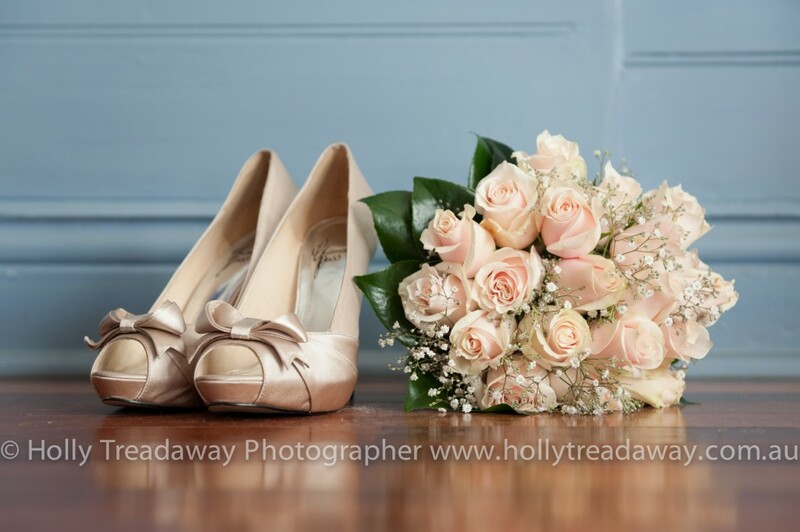 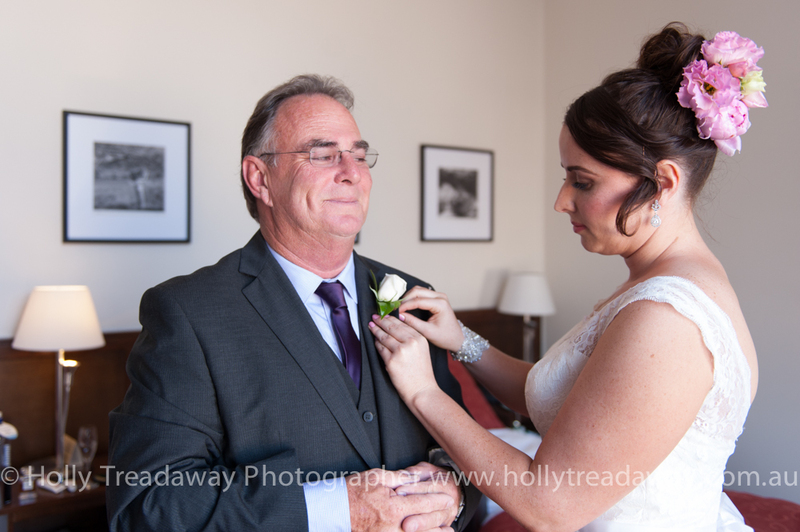 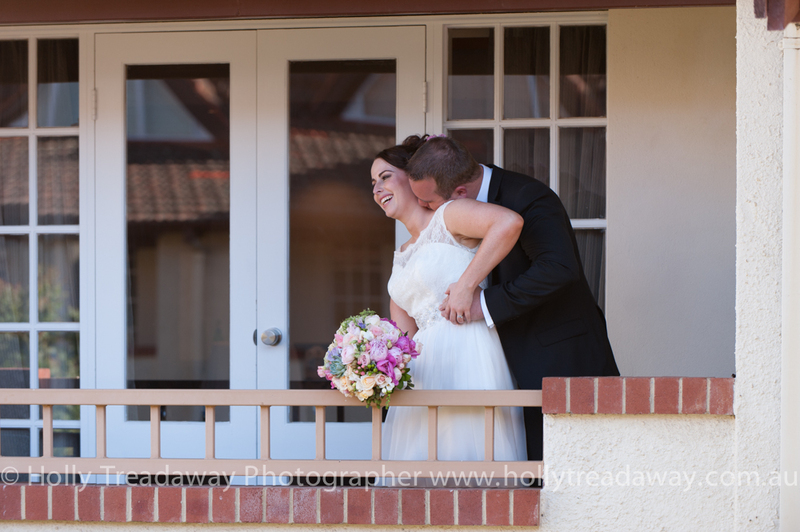 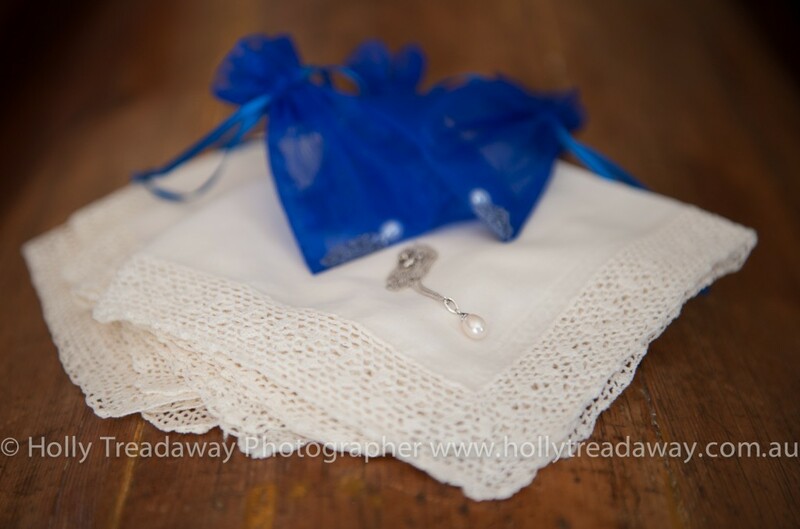 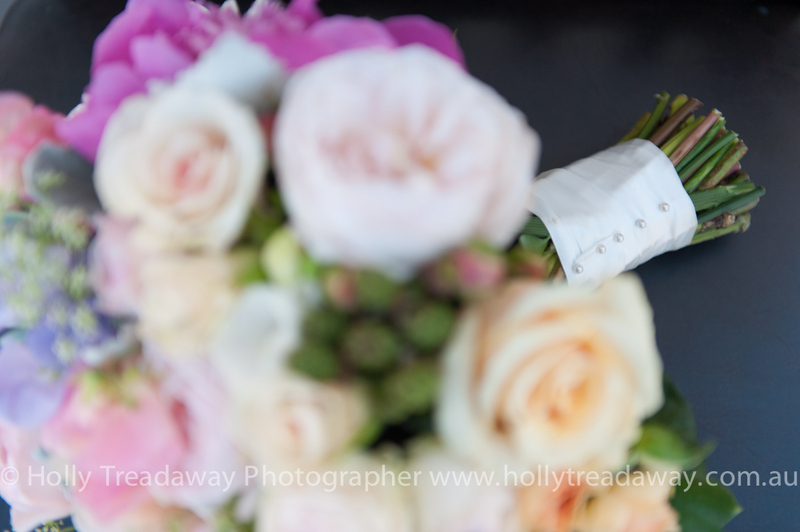 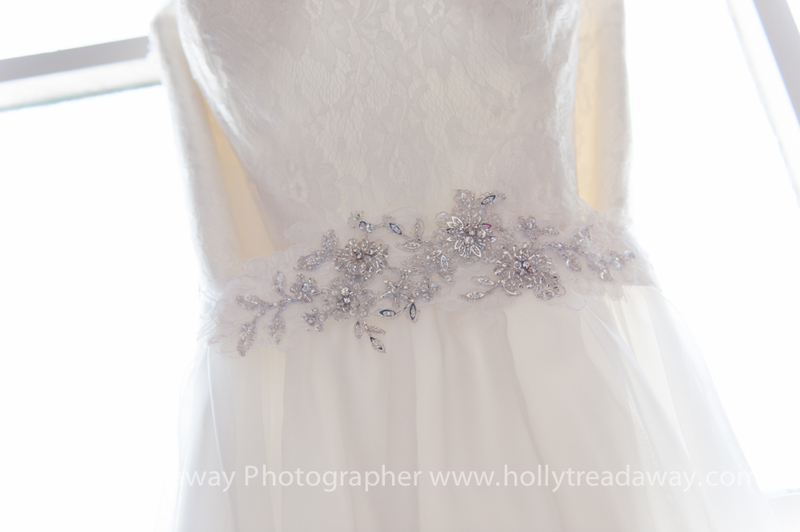 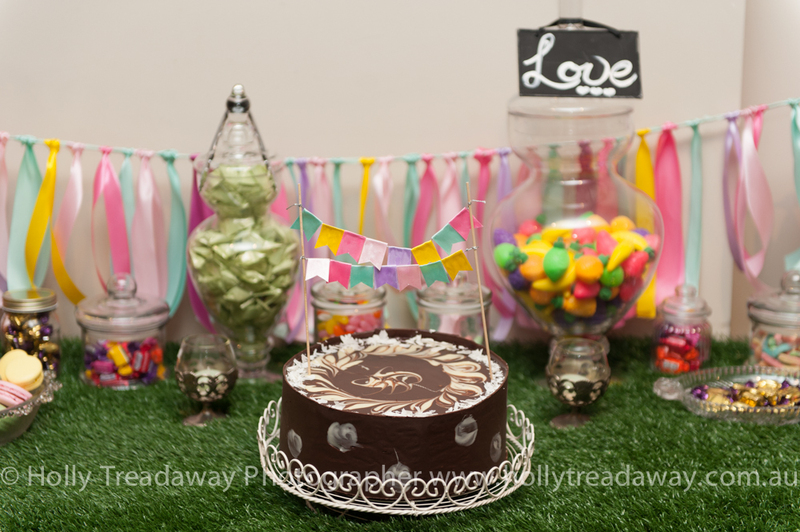 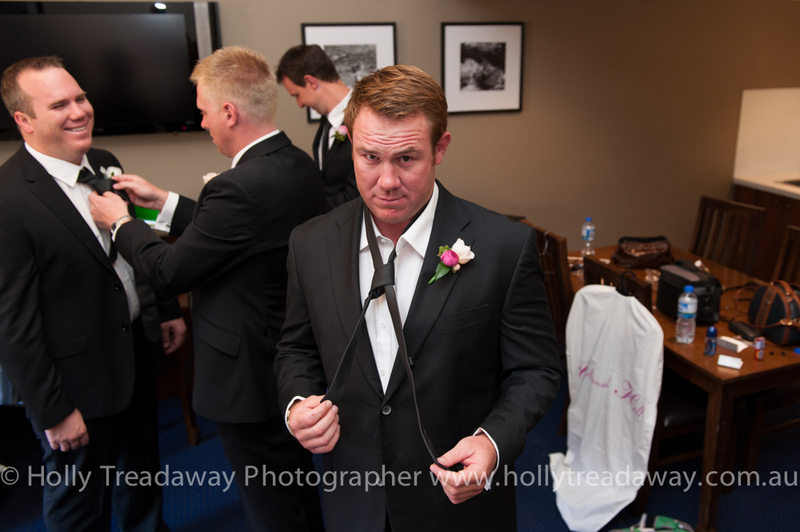 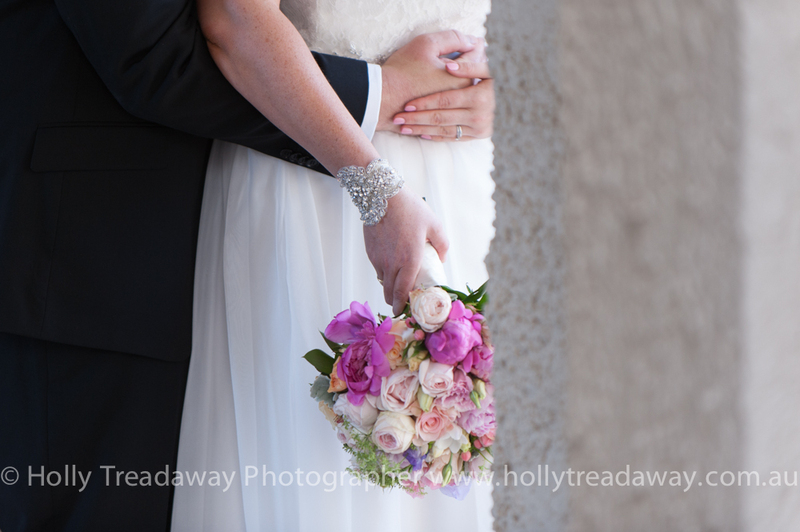 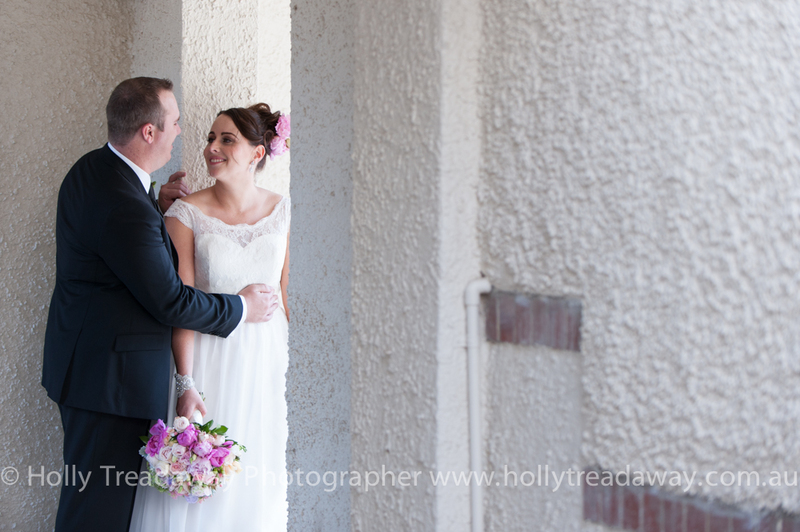 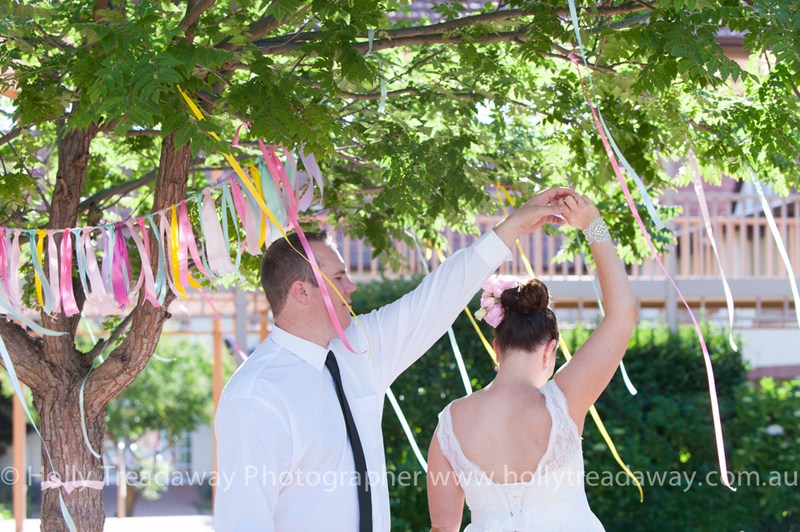 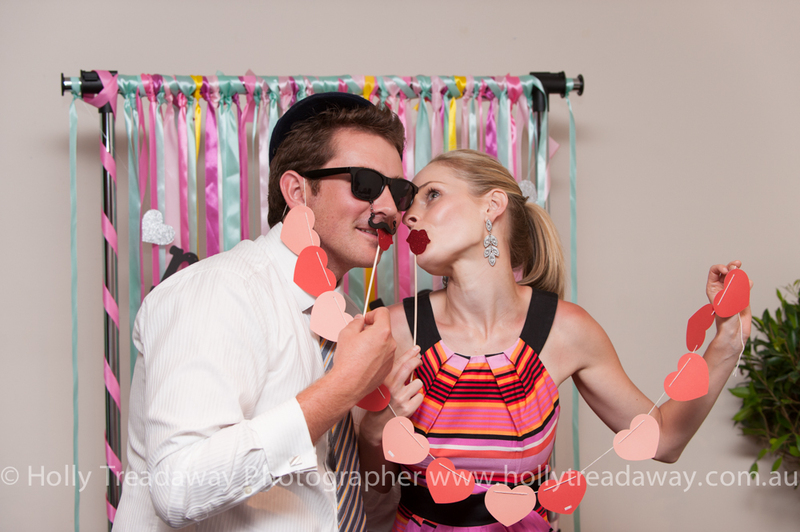 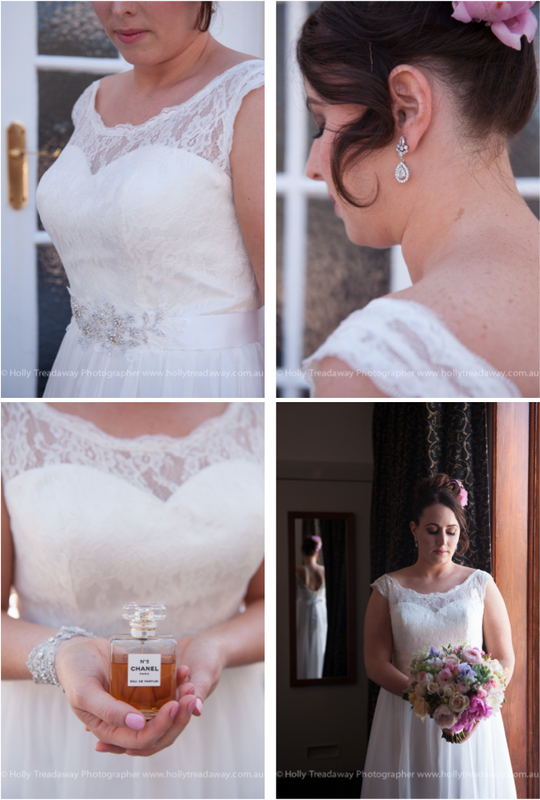 The details of their wedding made it one that I could have happily taken to be my own! 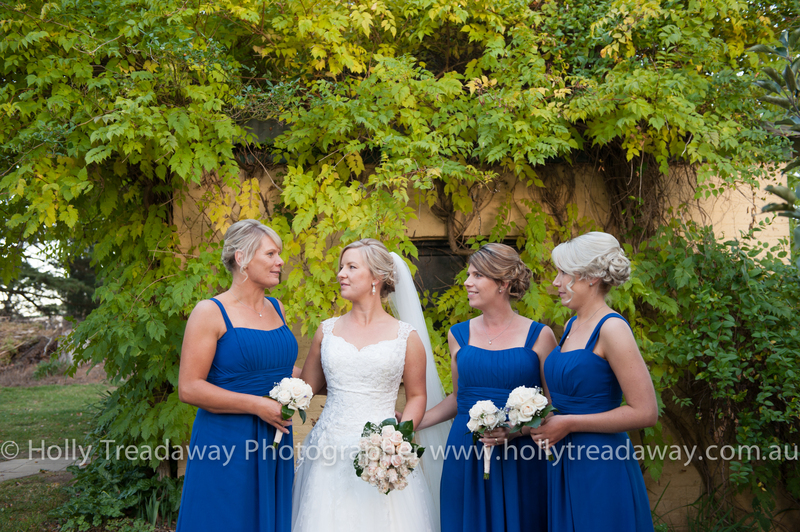 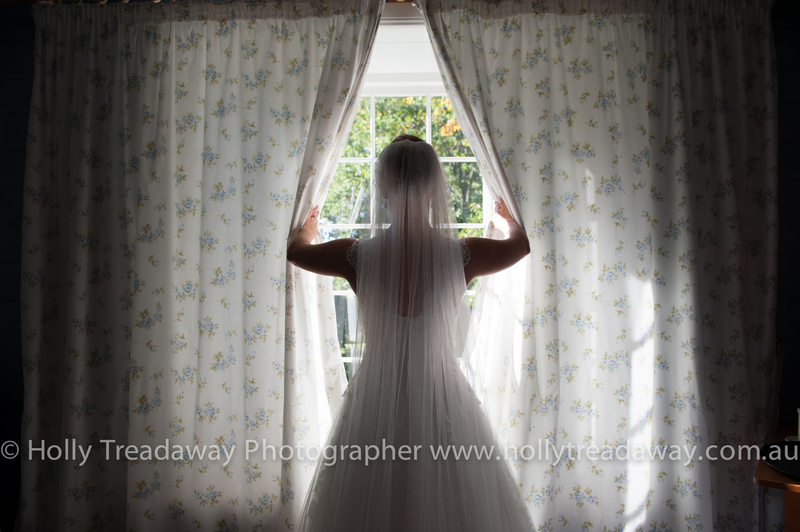 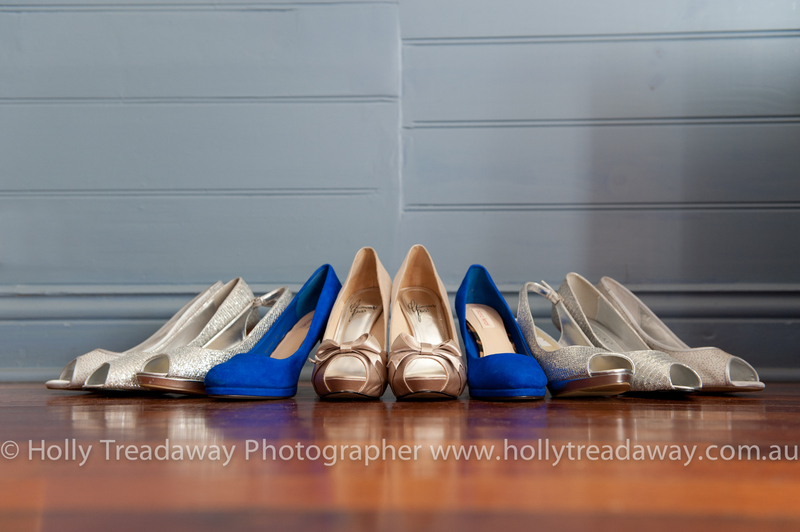 With beautiful splashes of royal blues throughout the wedding and gorgeous autumn colours in the landscape I couldn’t have been happier with the images I created.